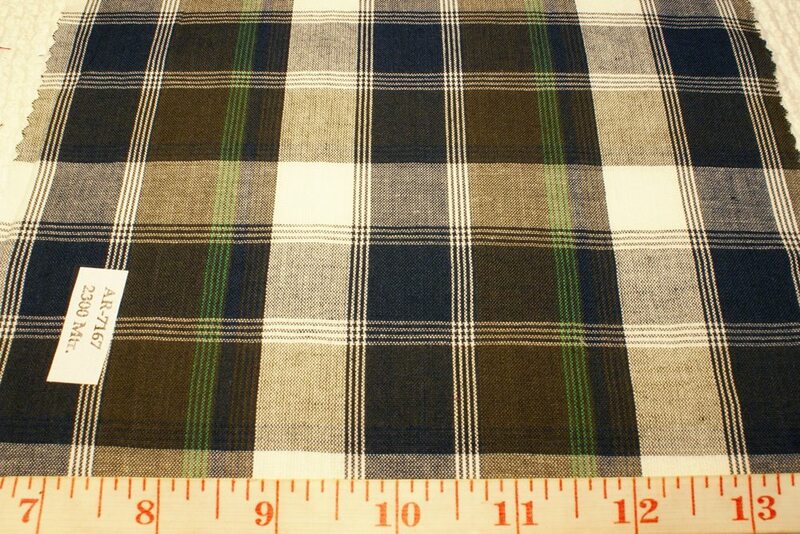 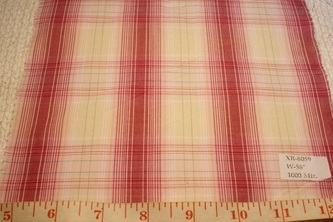 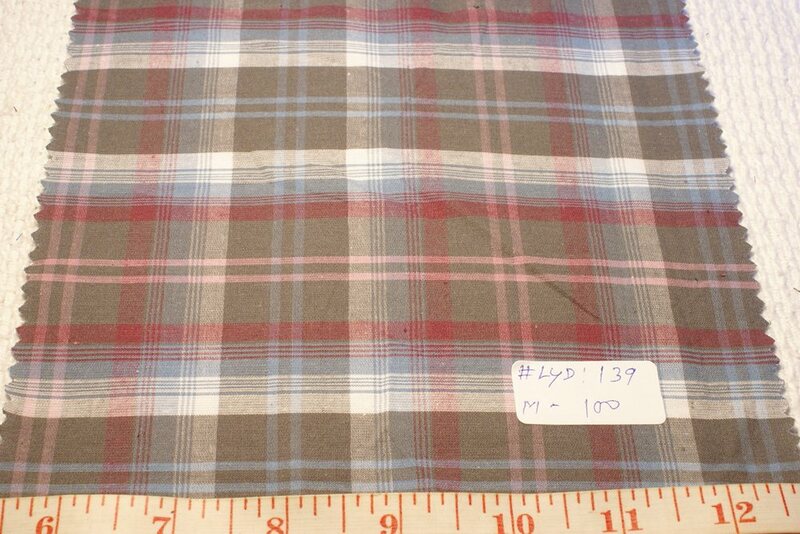 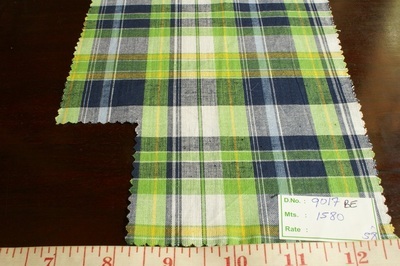 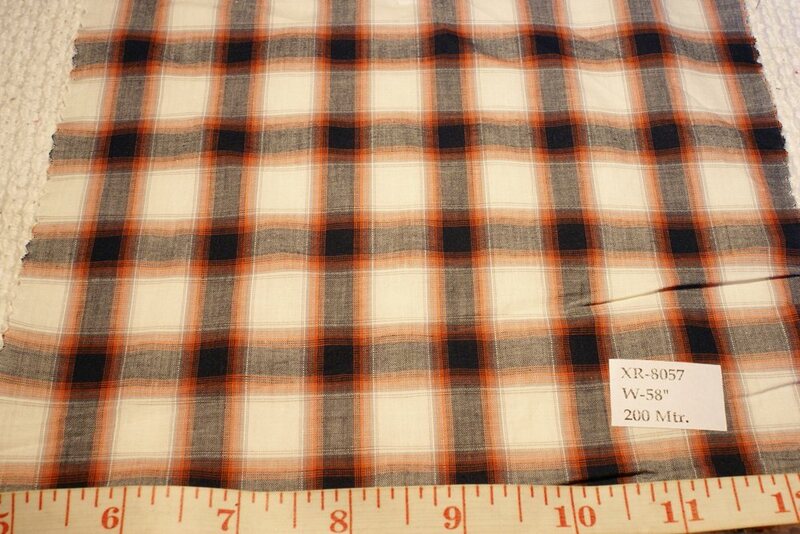 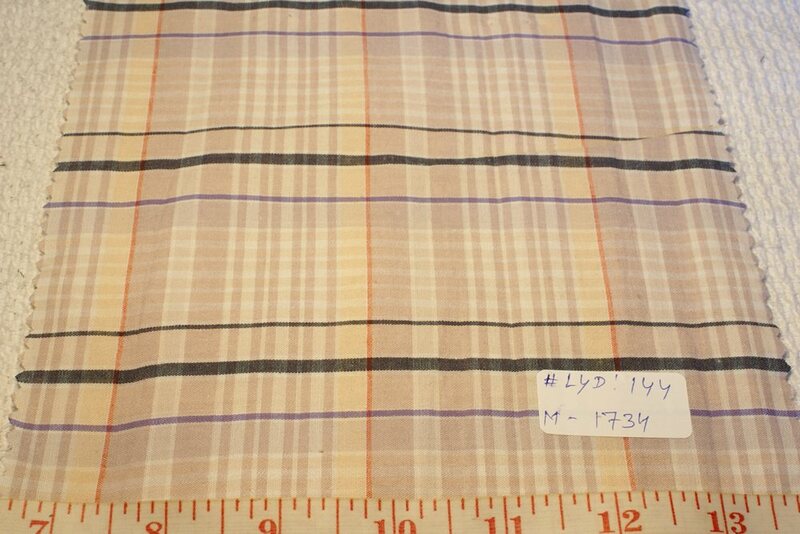 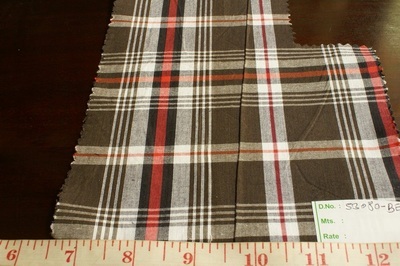 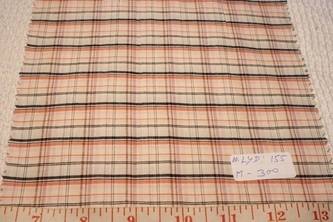 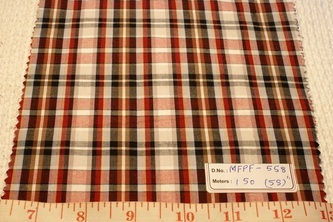 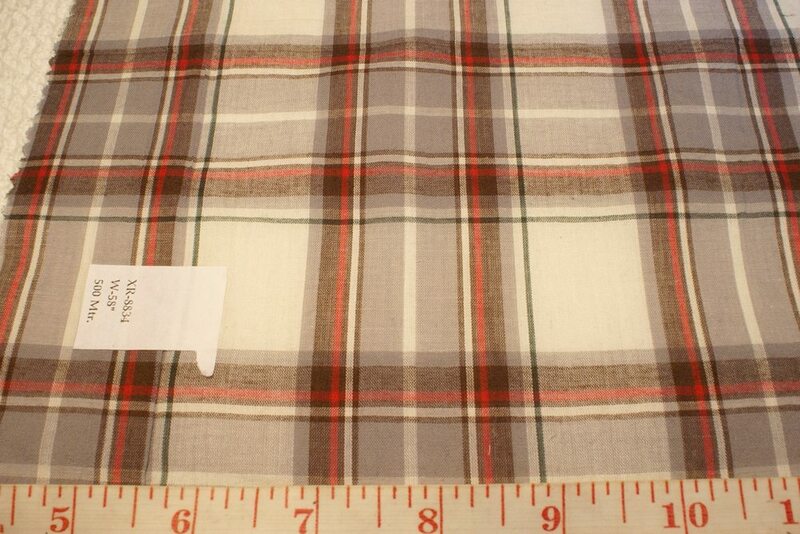 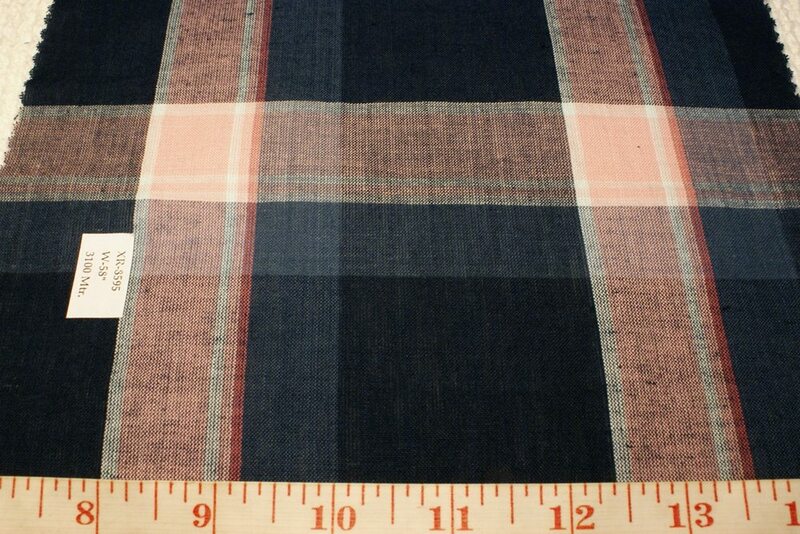 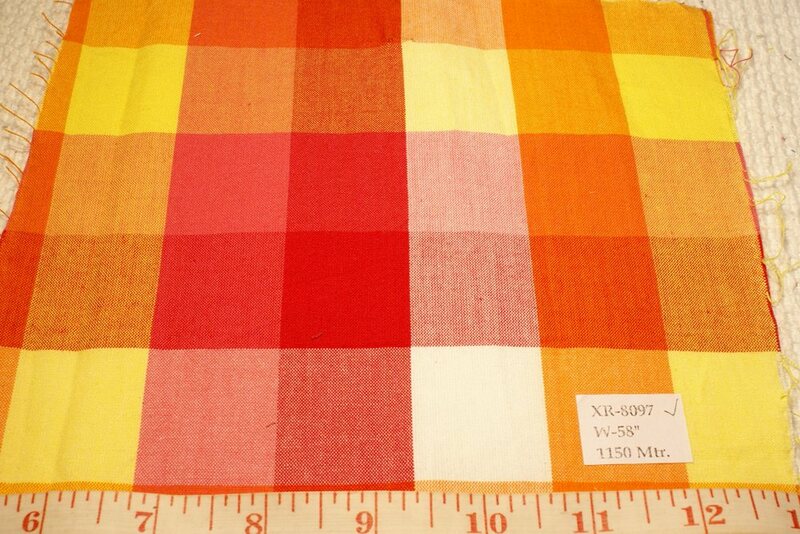 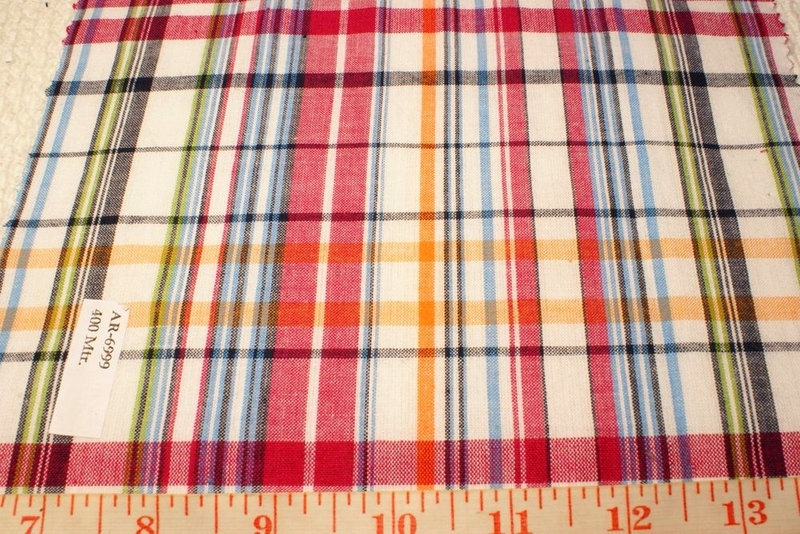 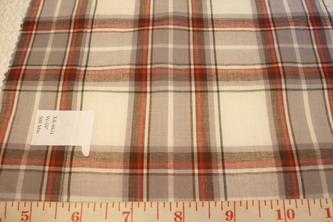 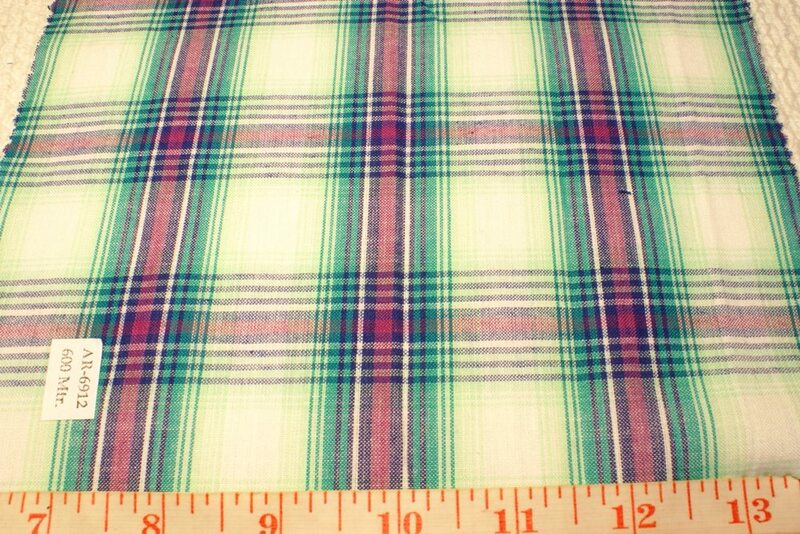 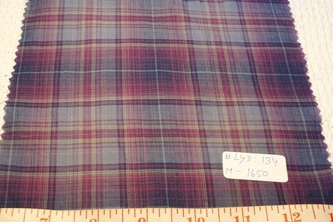 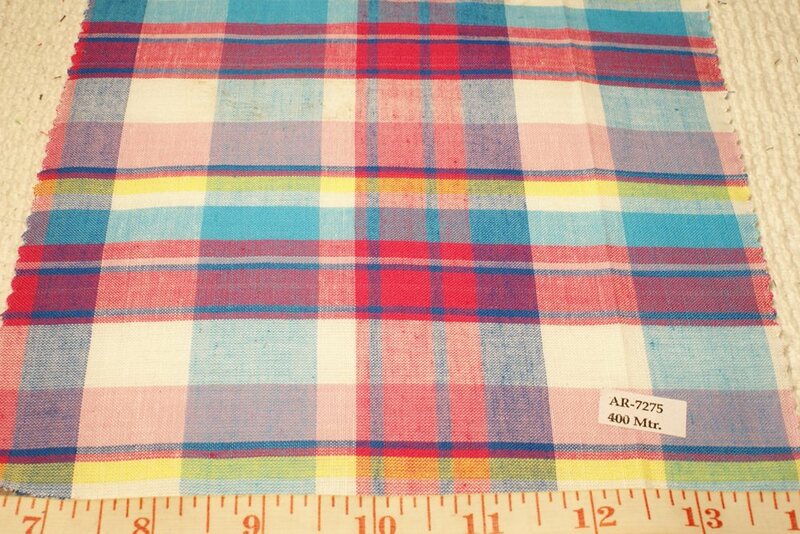 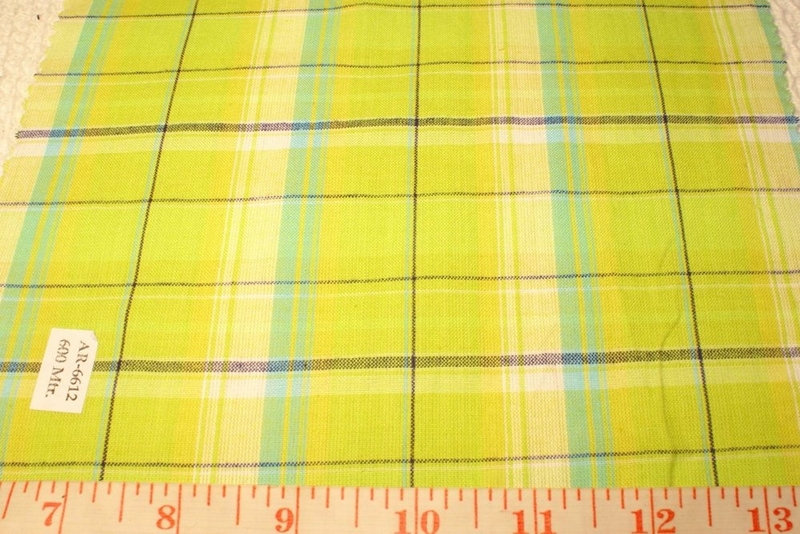 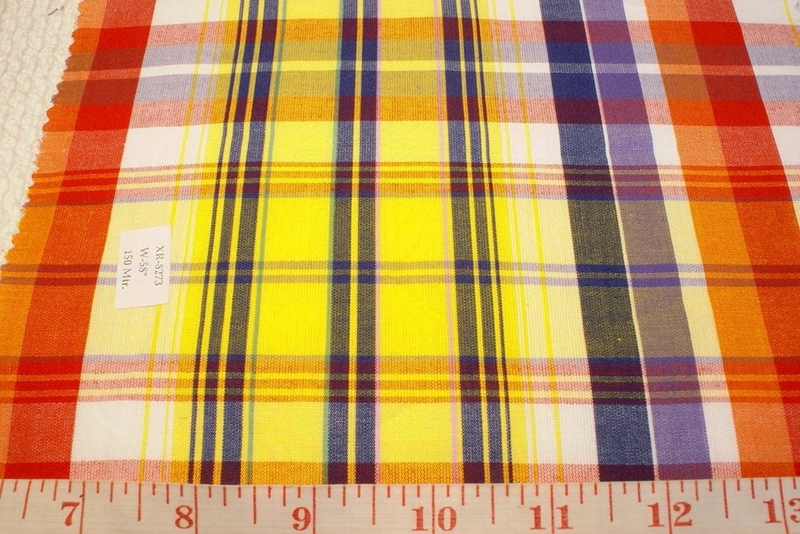 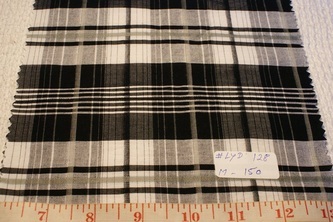 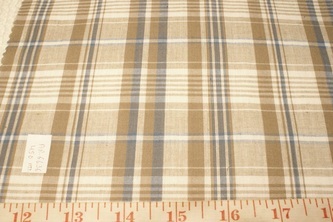 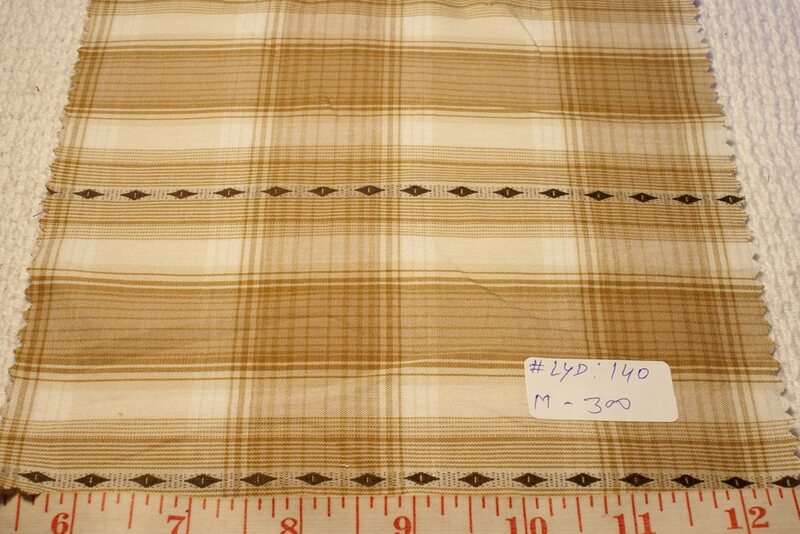 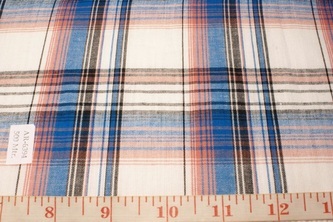 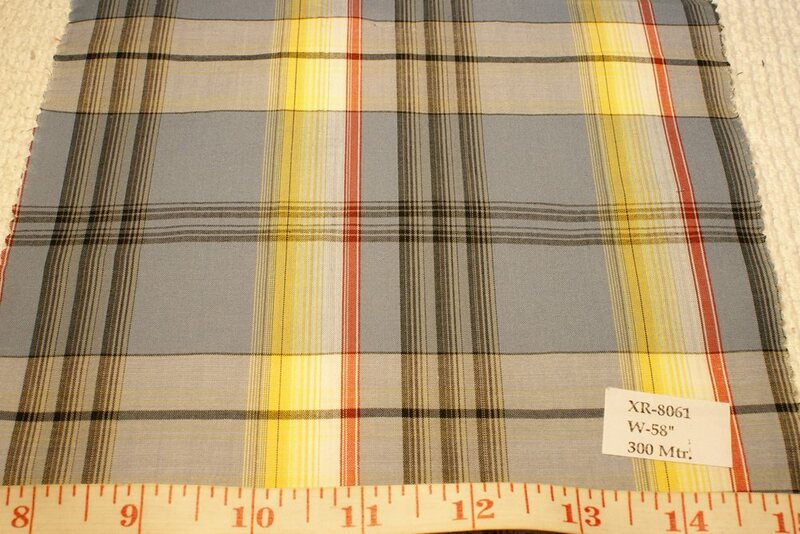 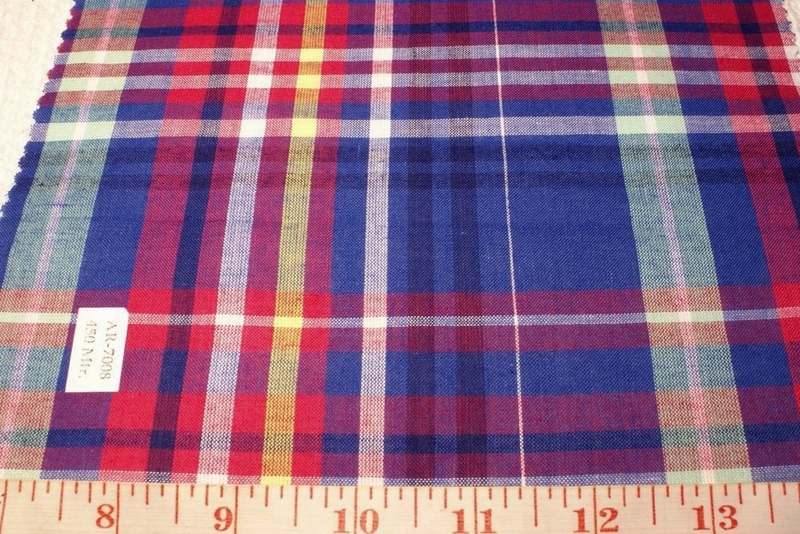 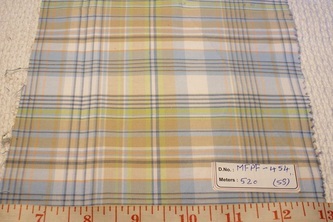 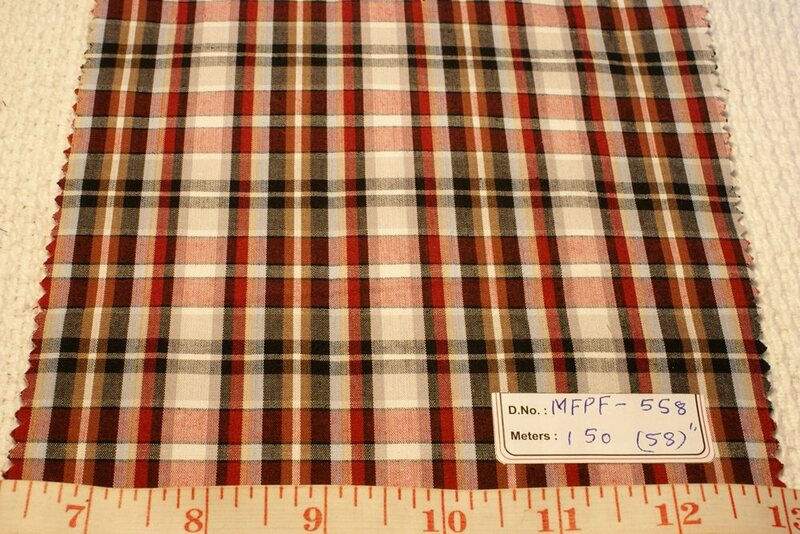 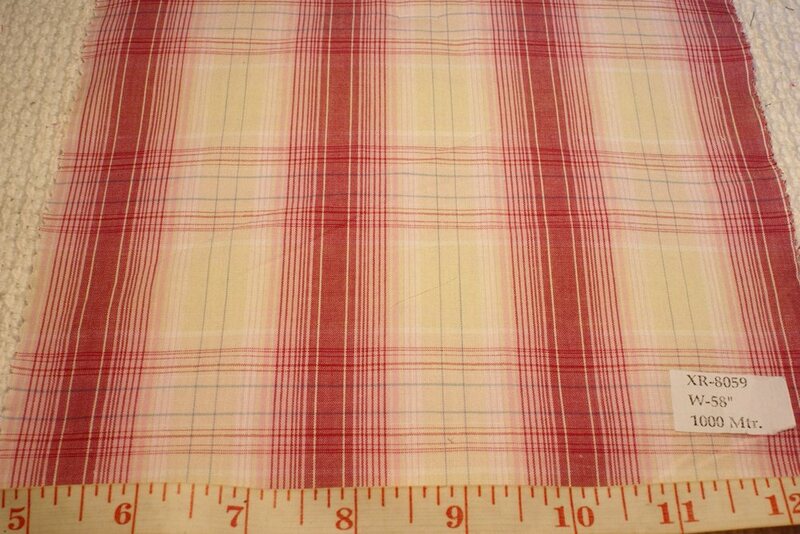 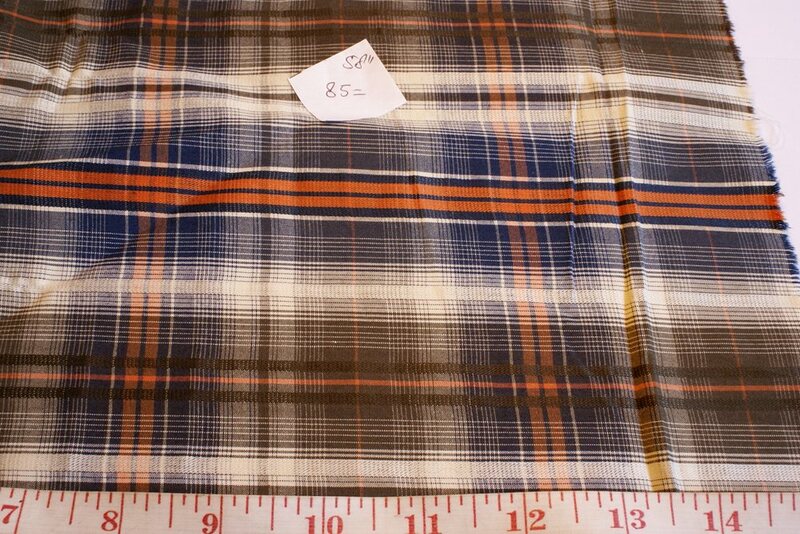 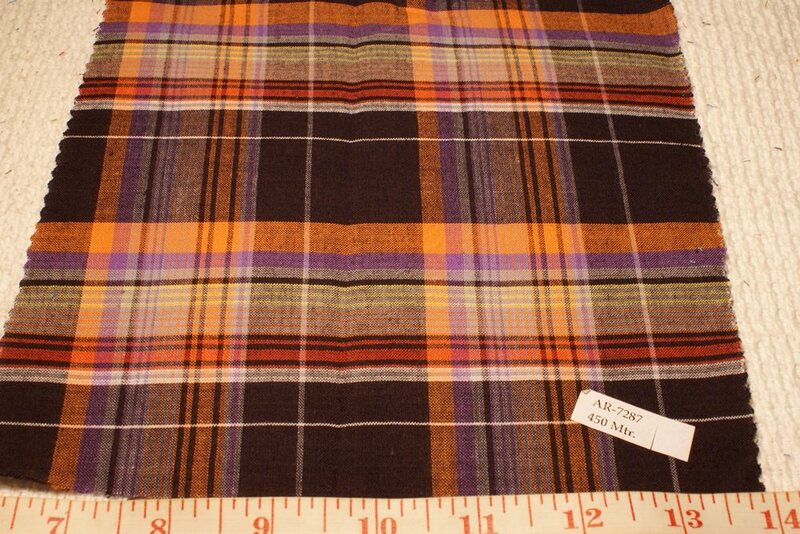 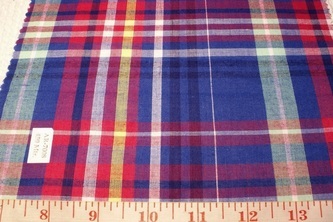 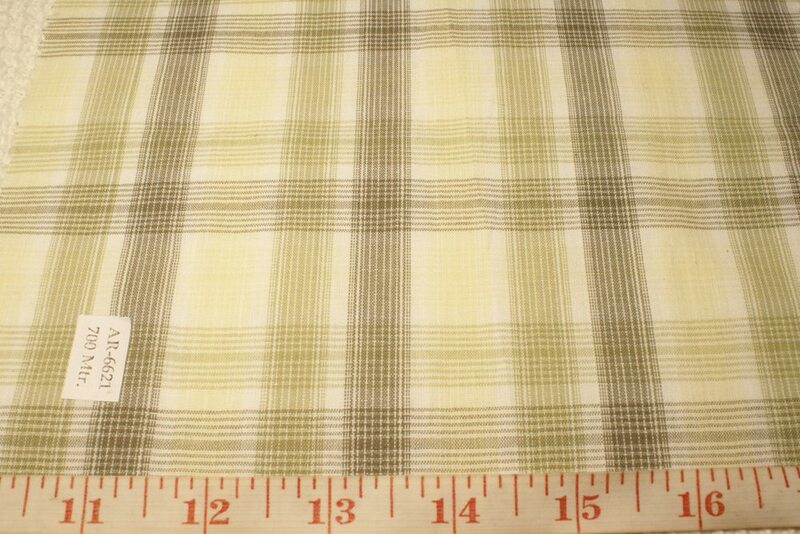 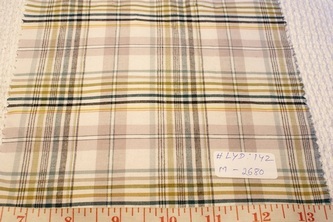 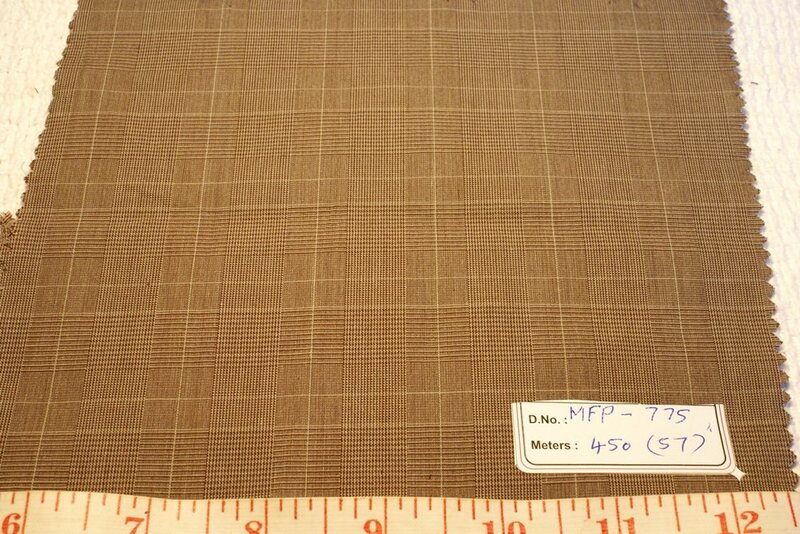 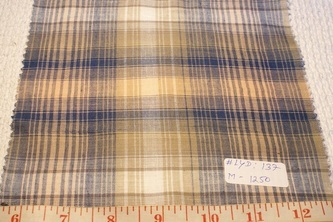 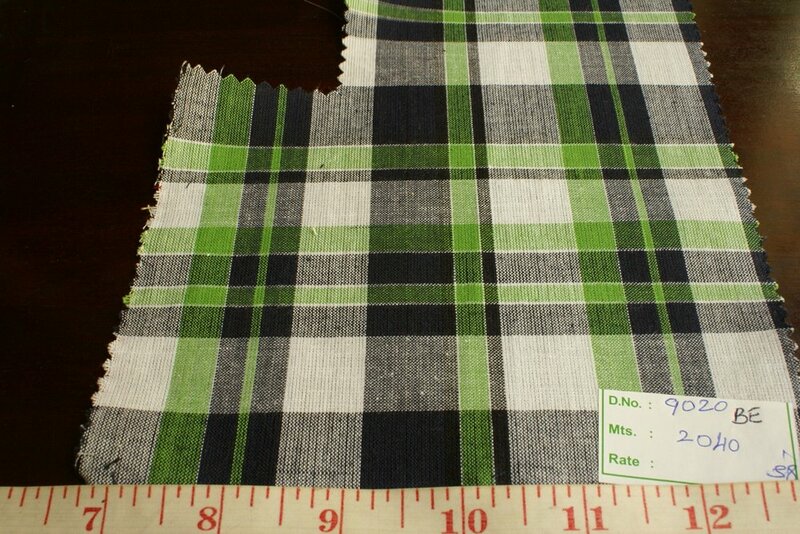 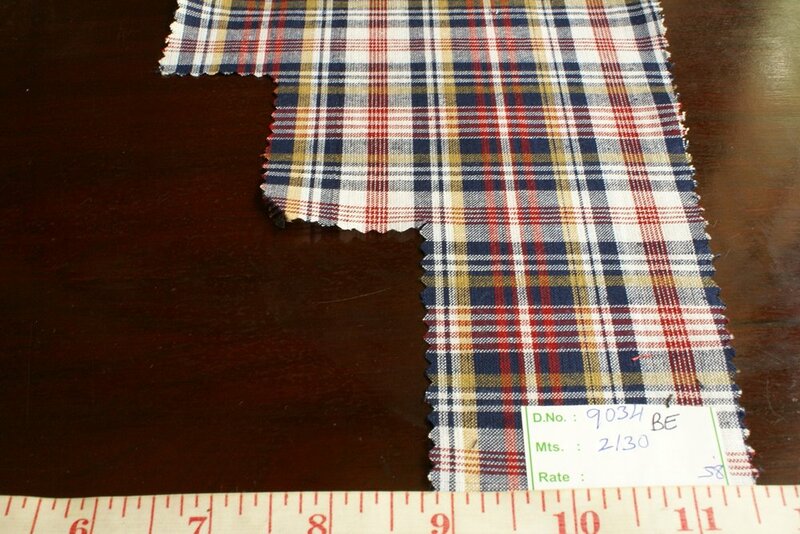 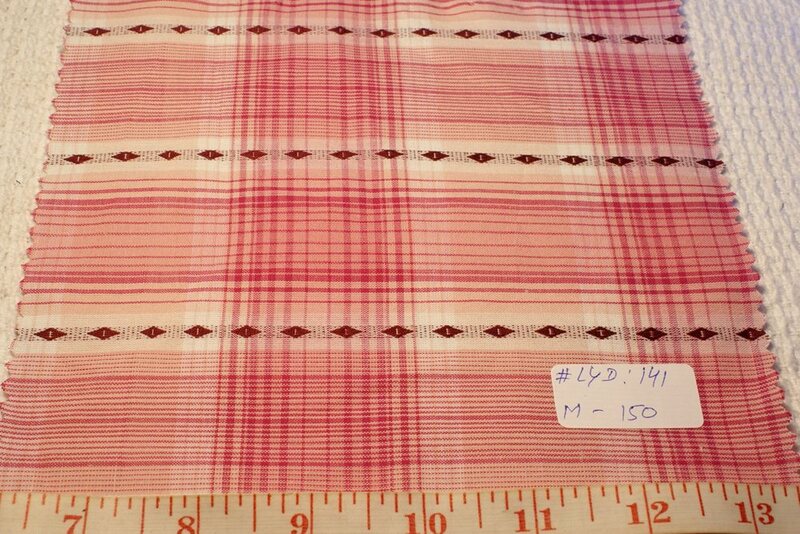 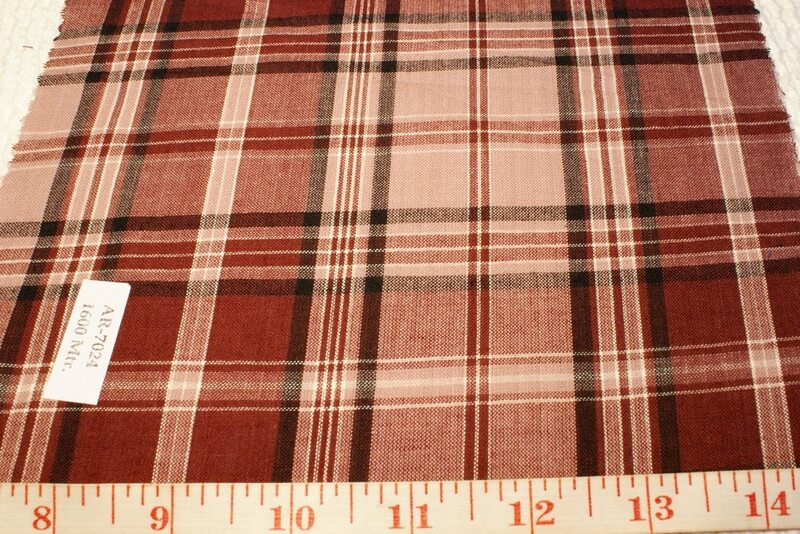 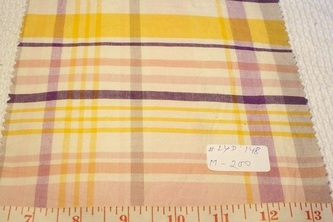 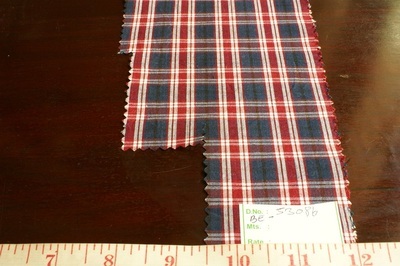 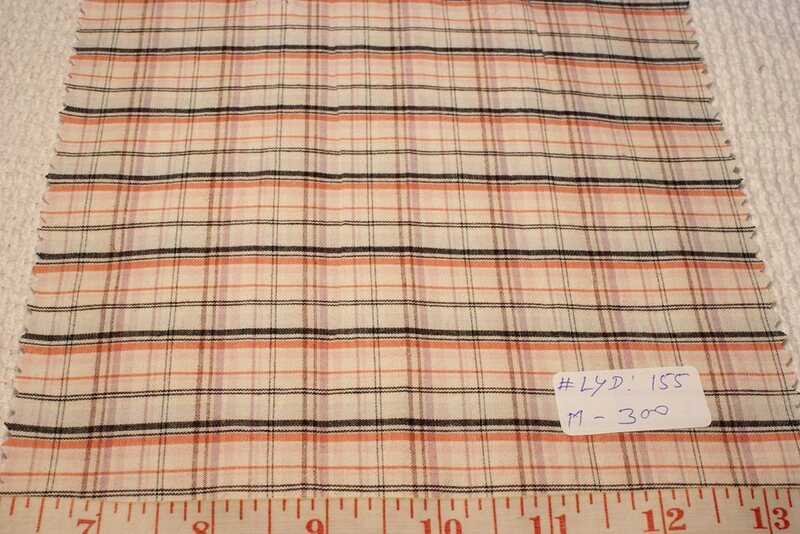 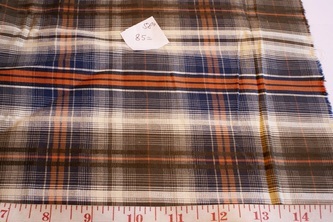 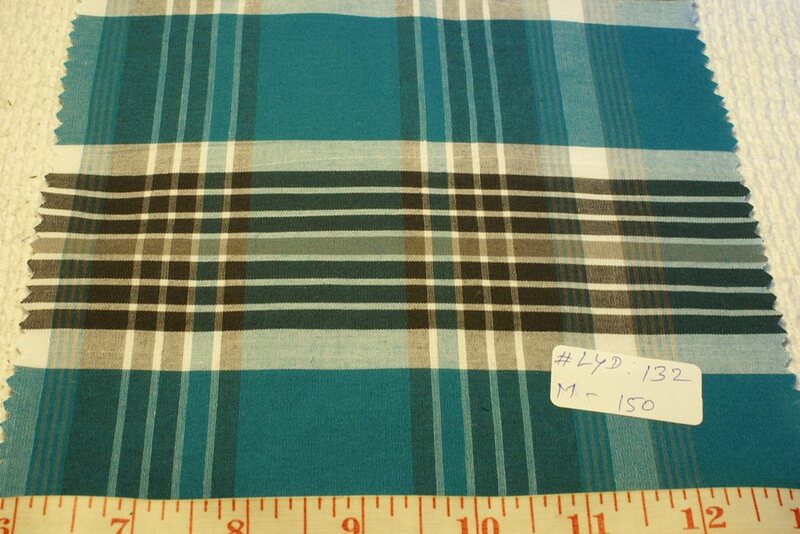 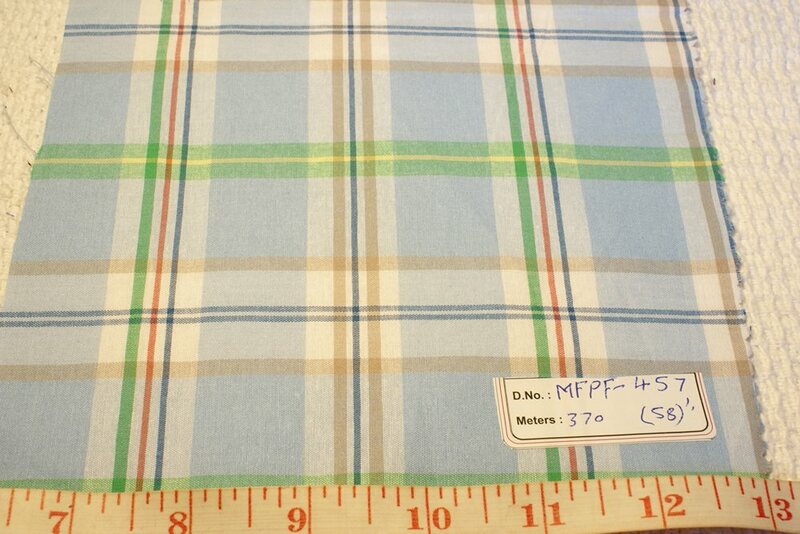 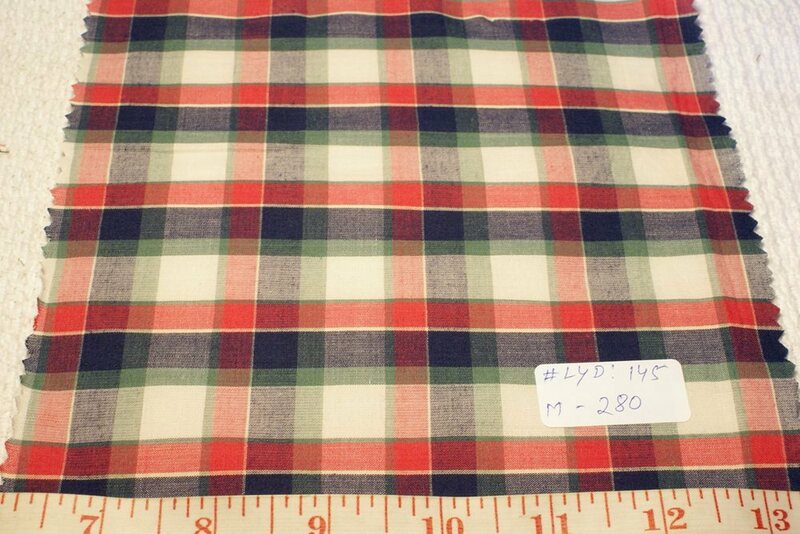 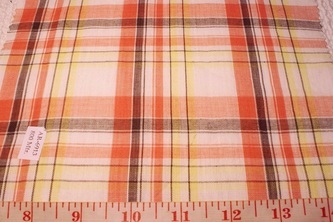 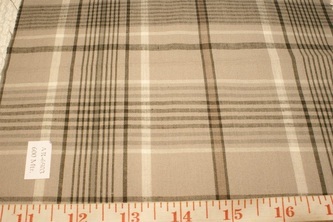 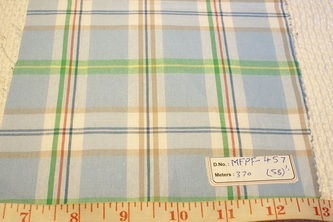 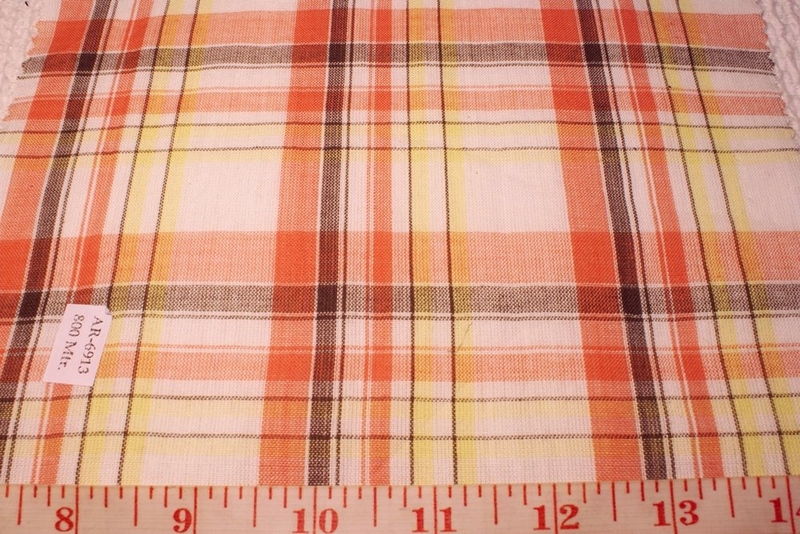 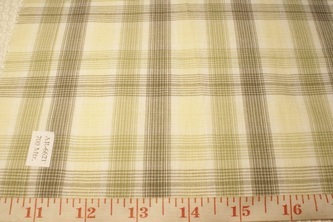 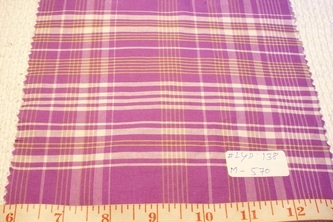 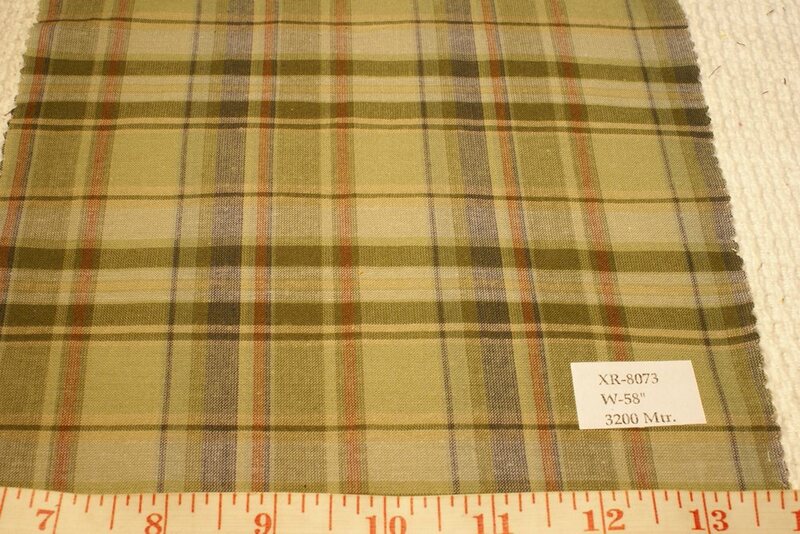 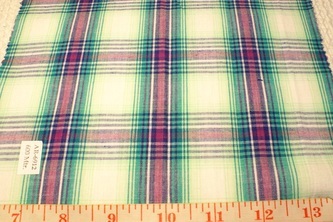 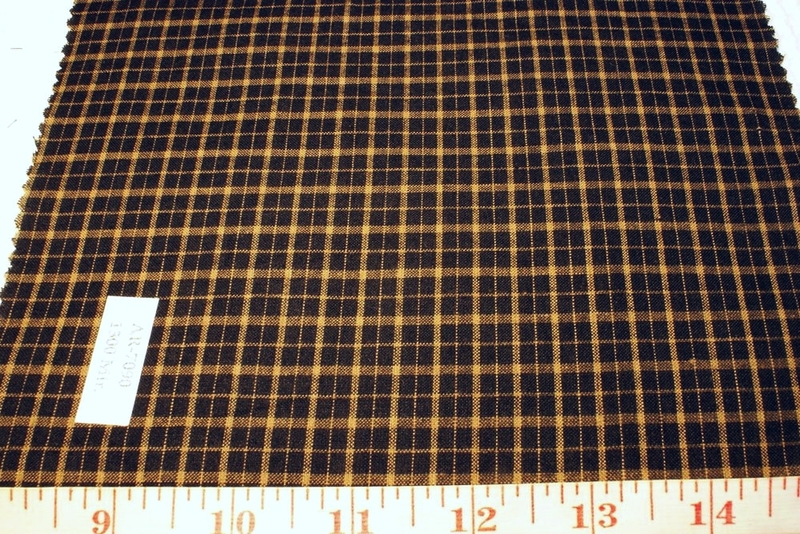 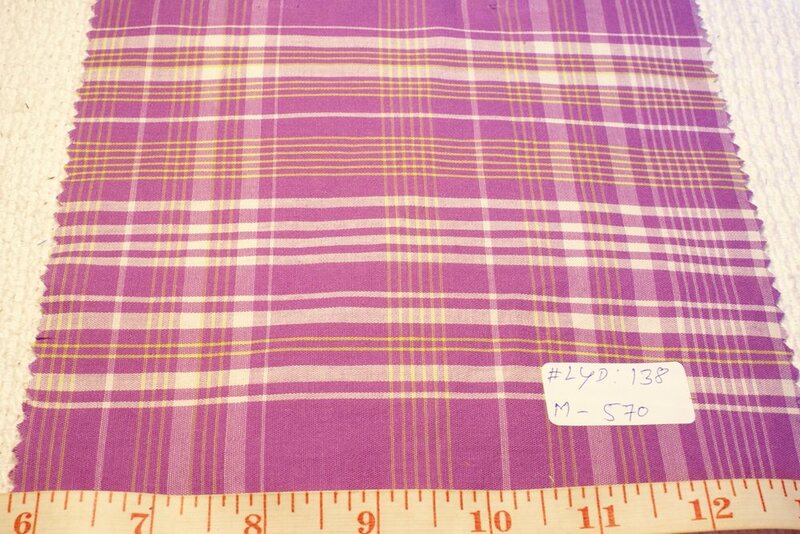 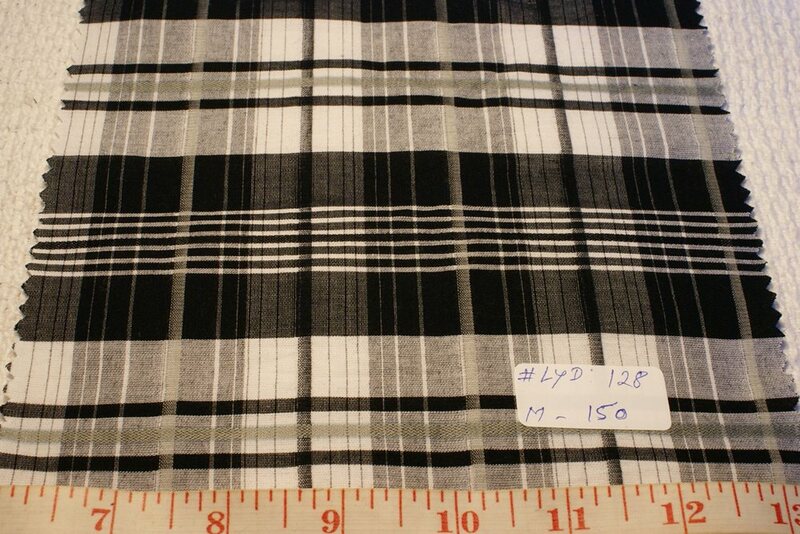 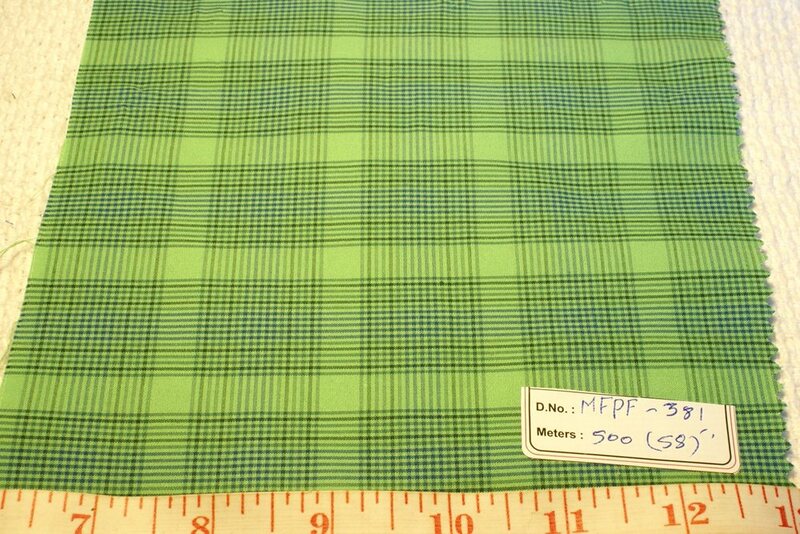 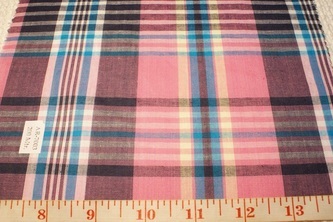 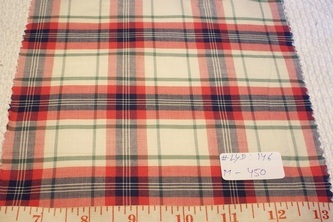 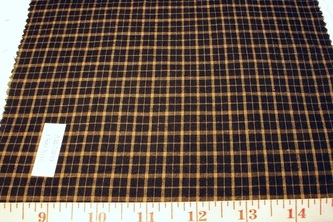 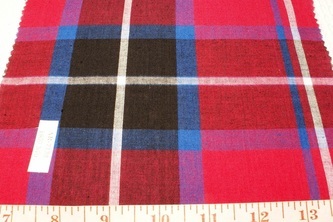 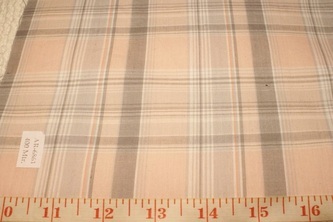 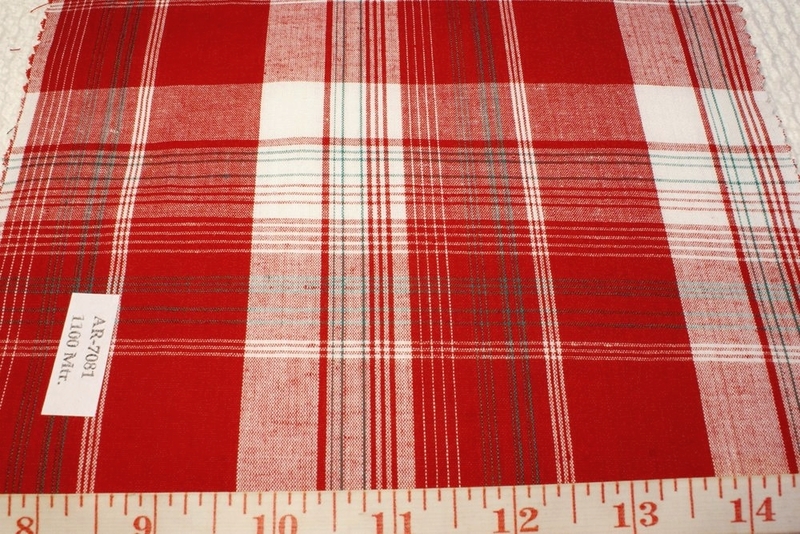 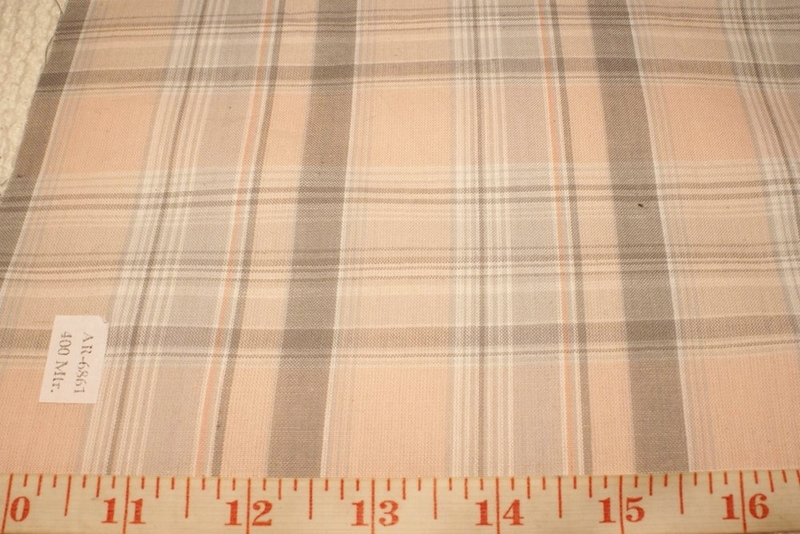 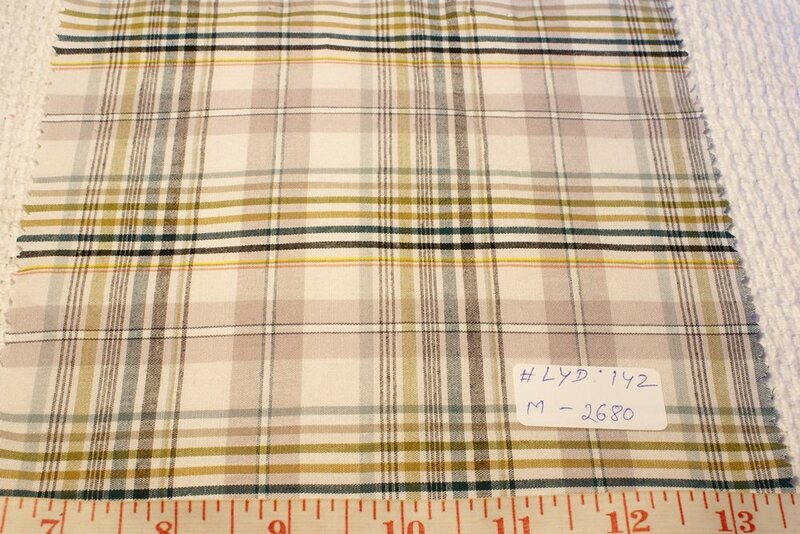 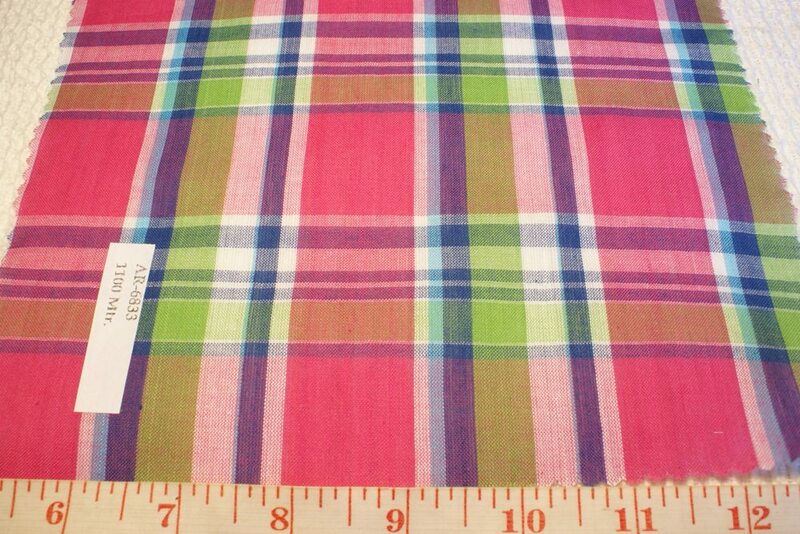 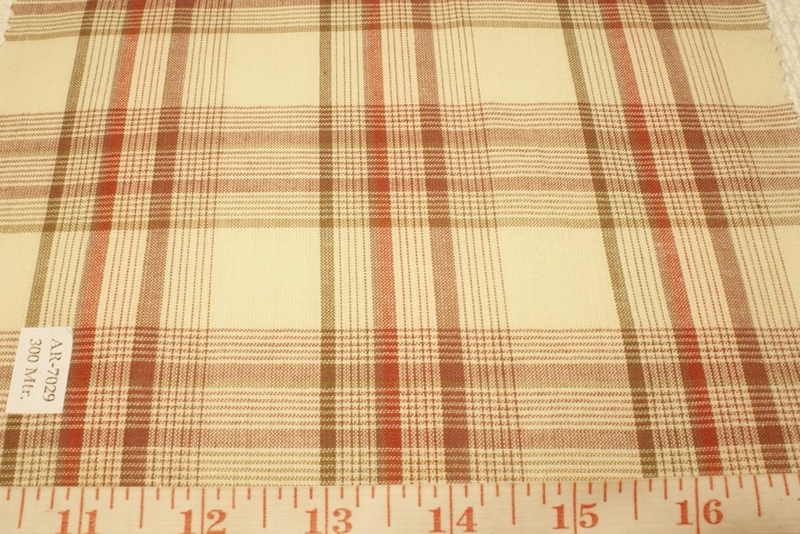 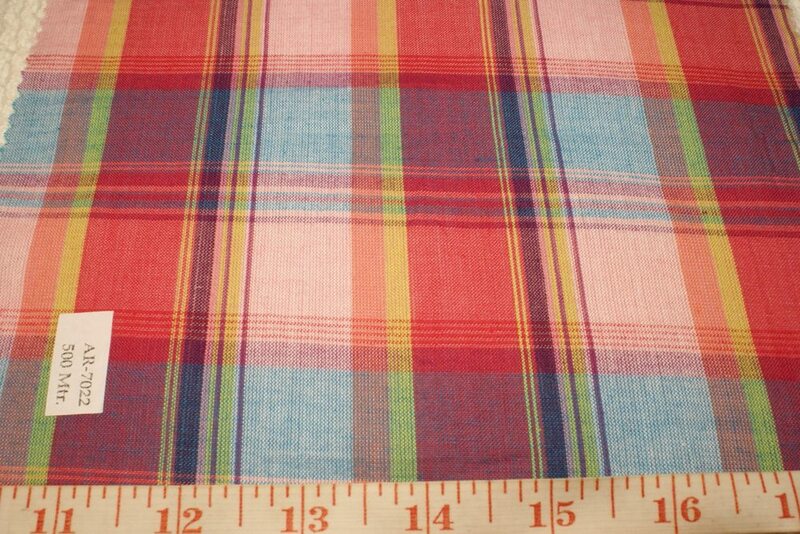 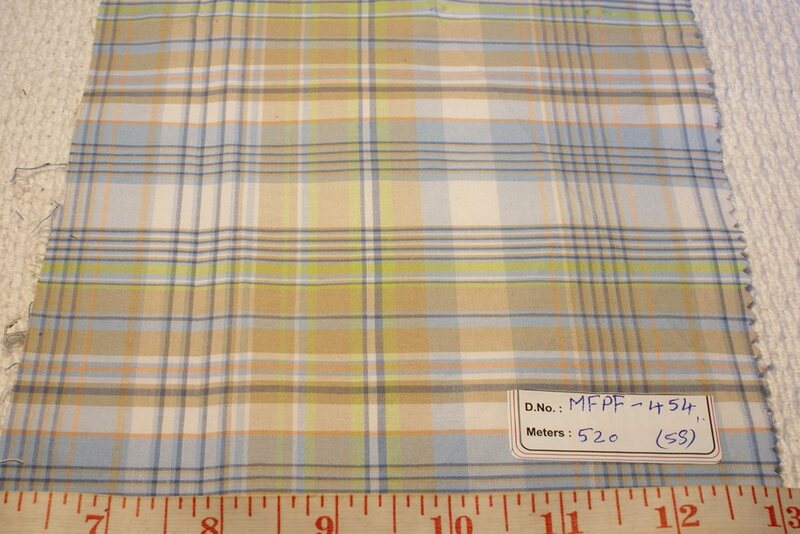 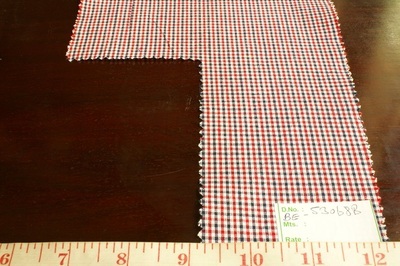 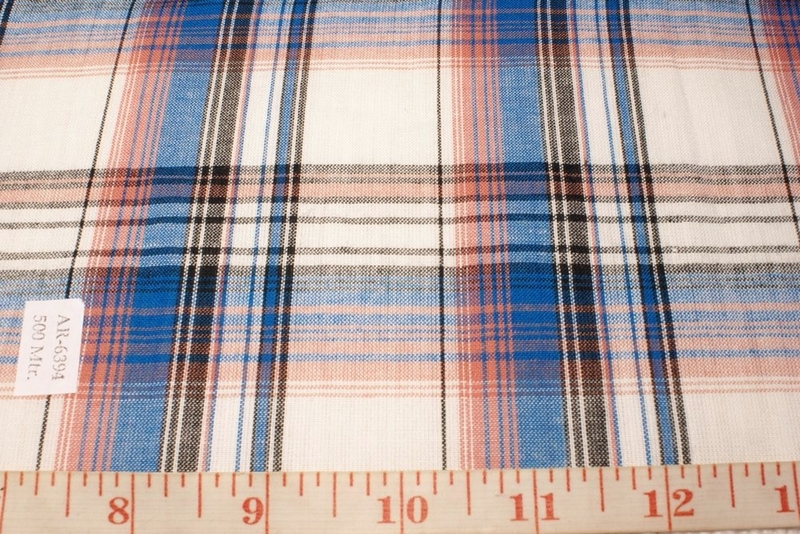 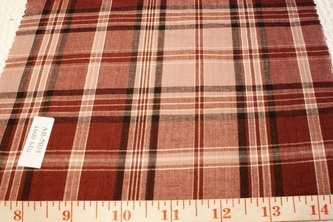 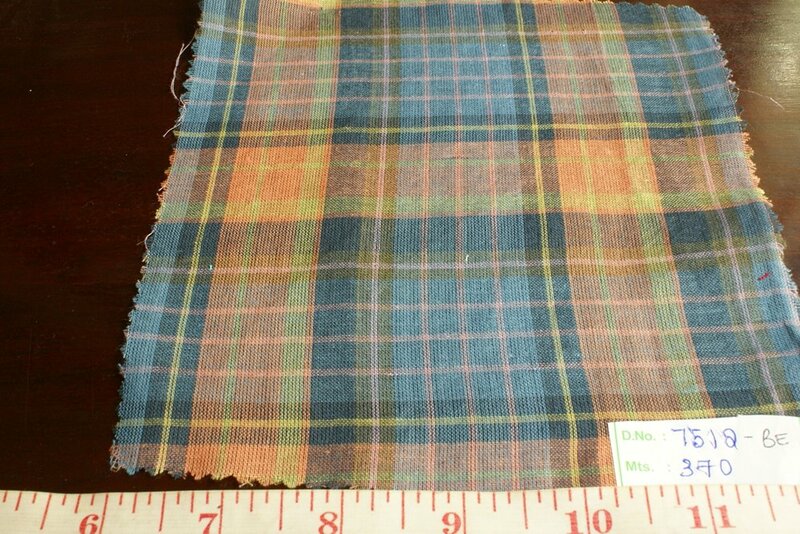 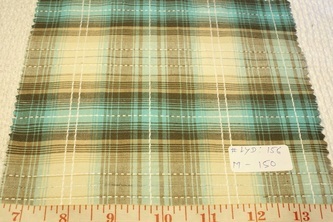 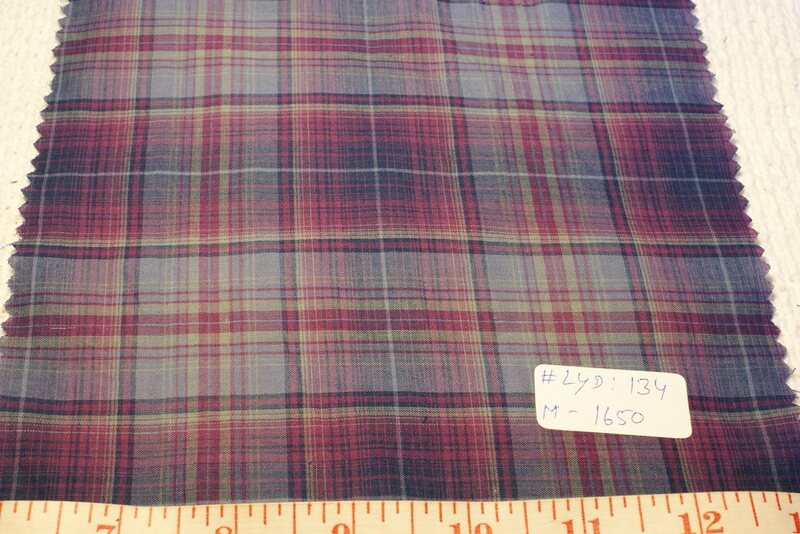 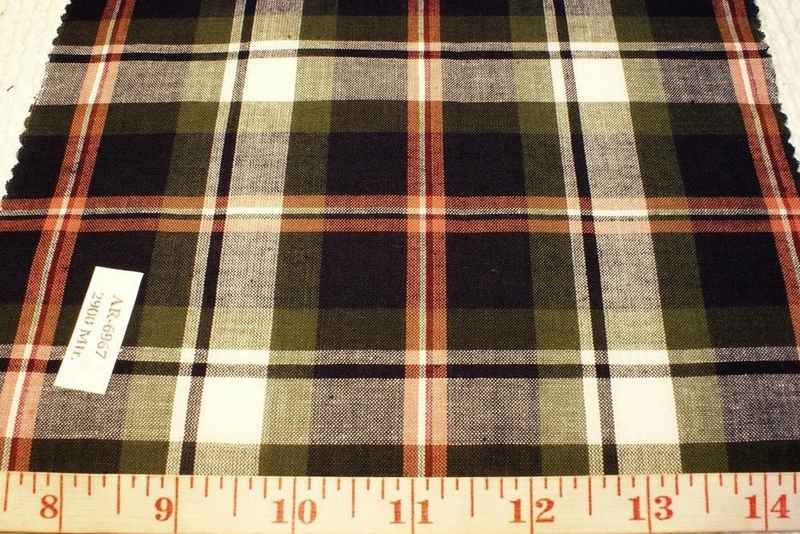 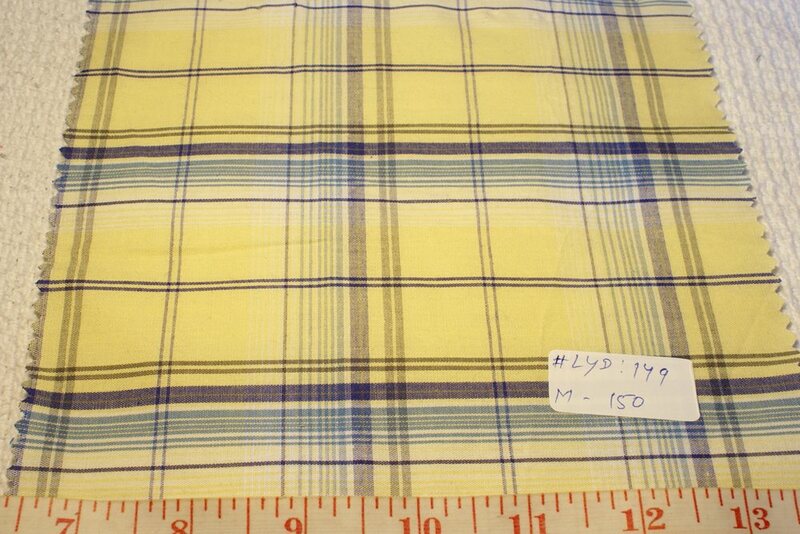 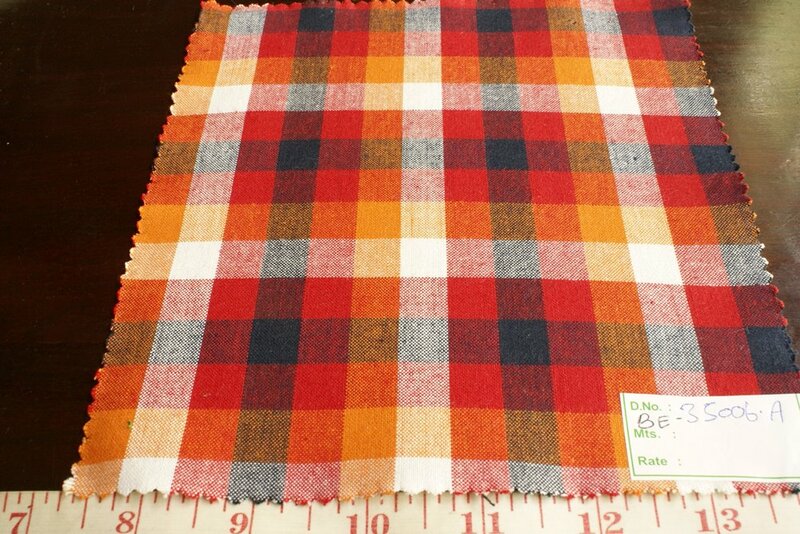 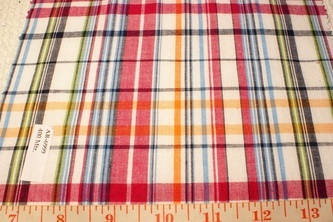 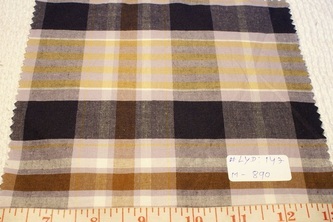 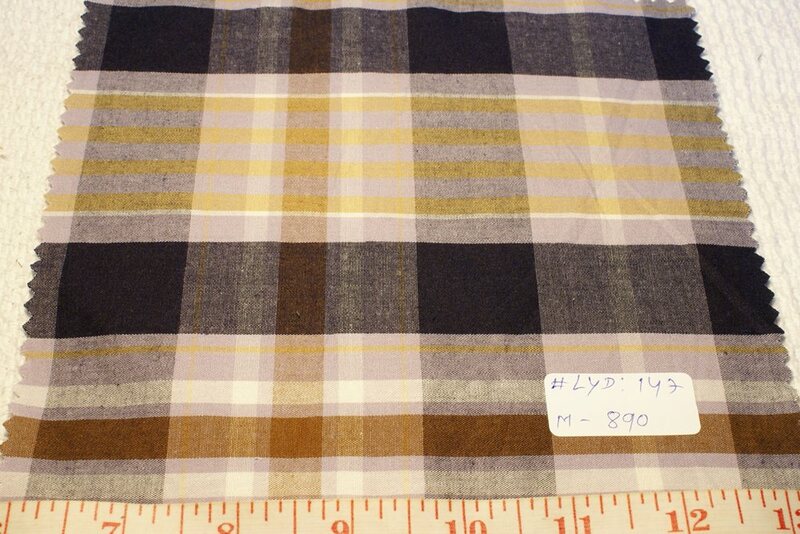 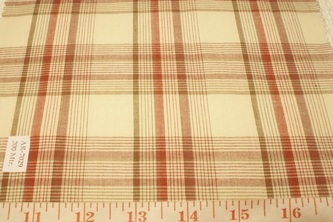 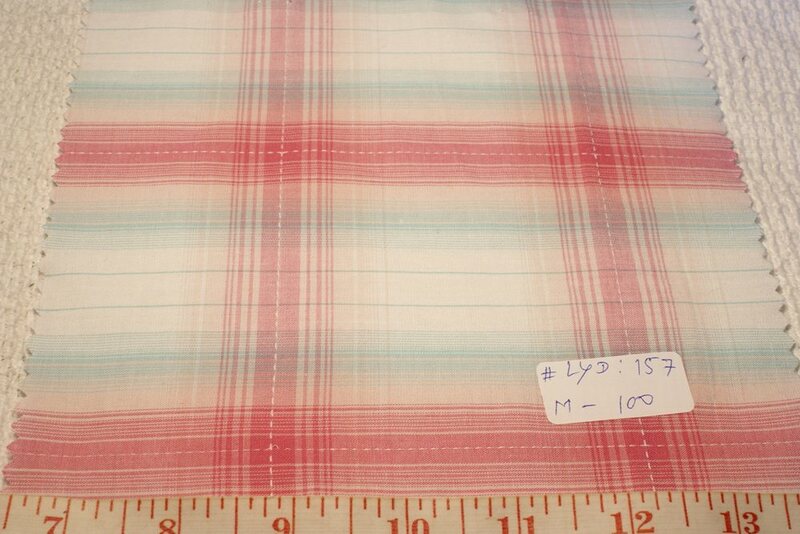 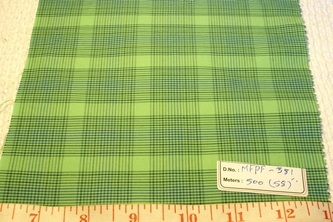 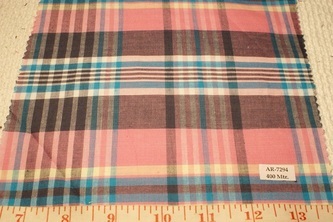 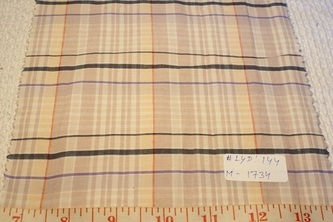 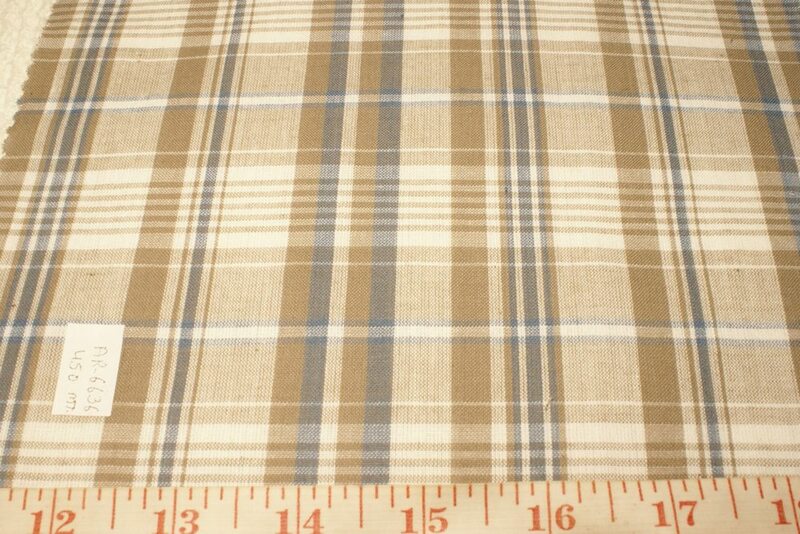 Madras Plaid Fabric - ideal for shirts, both Sport and Dress. 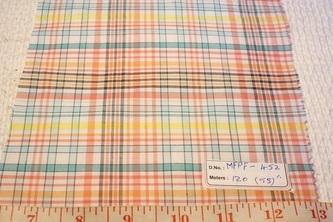 Madras Plaid is ideal fabric for shirts - Sport or Dress, and this is evident from the fact, that almost every shirtmaker, or men's brand out there, must offer plaids in their summer collection. 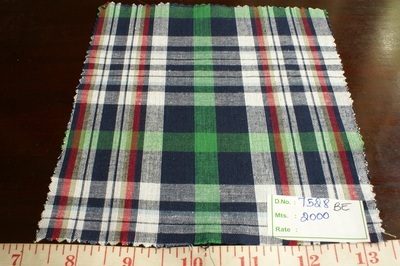 Plaids might be the only way for a man to wear bold colors. 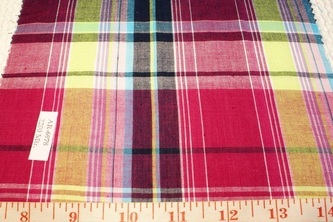 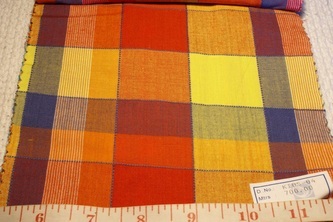 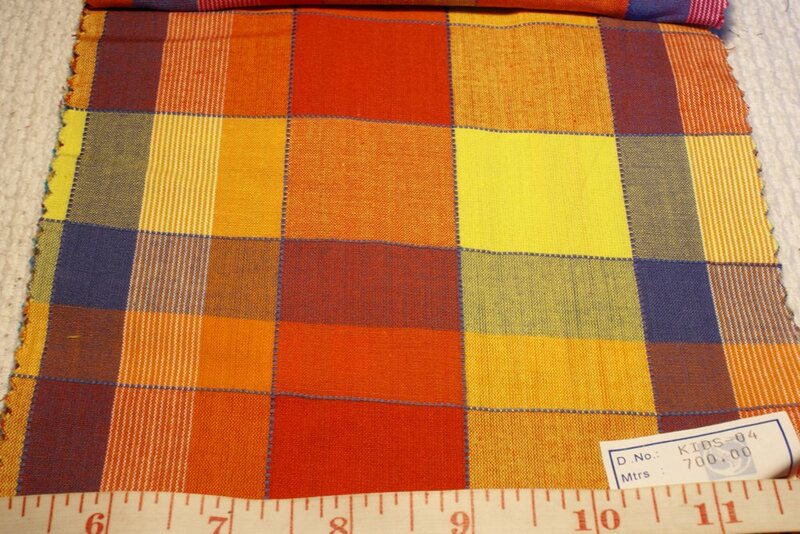 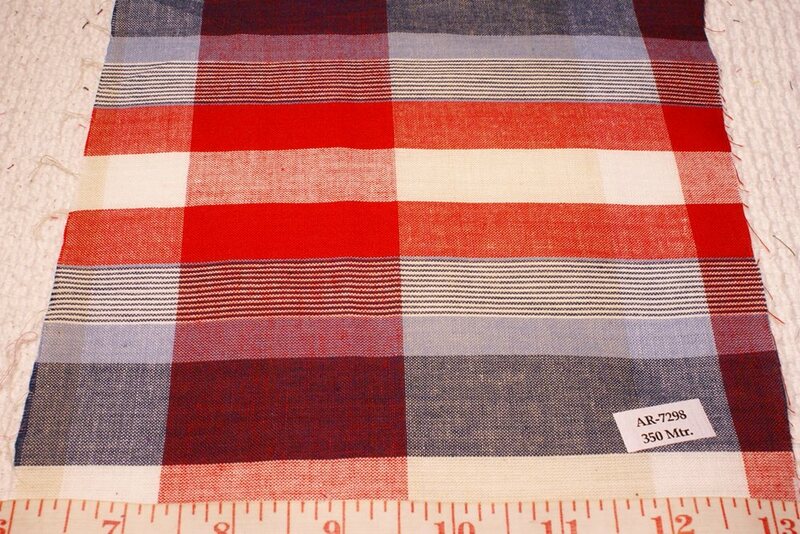 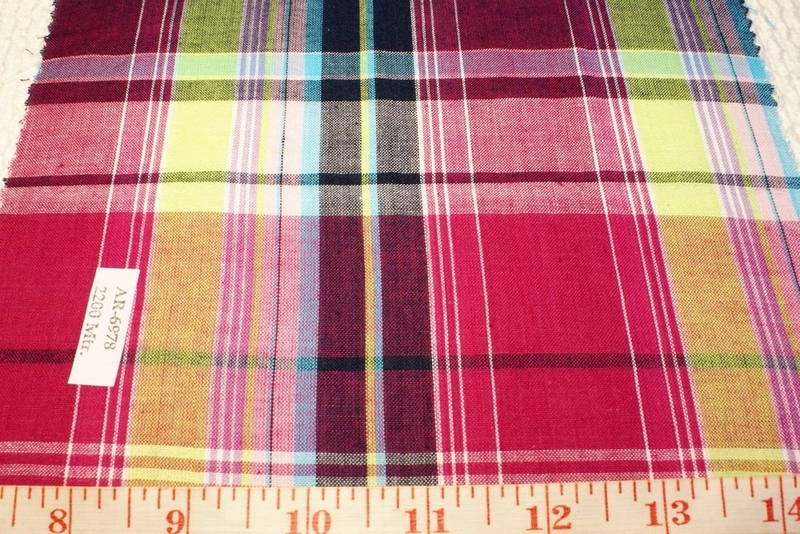 Madras plaid can be handloomed or machine - loomed. 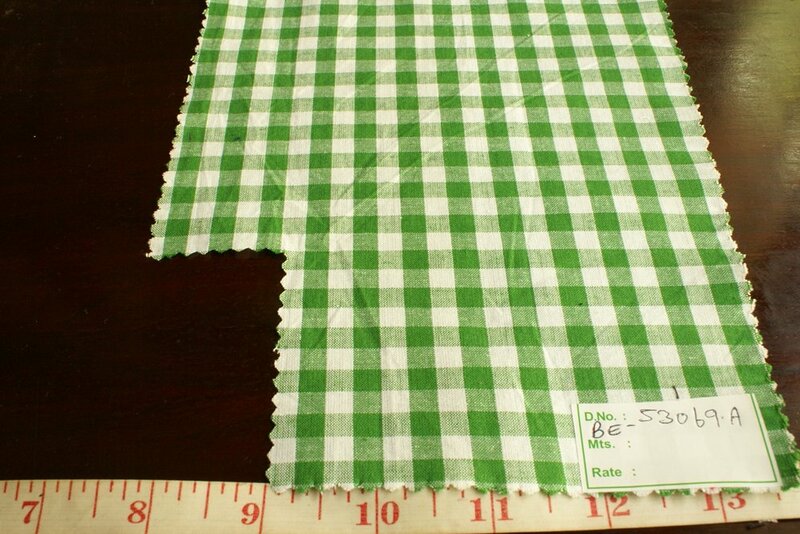 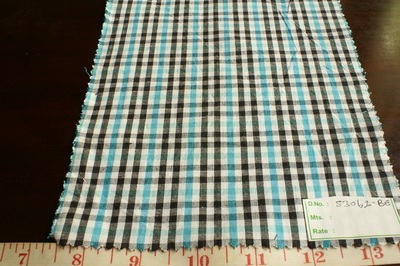 Both fabrics, get the job done pretty much, though the resultant fabric in each case, have their own characteristic differences, such as fabric smoothness, weave strength, color density etc. 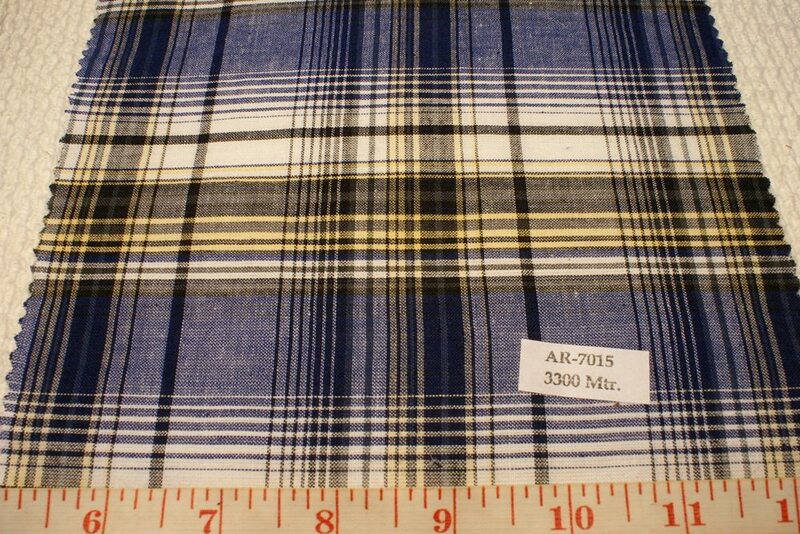 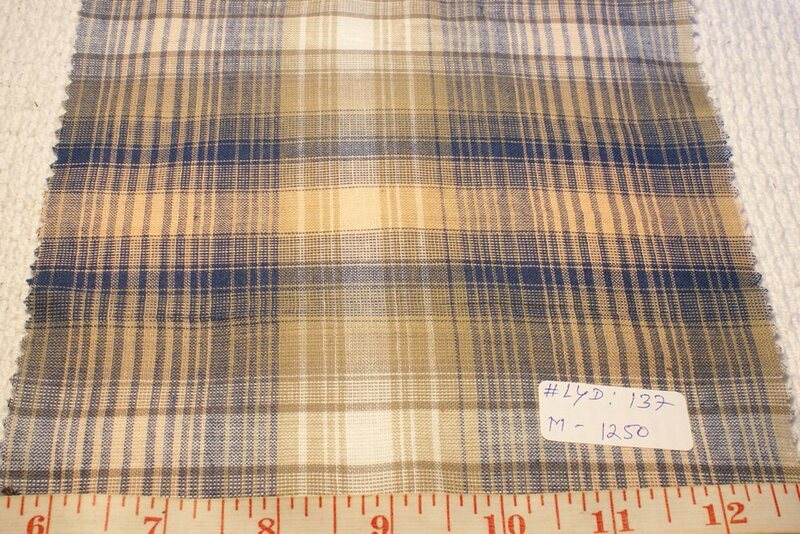 Our Madras plaid is used extensively for Sport shirts, and Atlantis has a line of Sport Shirts made from different qualities of madras fabric. 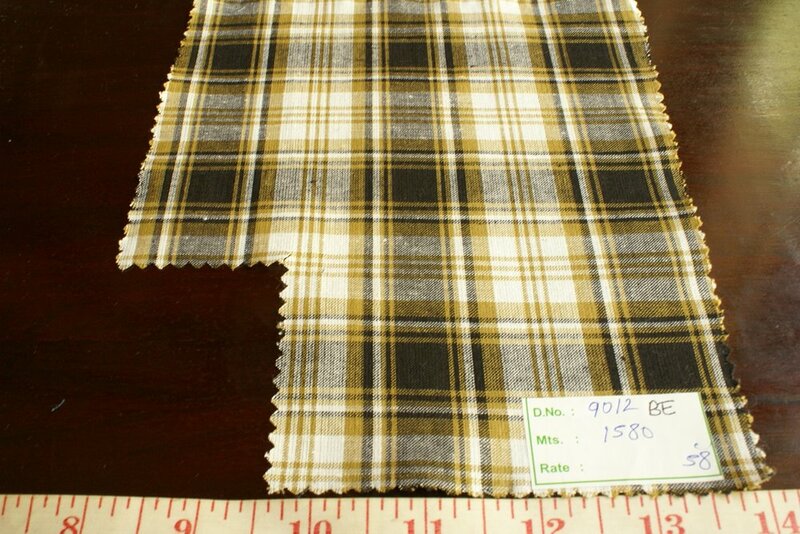 In addition, our madras plaid is the fabric of choice for Sport Coats & Jackets, Plaid dress shirts, Plaid Golf pants, lounge pants, pajamas, bowties, neck ties, tunics, and shorts. 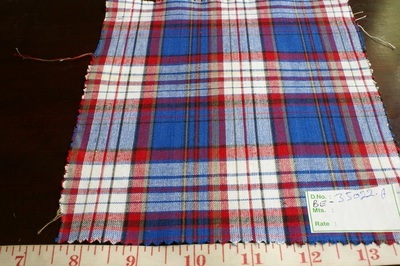 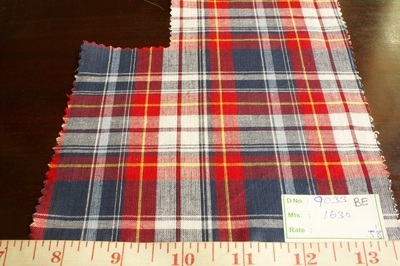 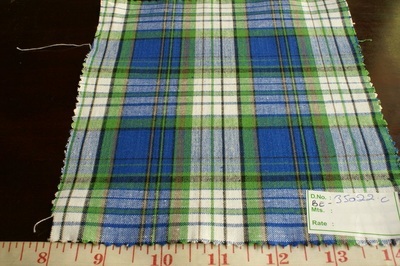 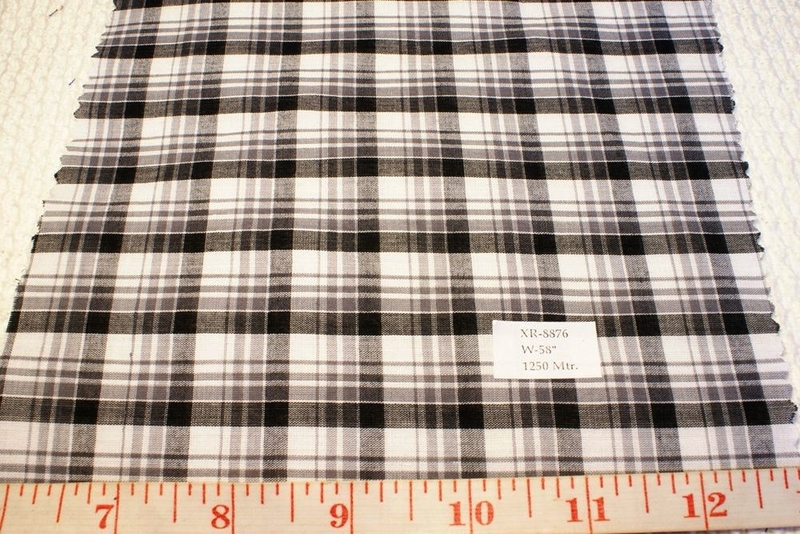 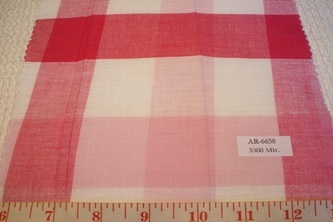 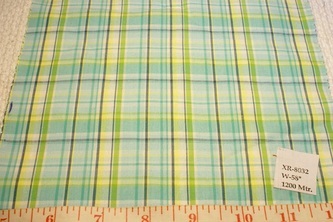 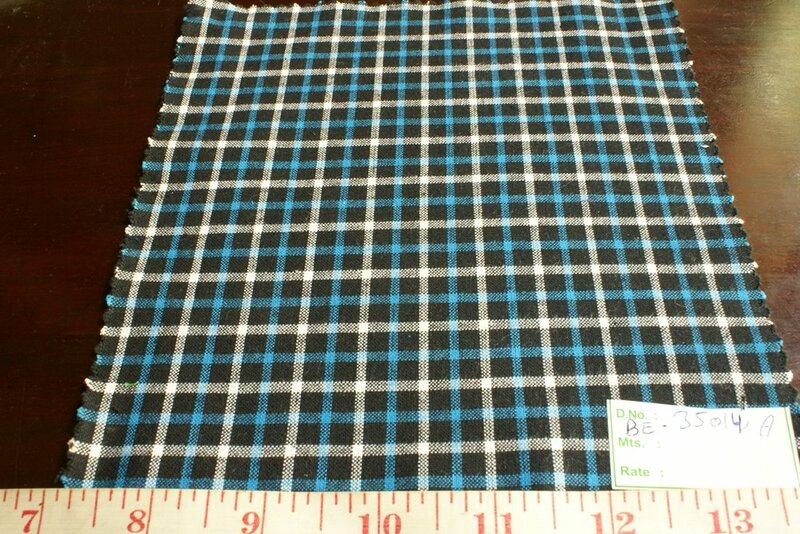 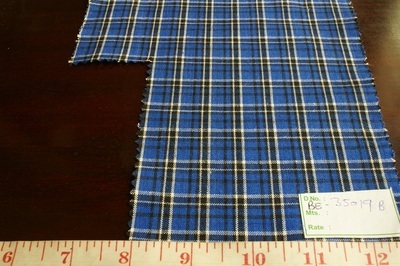 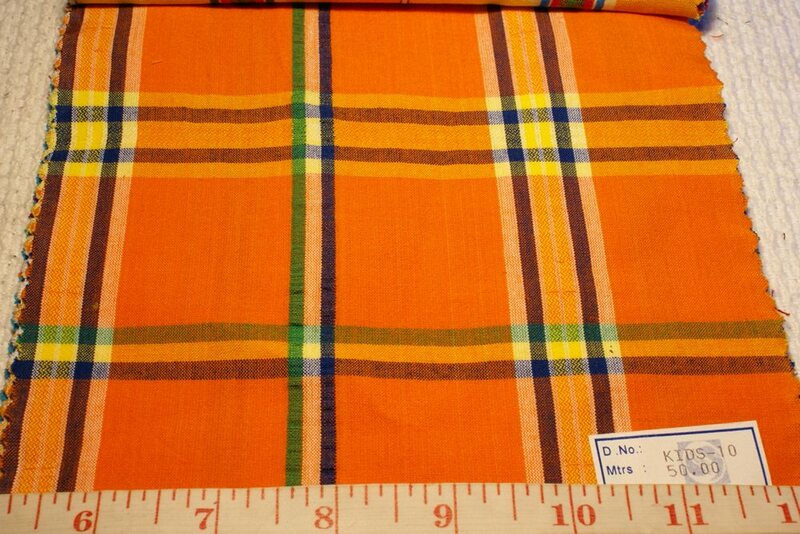 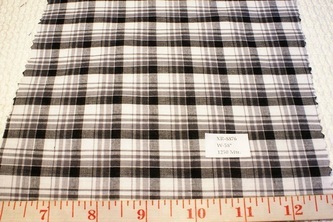 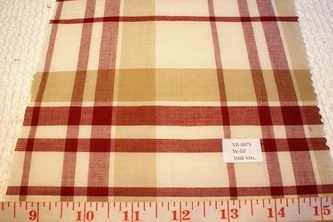 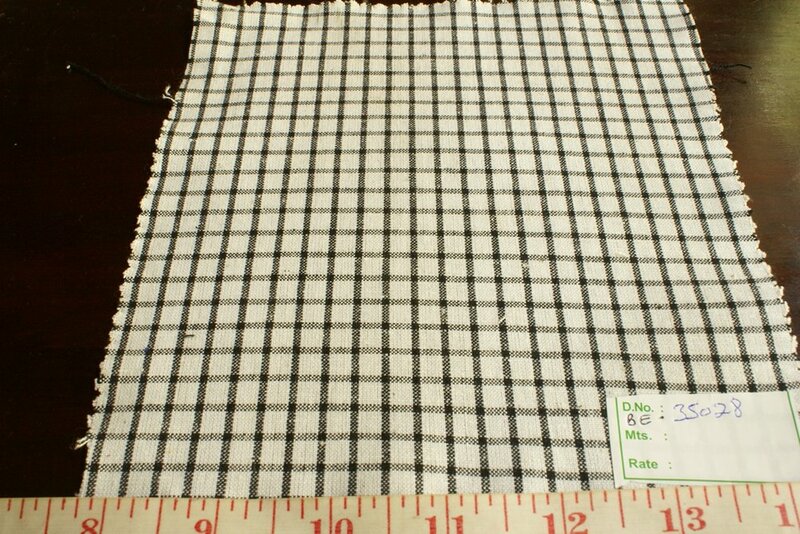 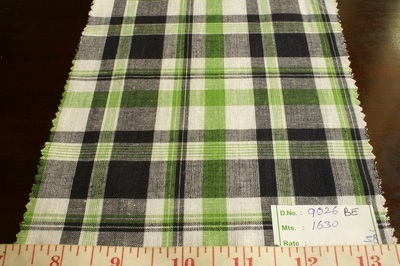 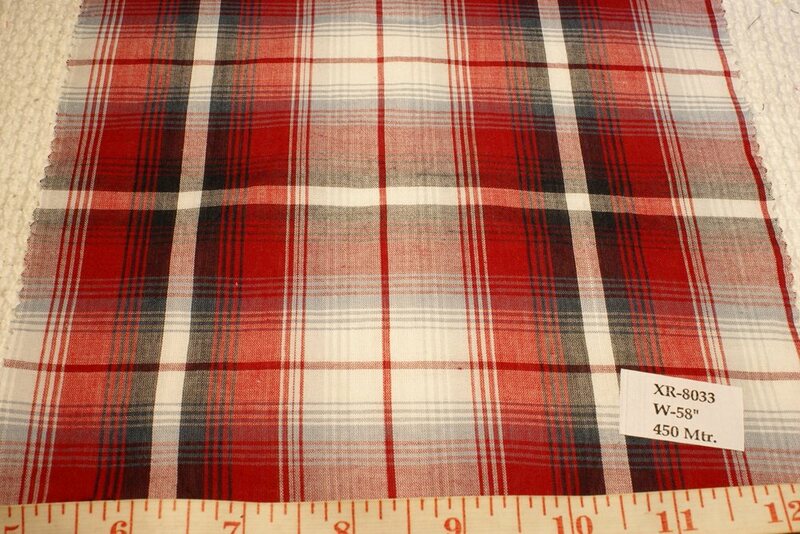 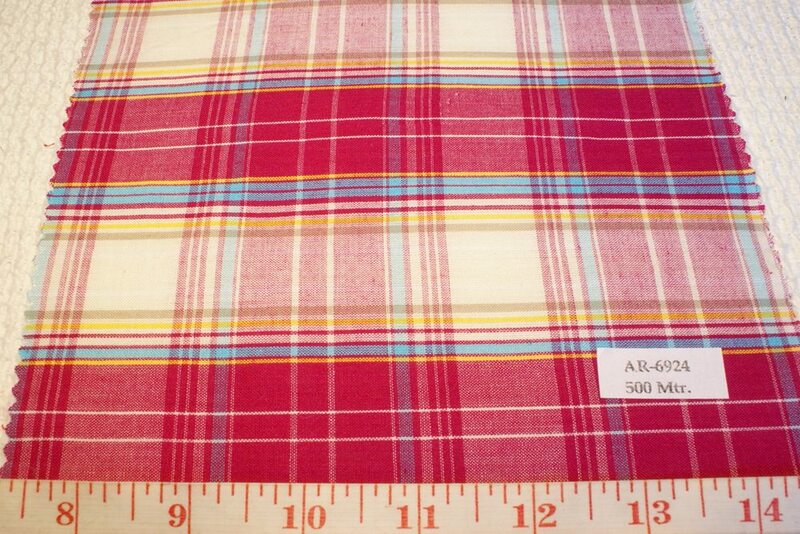 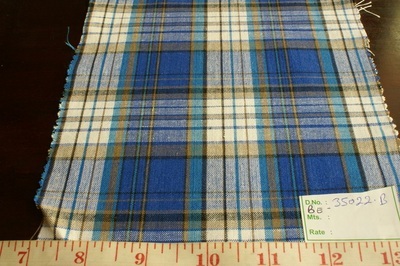 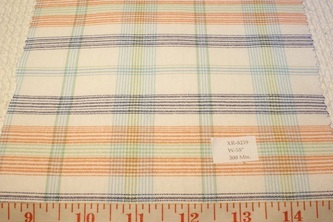 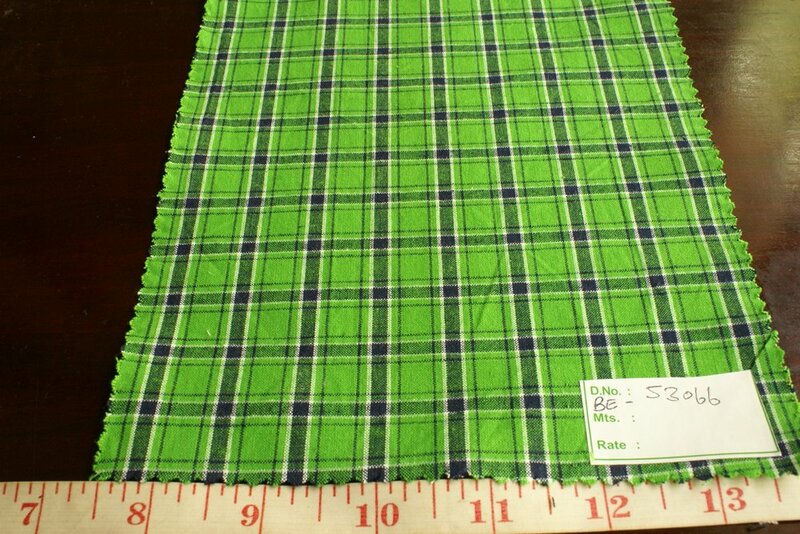 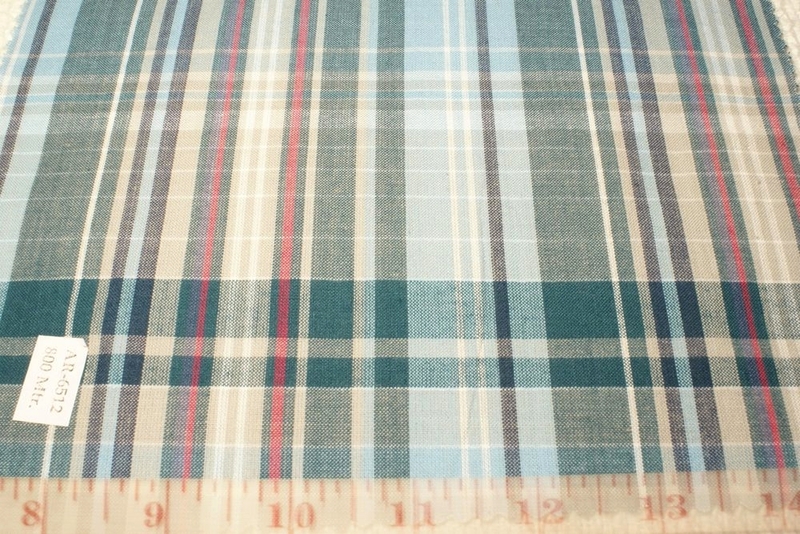 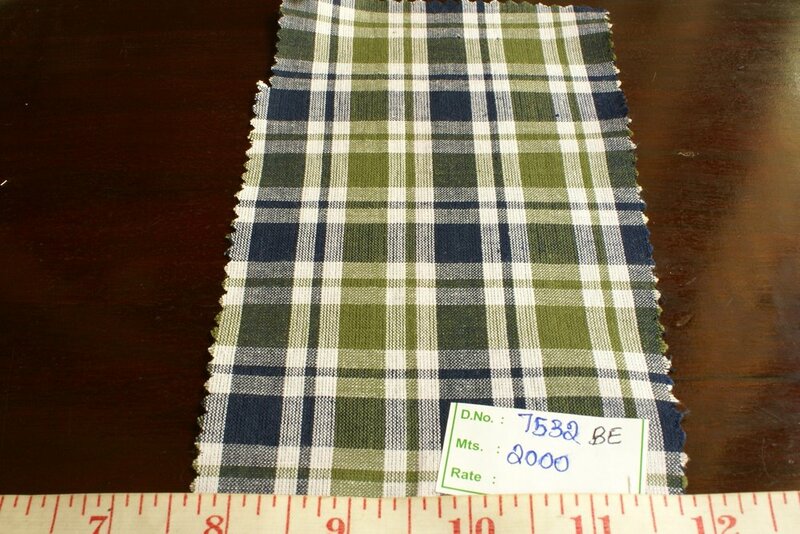 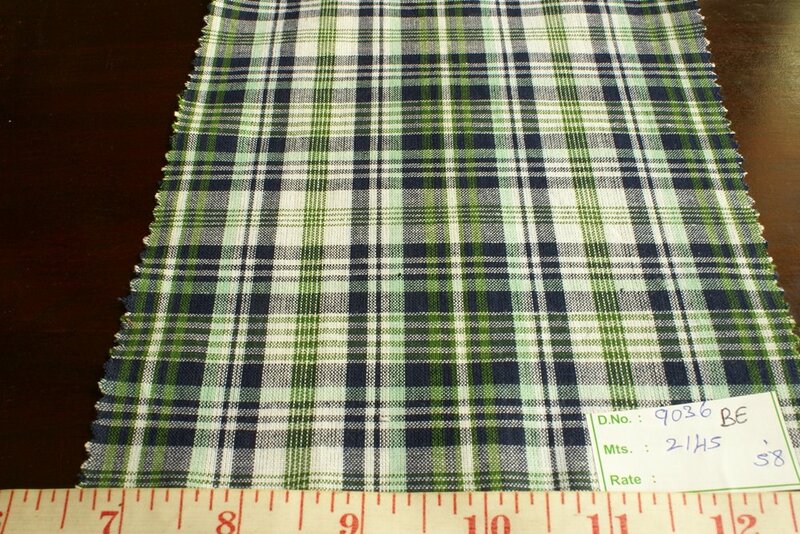 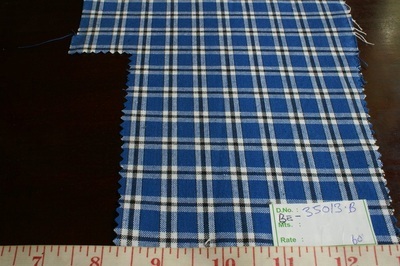 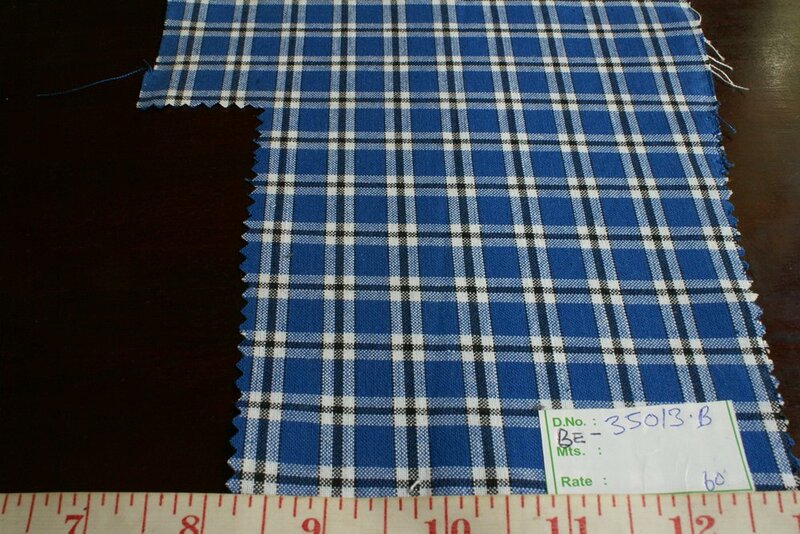 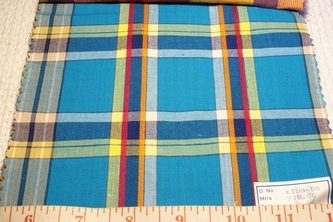 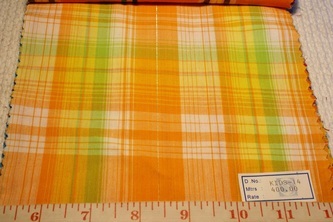 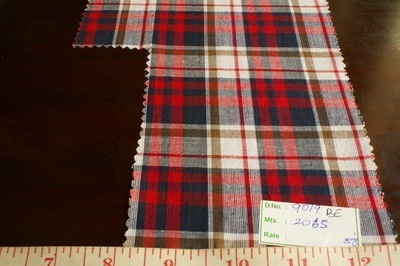 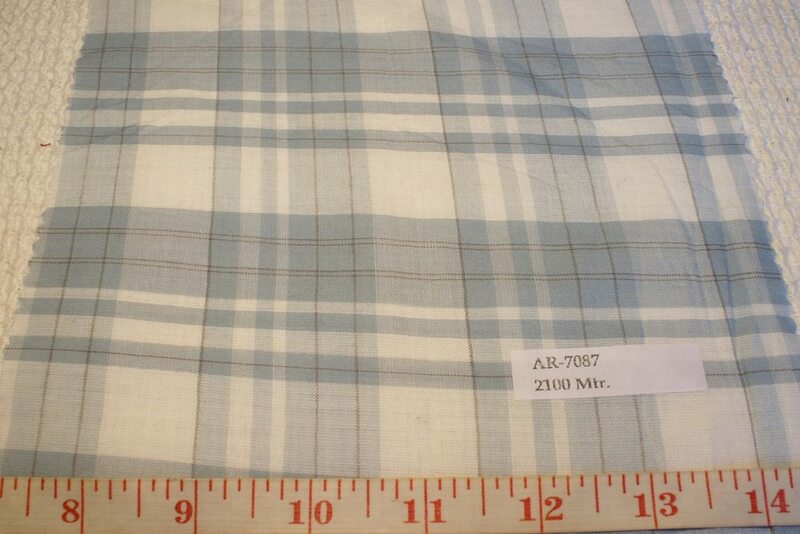 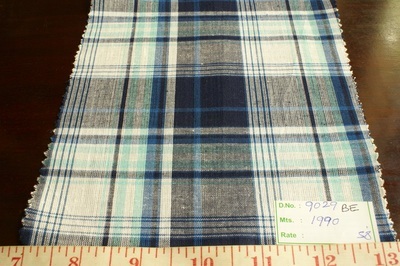 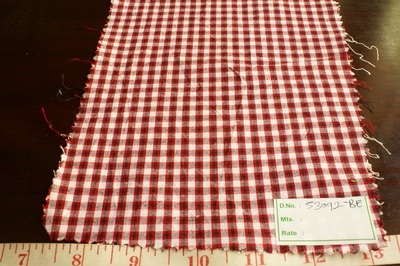 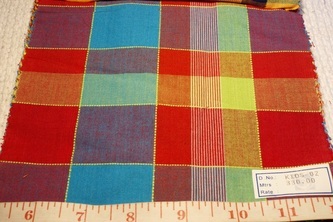 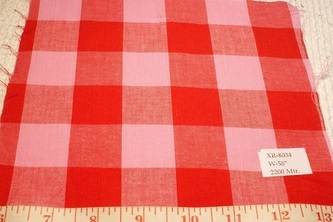 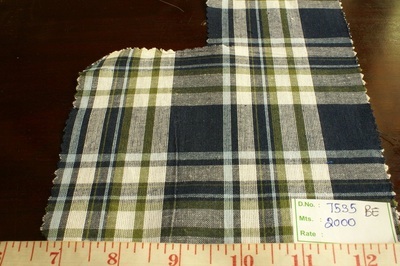 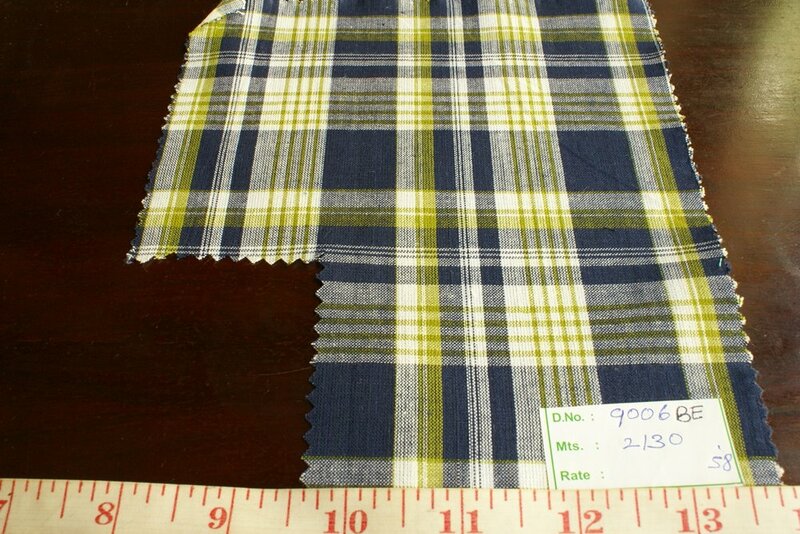 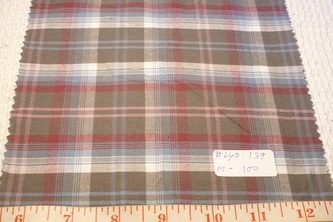 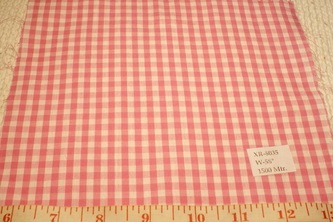 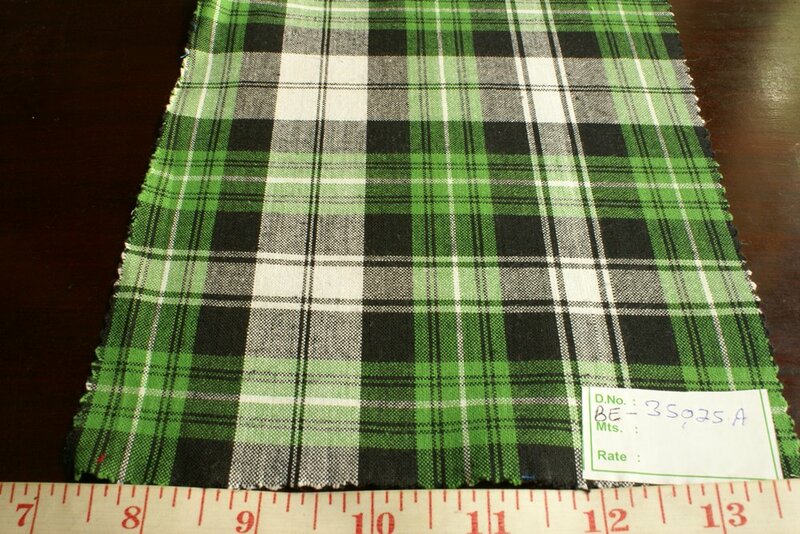 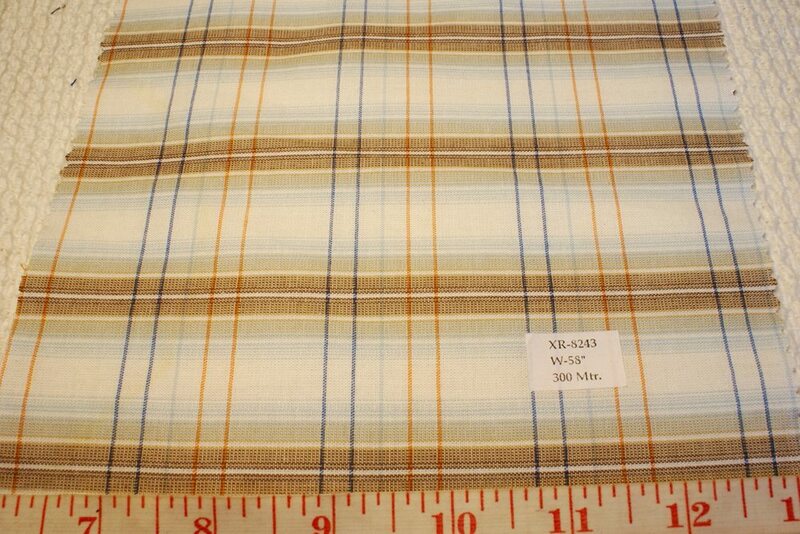 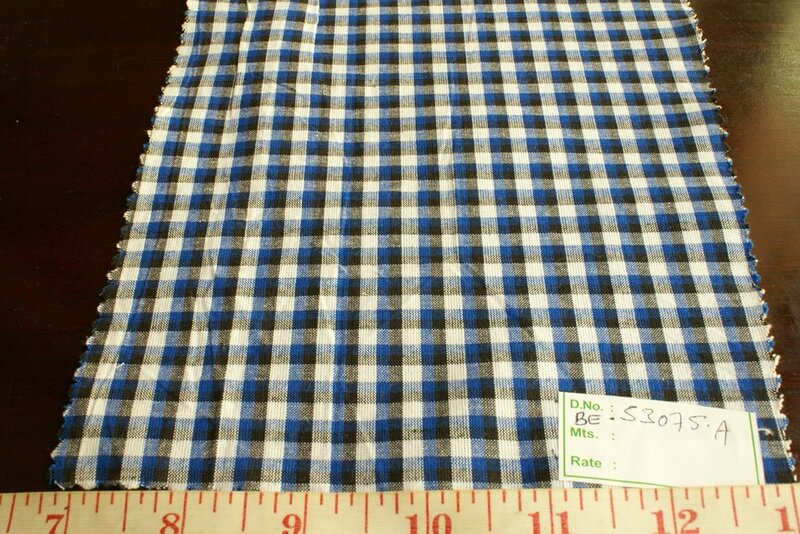 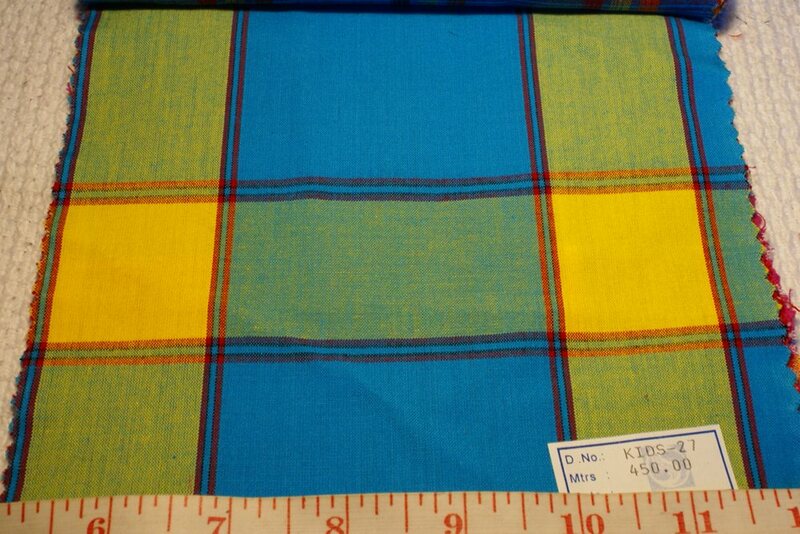 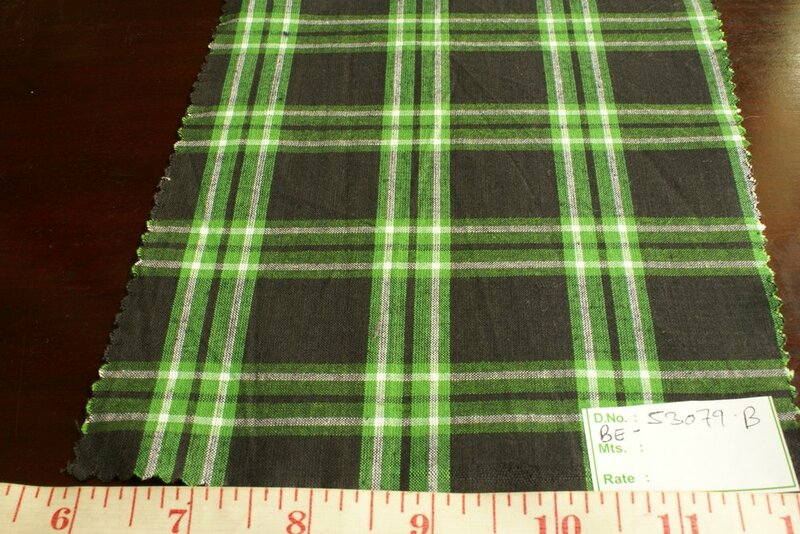 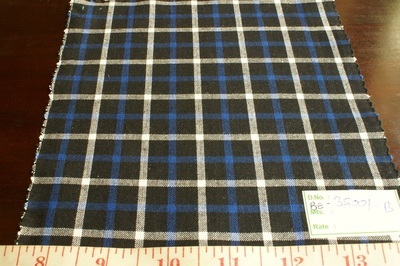 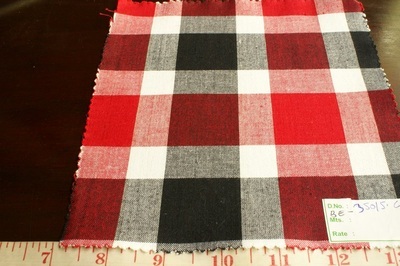 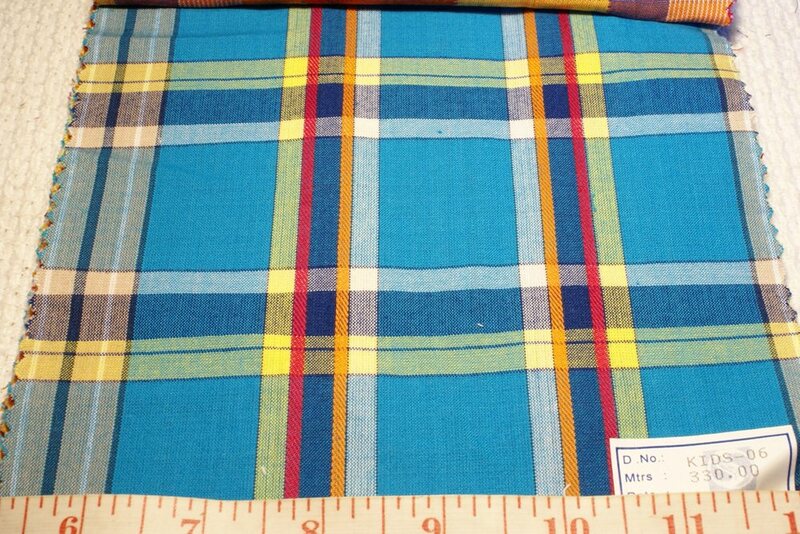 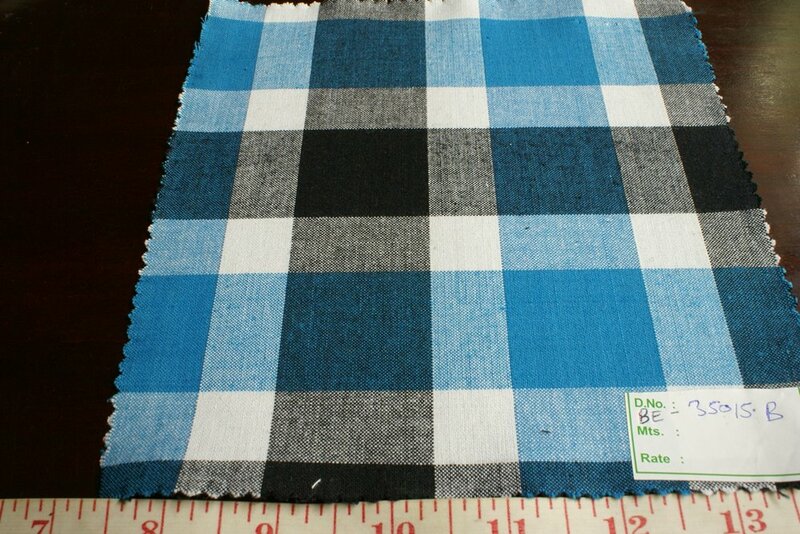 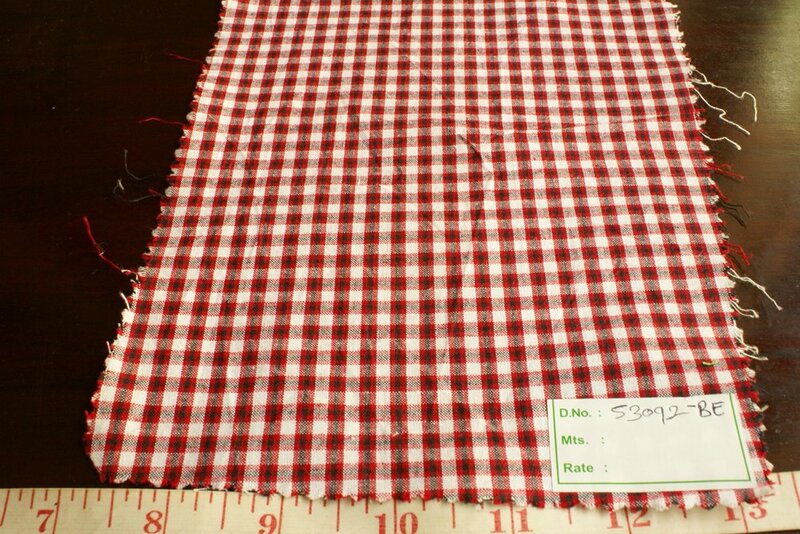 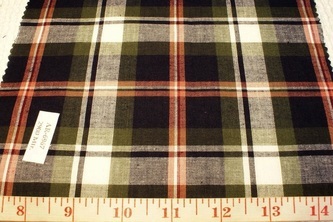 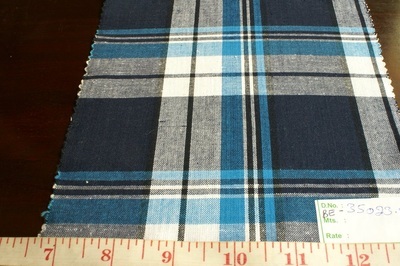 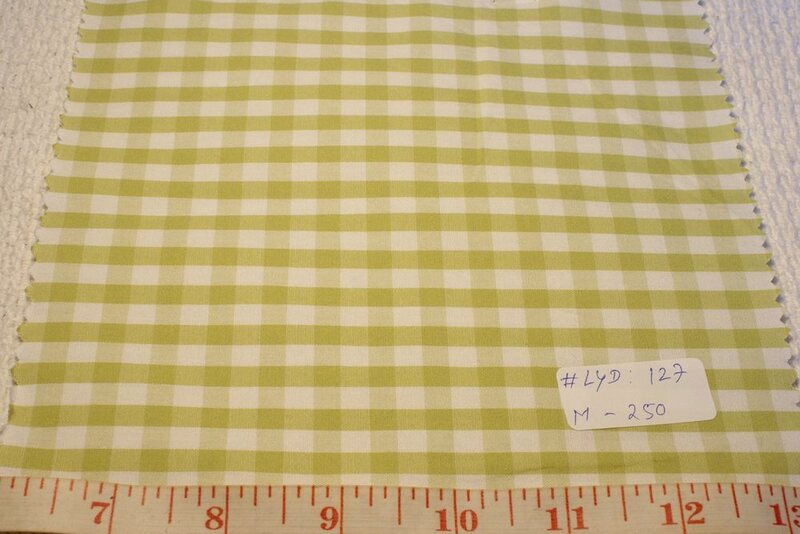 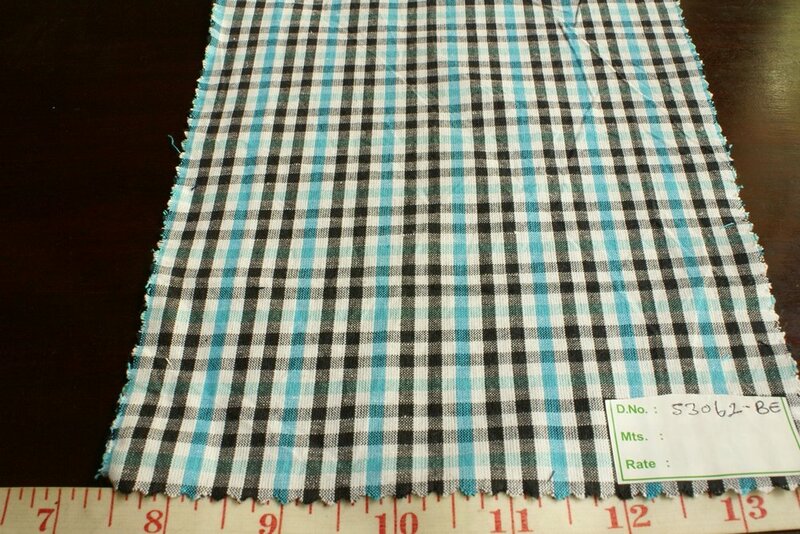 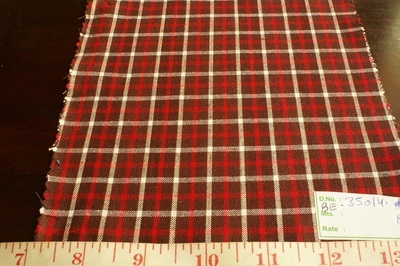 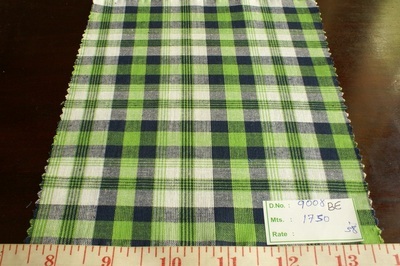 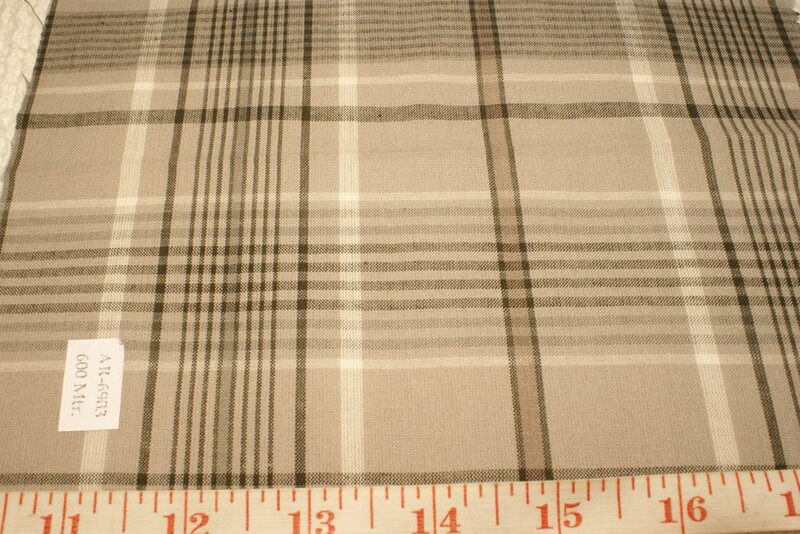 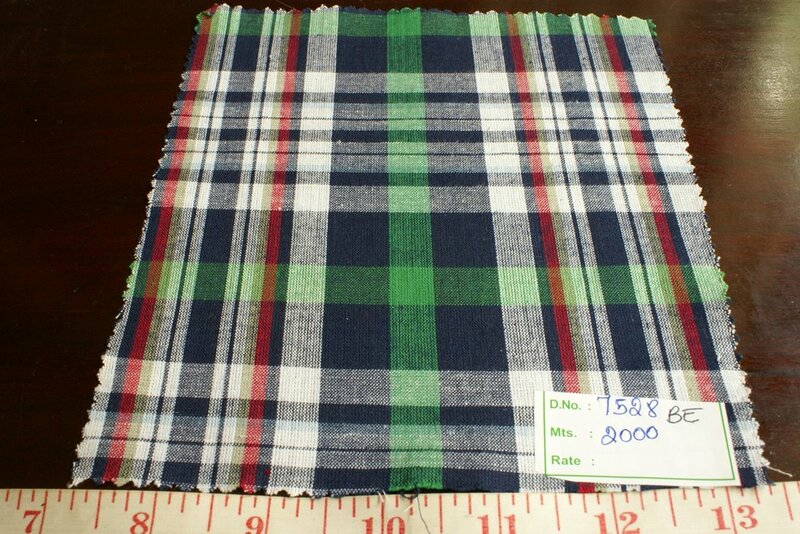 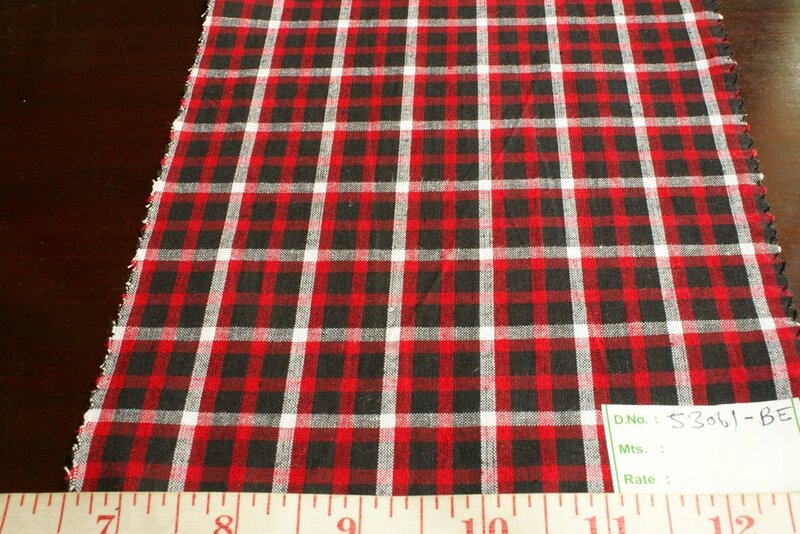 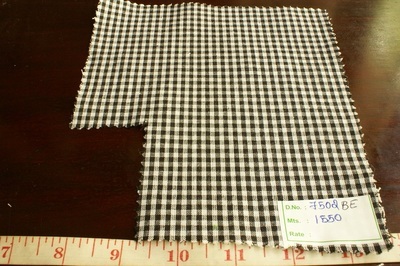 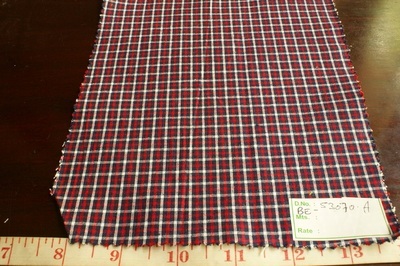 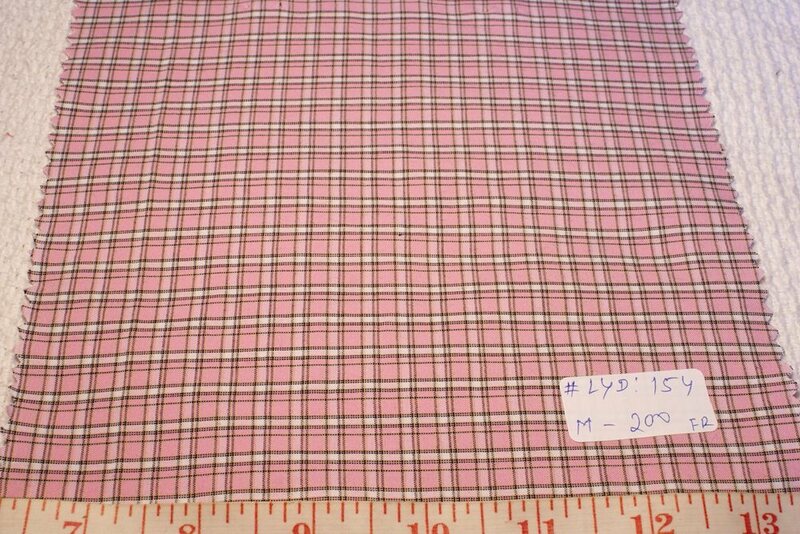 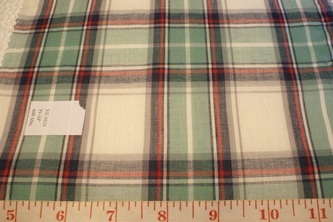 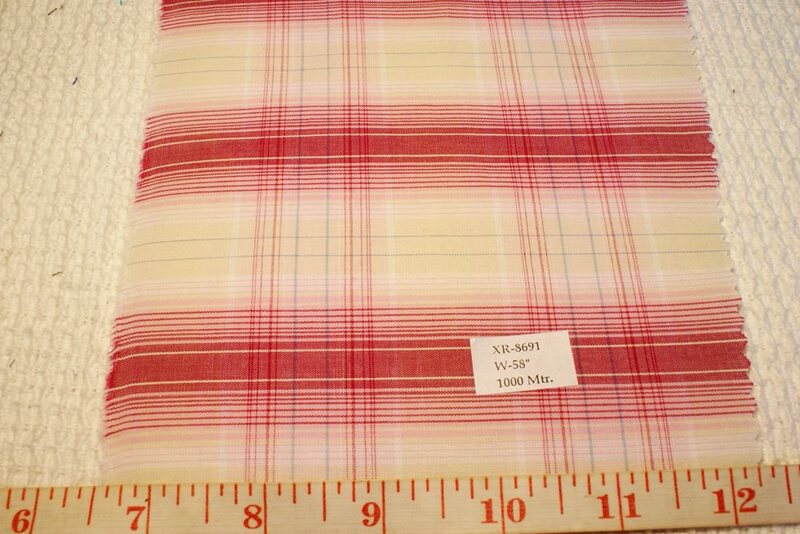 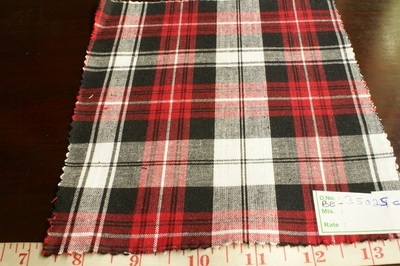 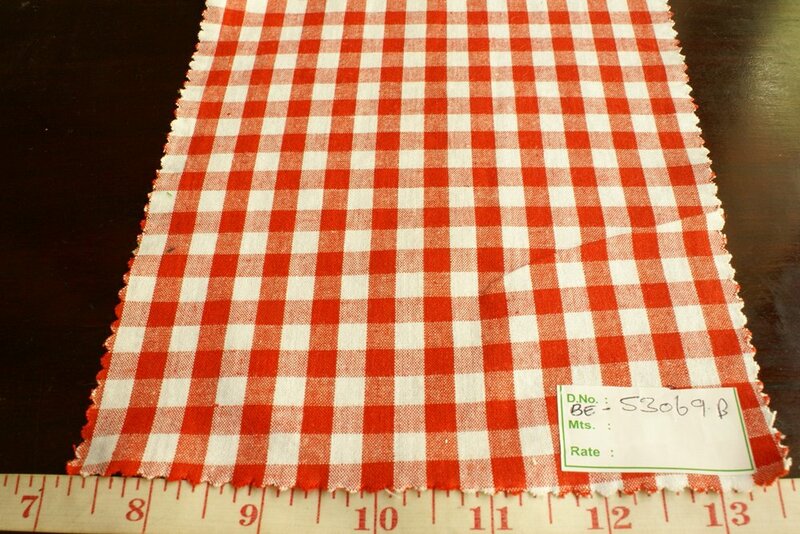 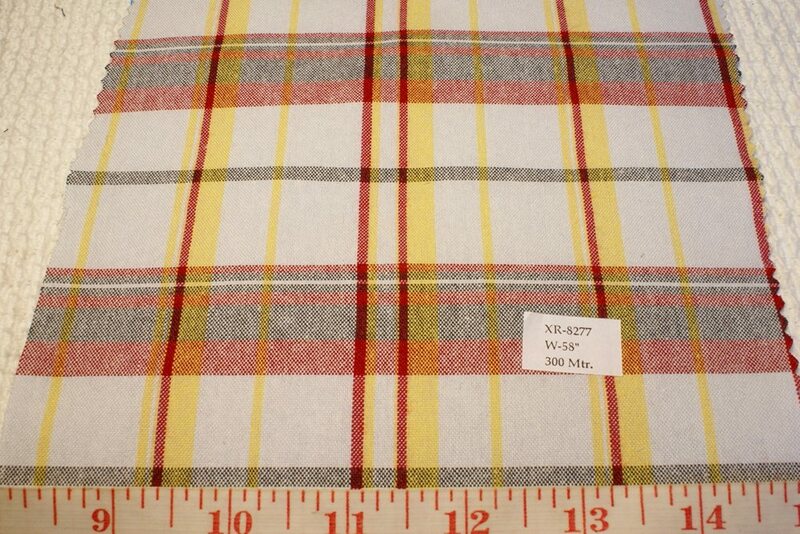 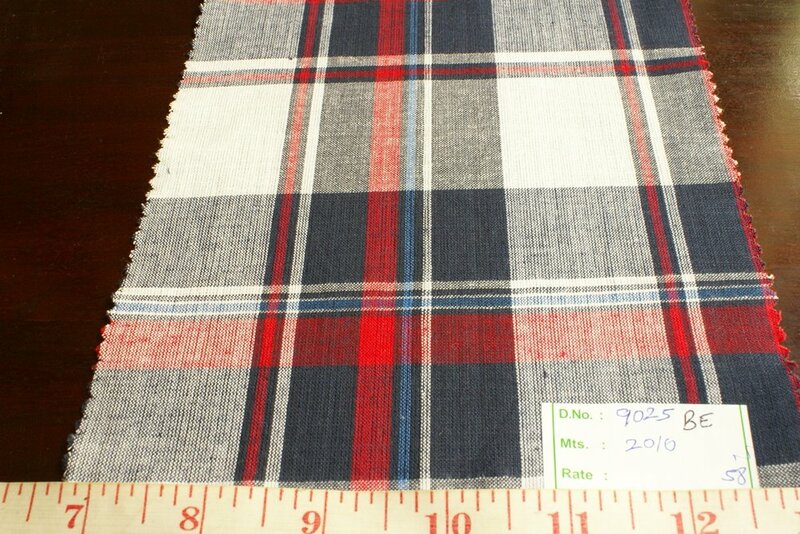 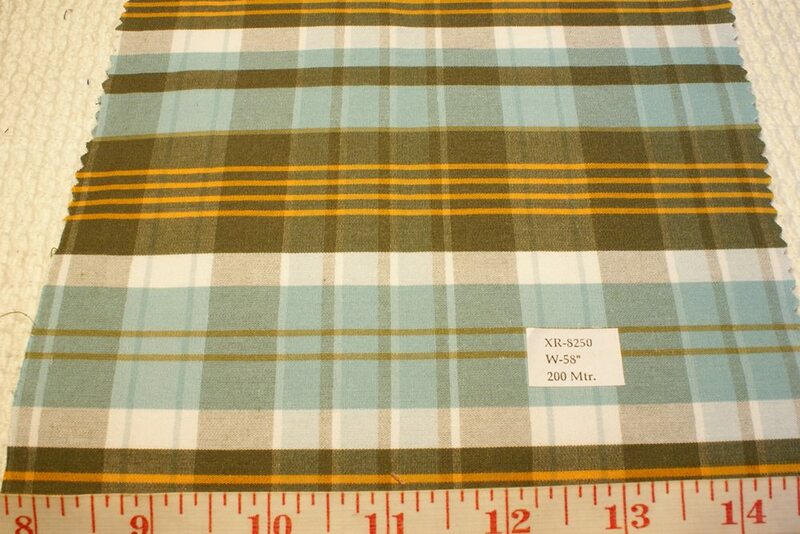 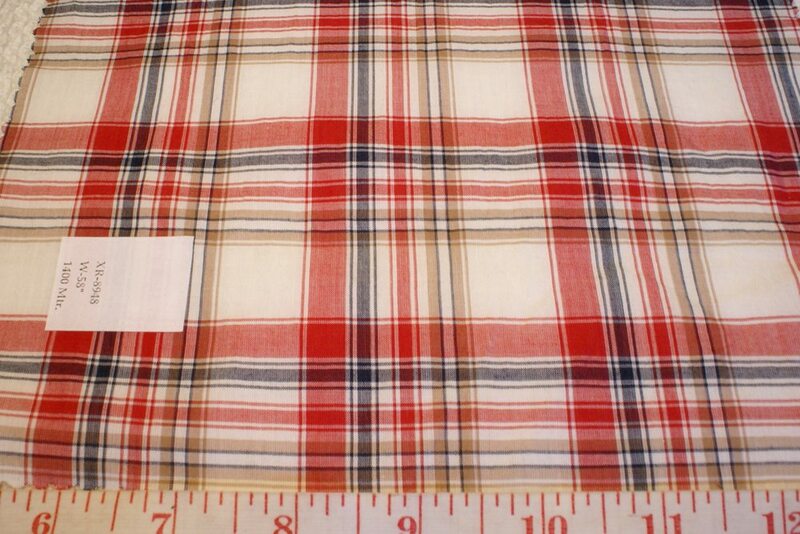 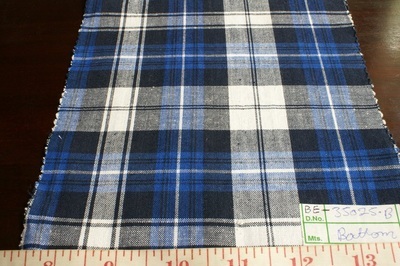 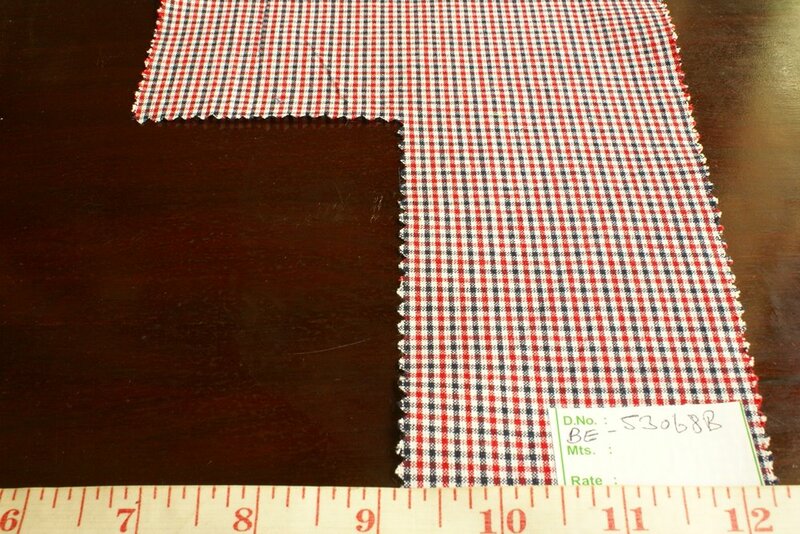 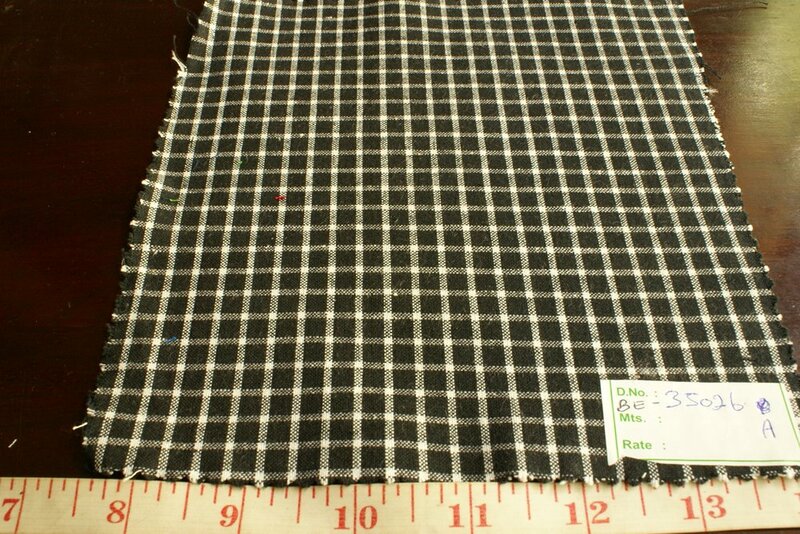 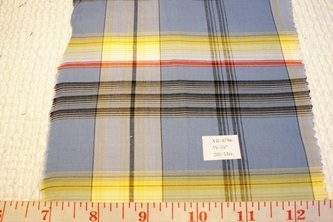 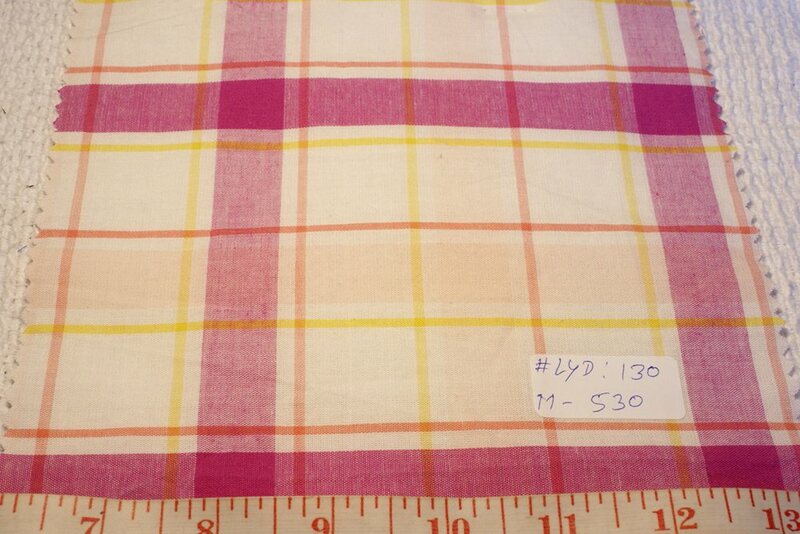 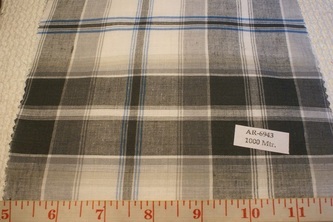 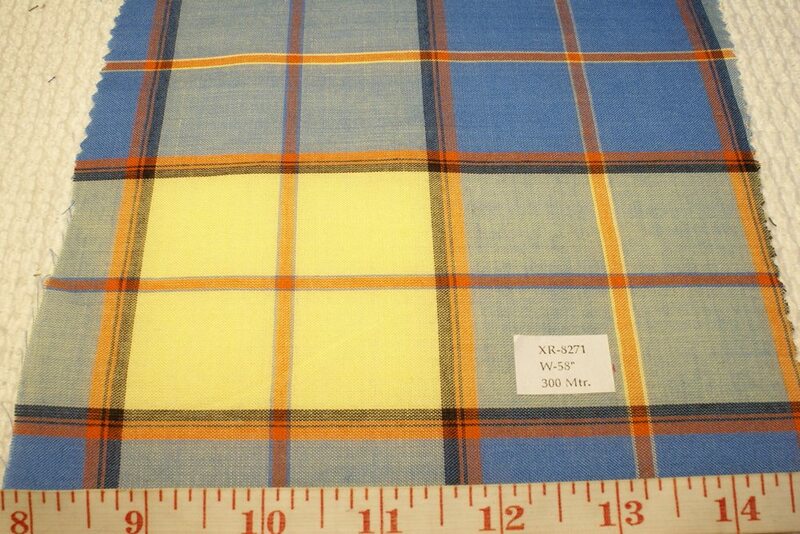 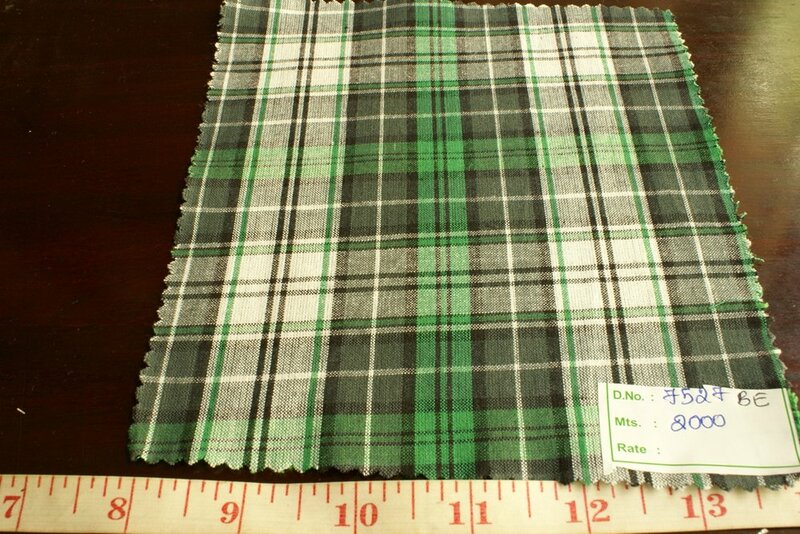 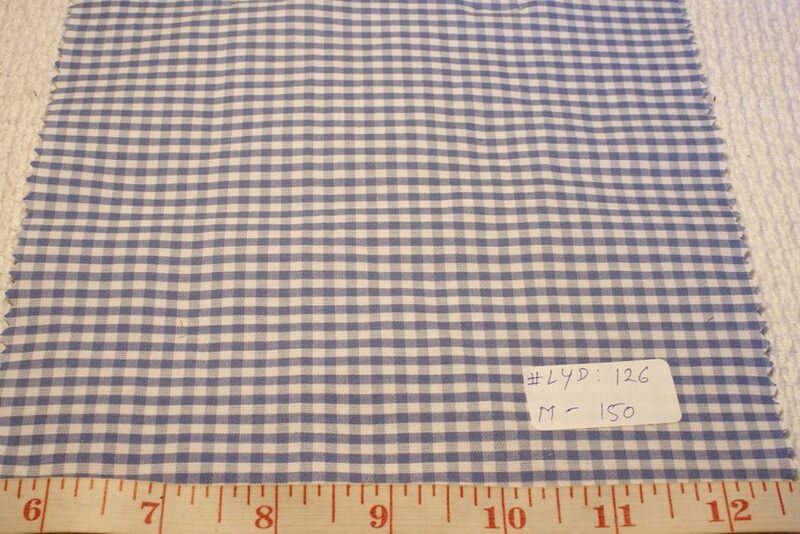 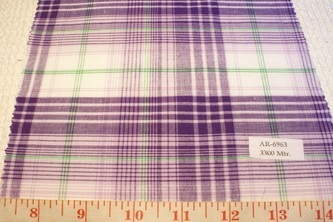 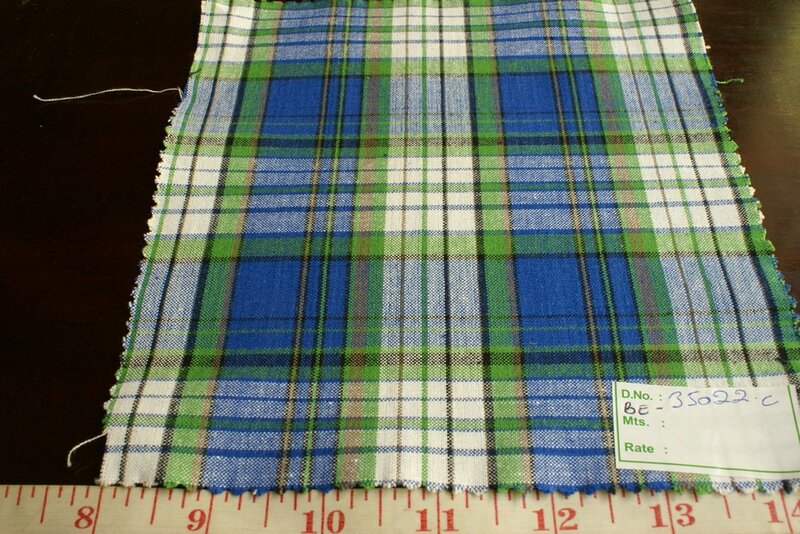 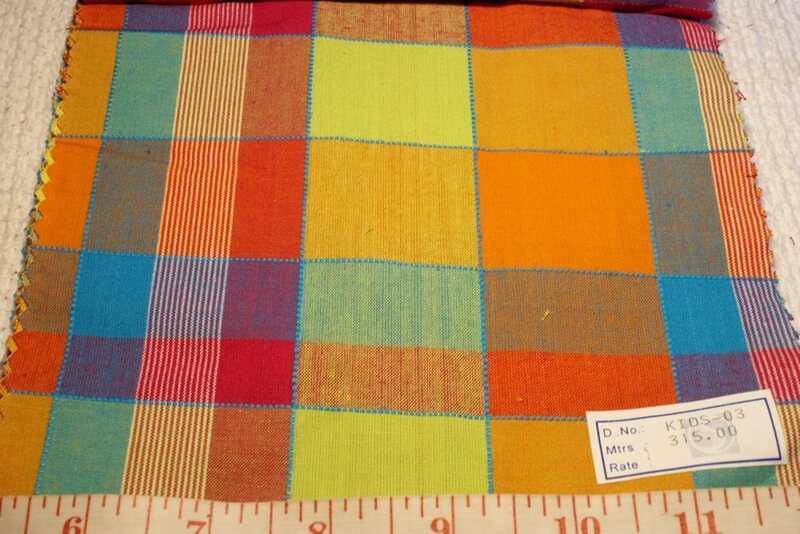 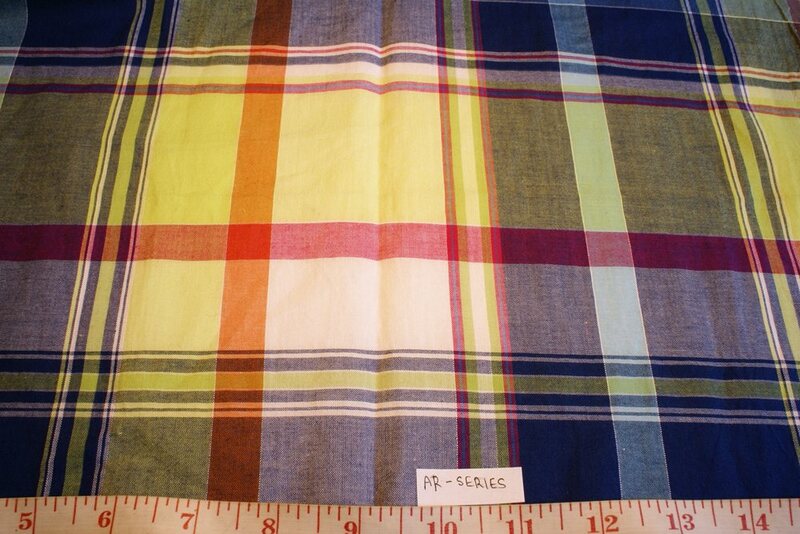 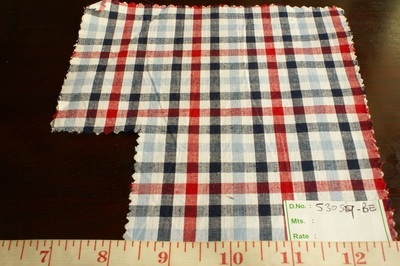 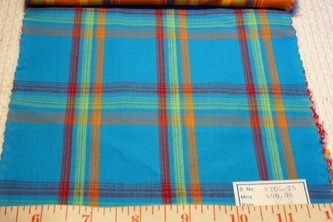 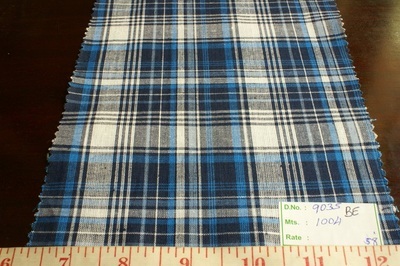 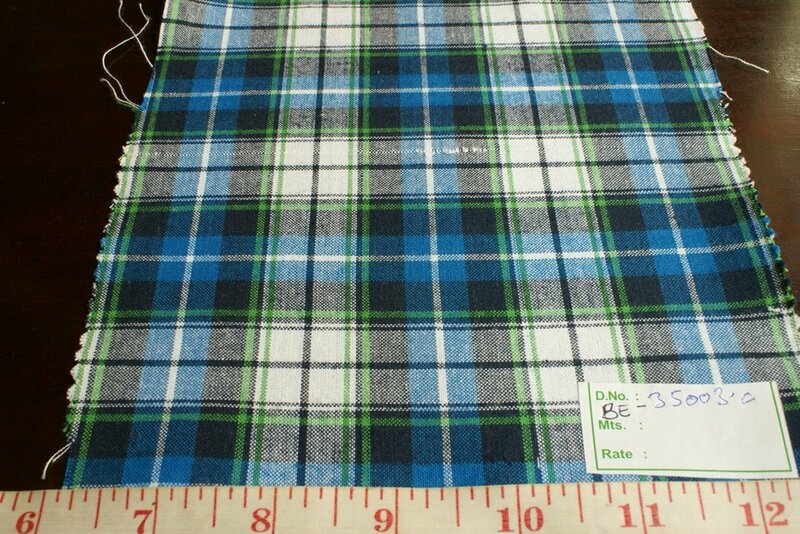 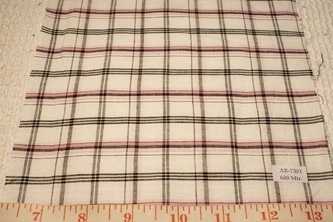 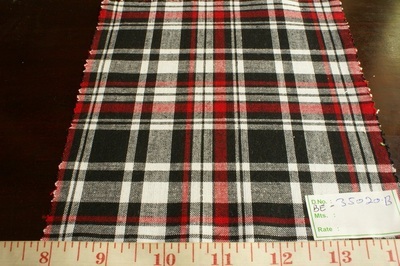 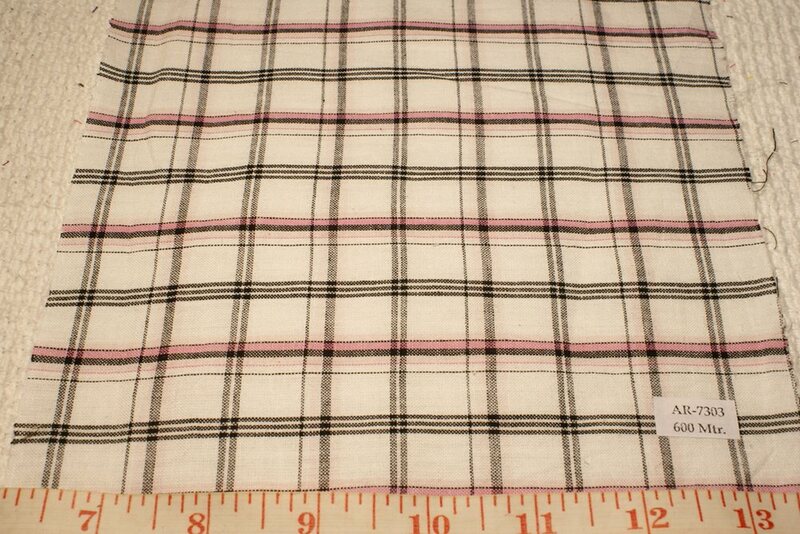 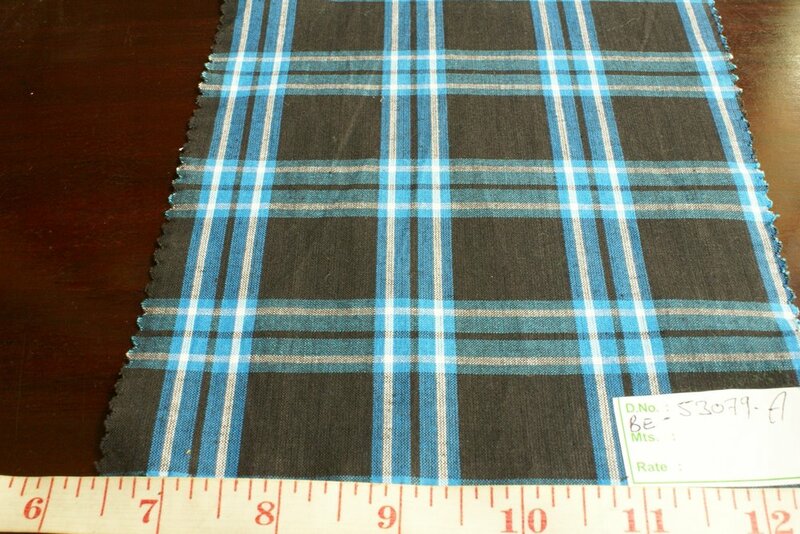 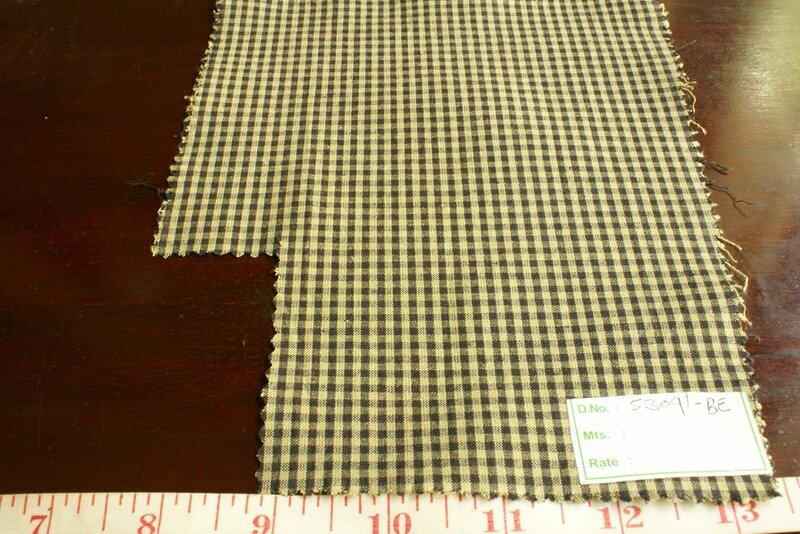 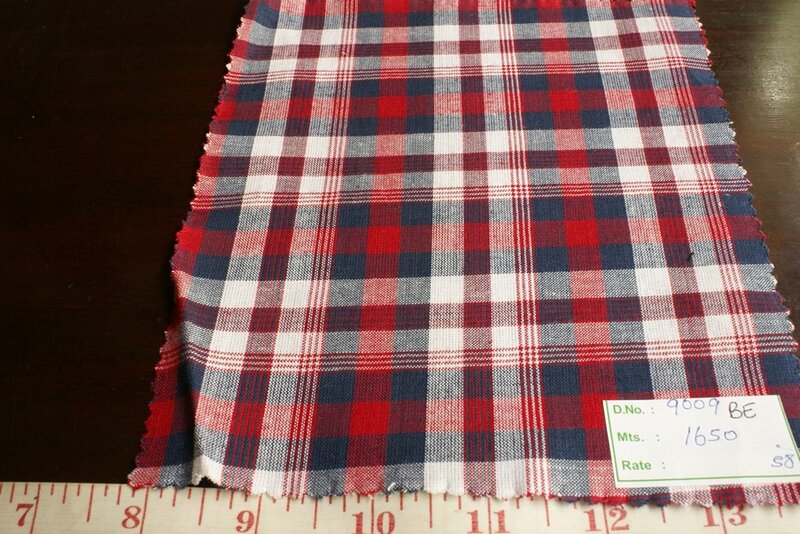 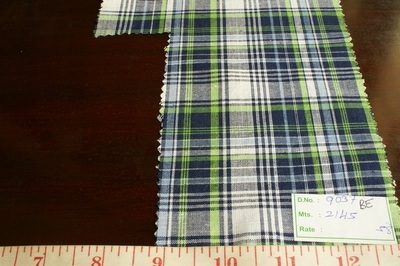 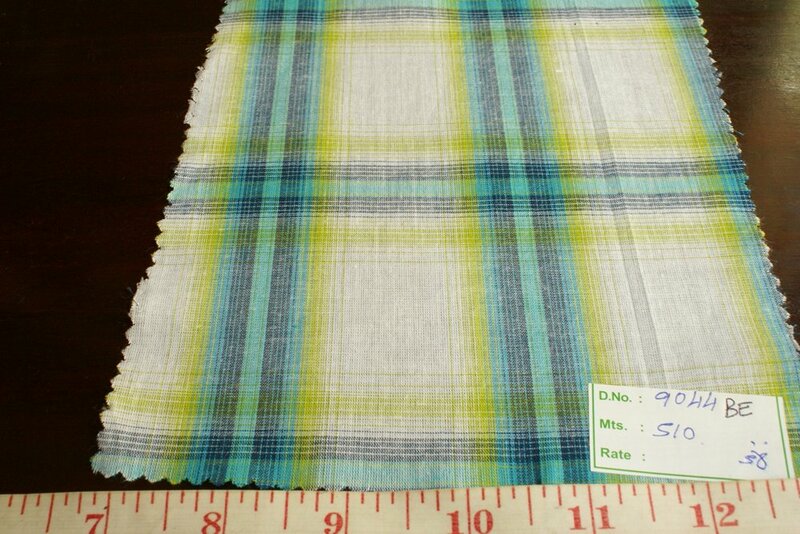 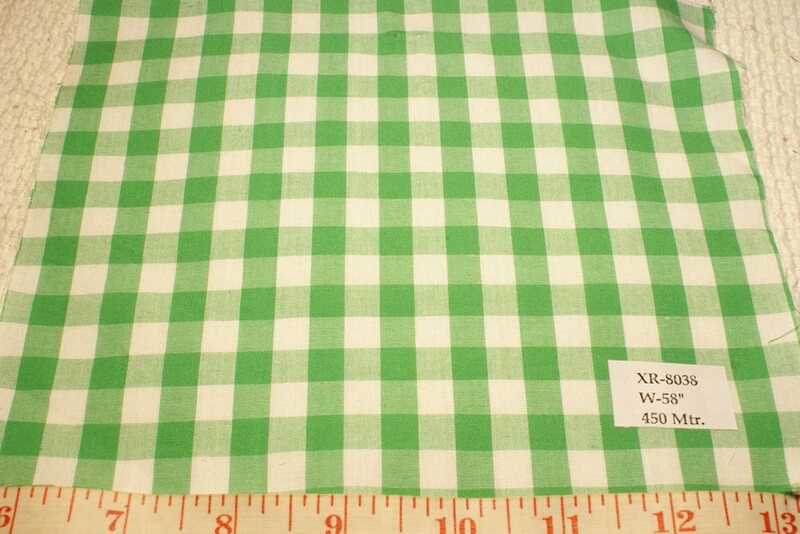 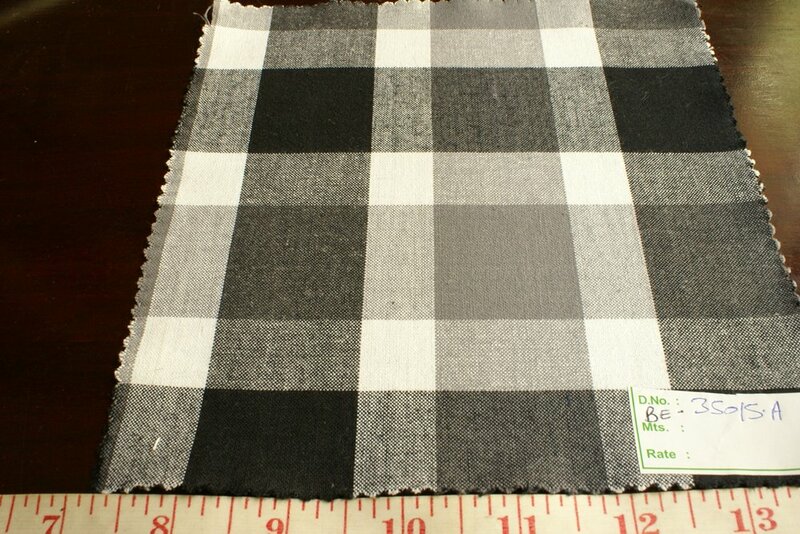 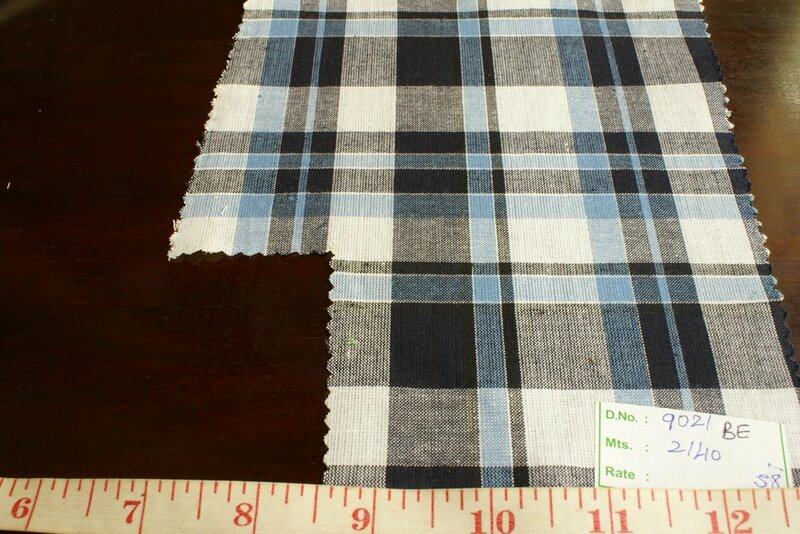 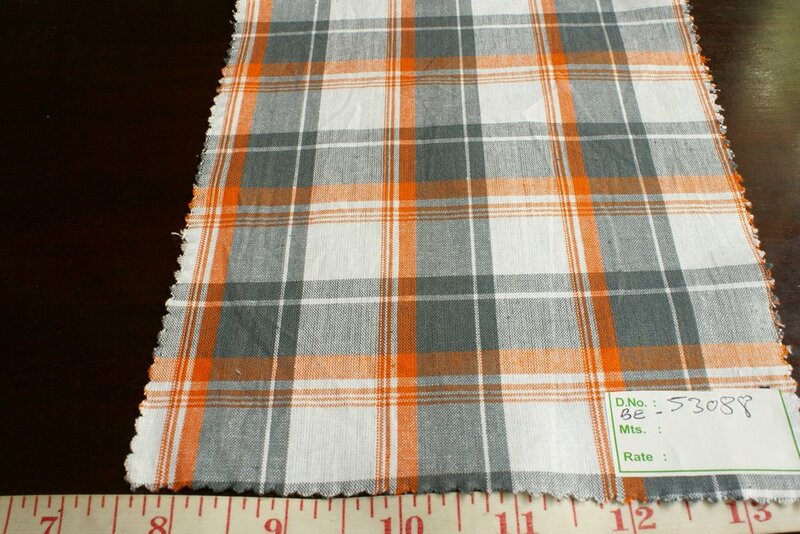 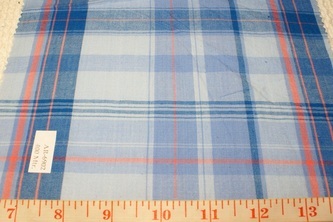 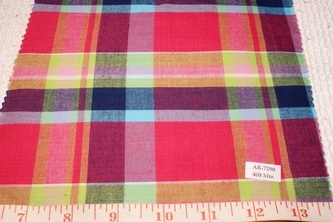 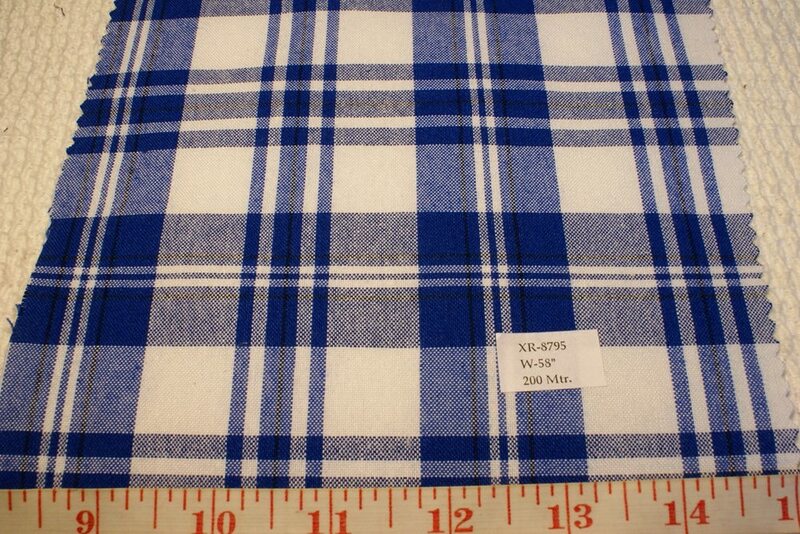 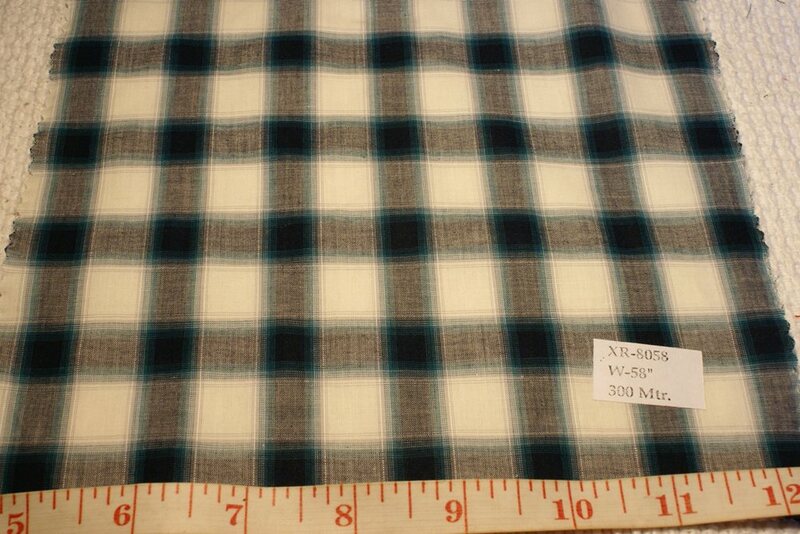 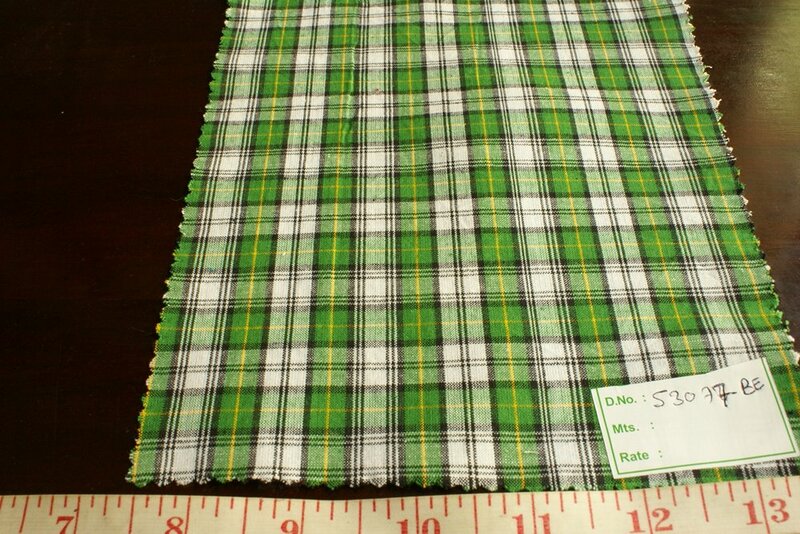 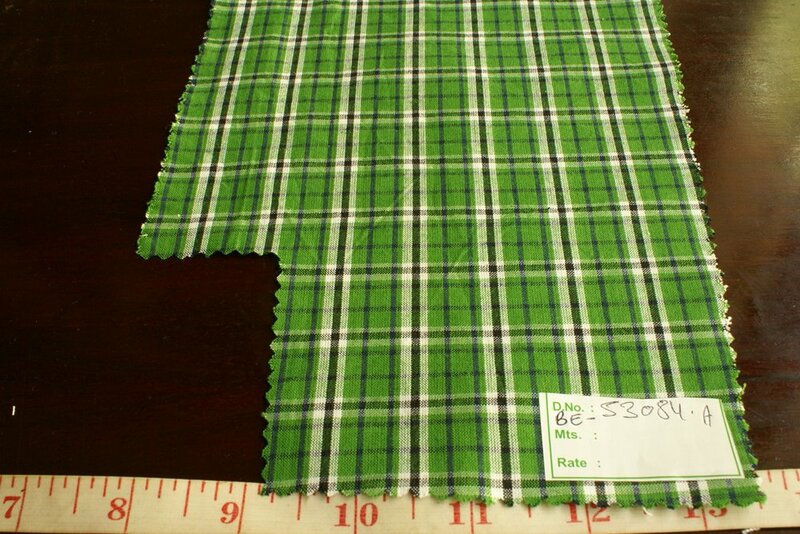 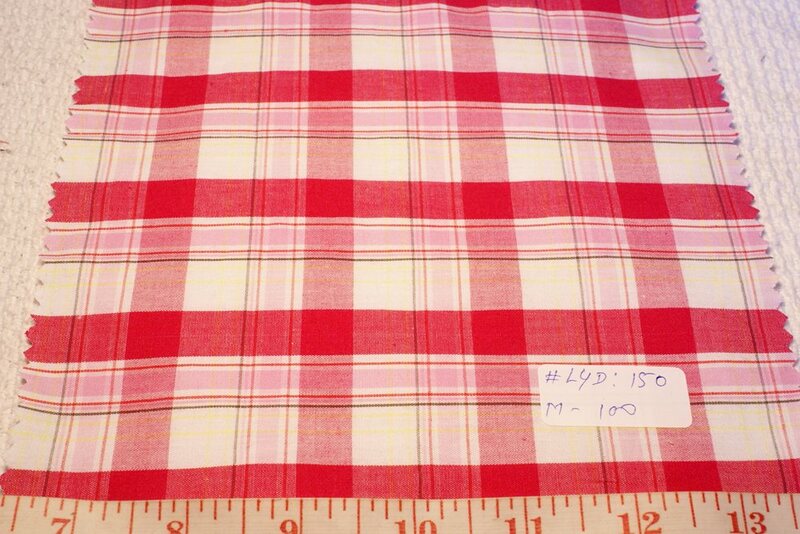 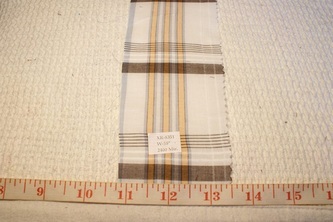 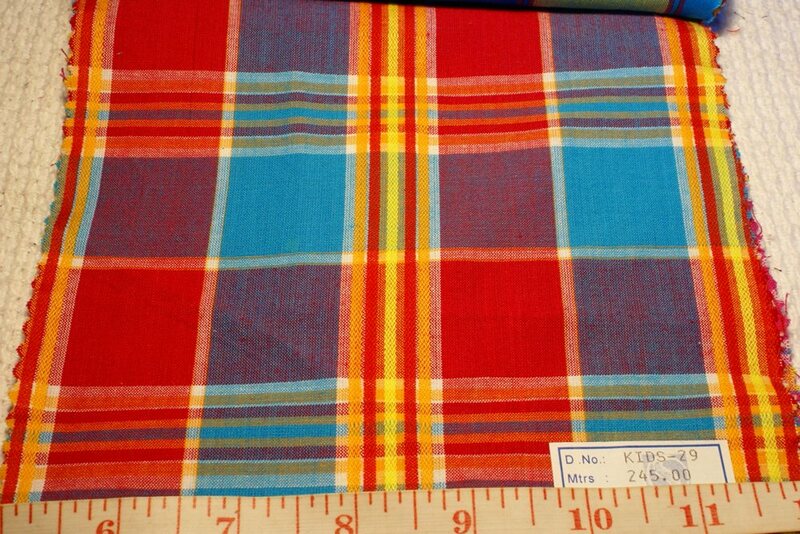 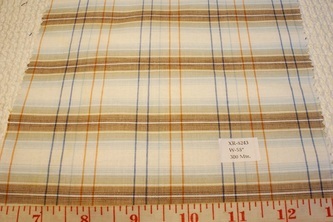 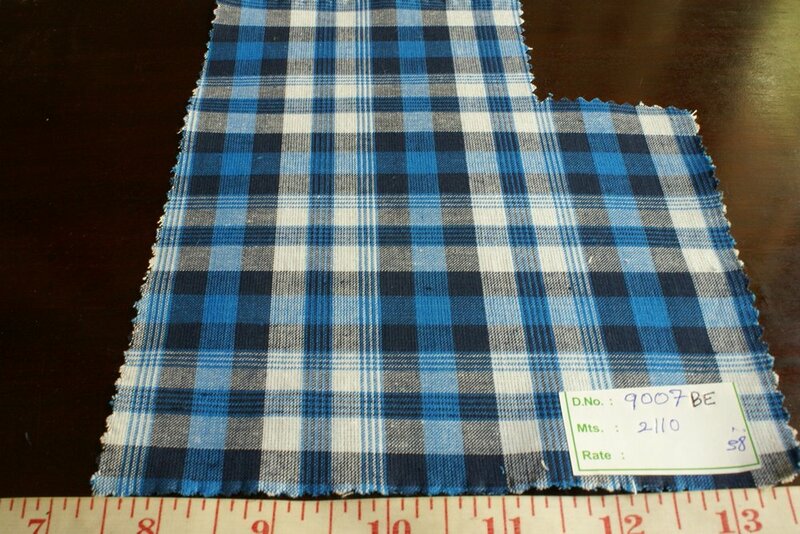 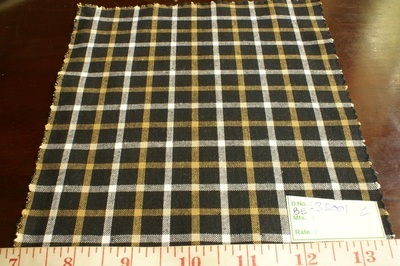 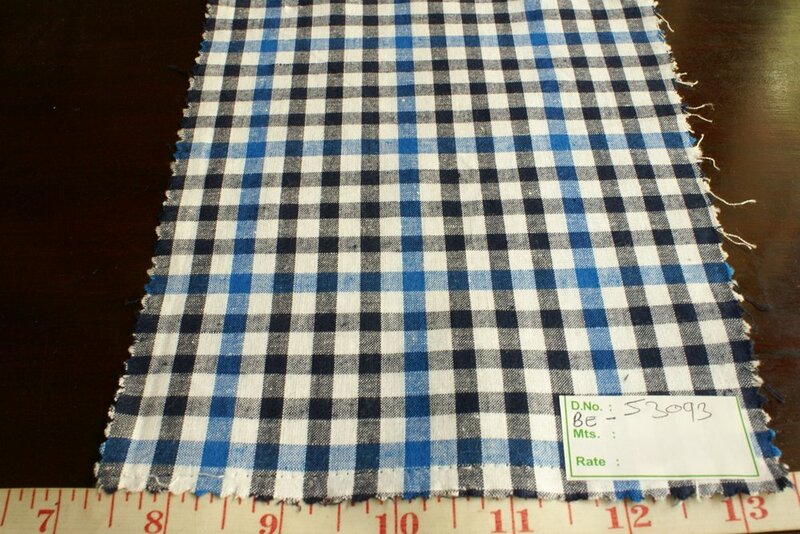 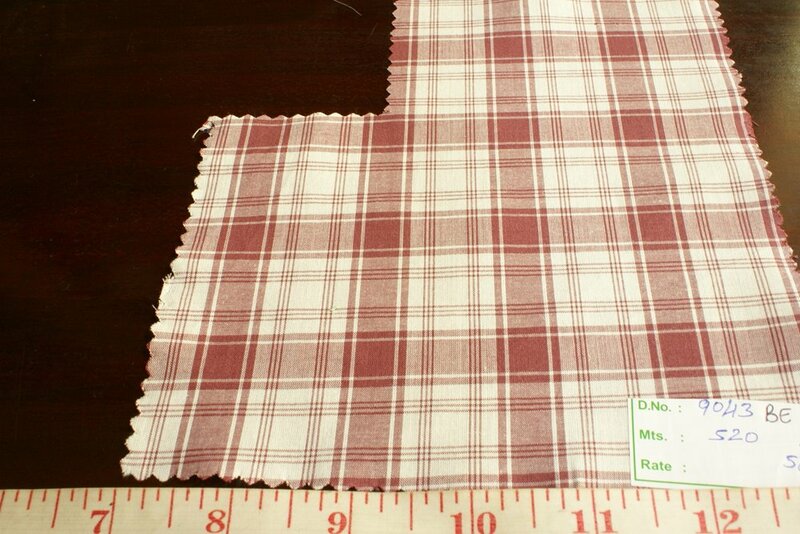 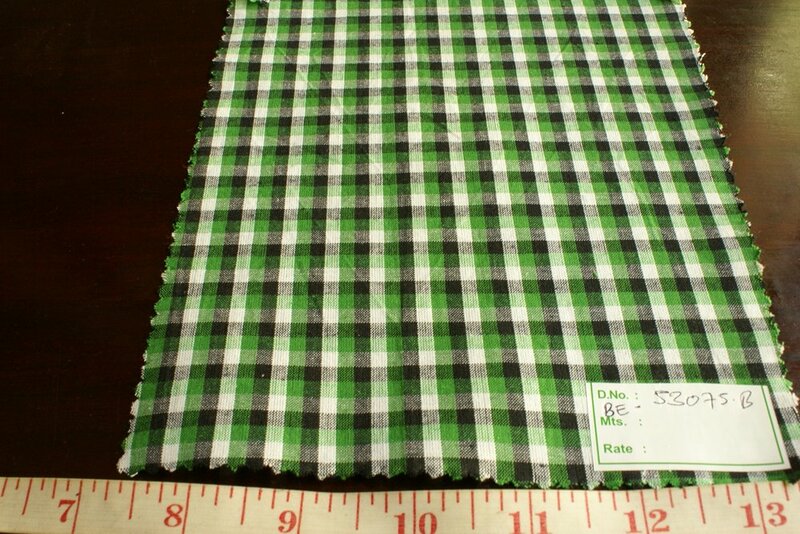 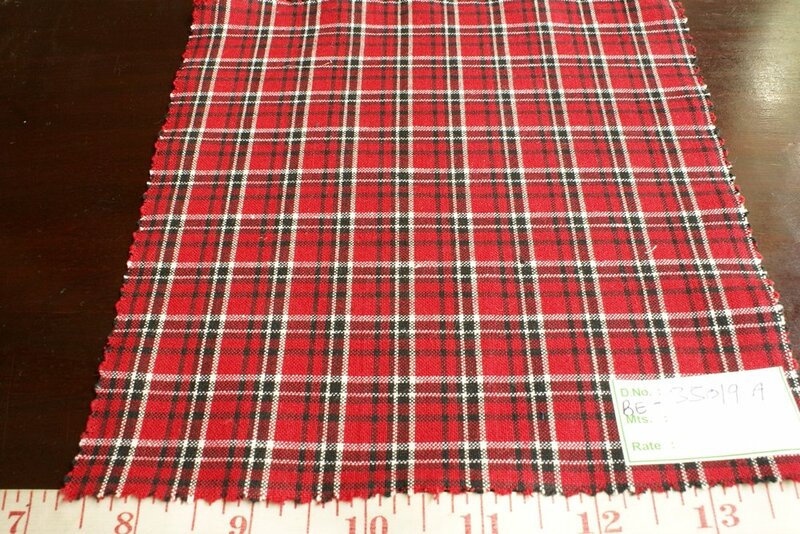 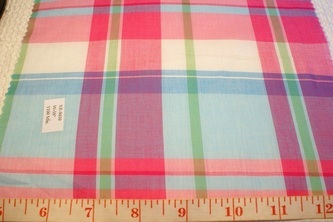 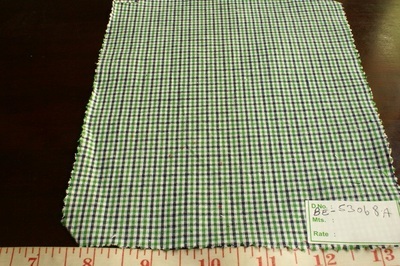 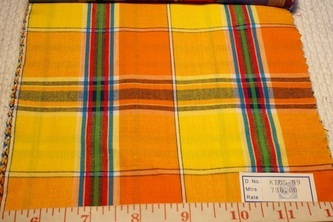 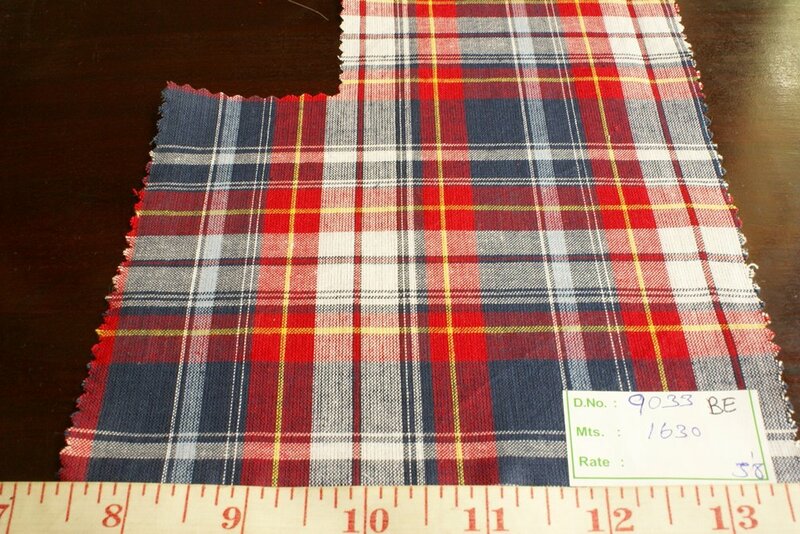 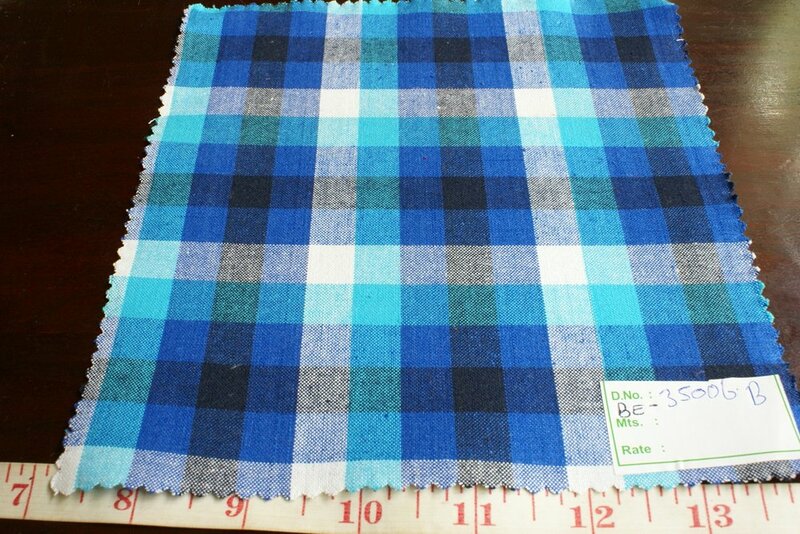 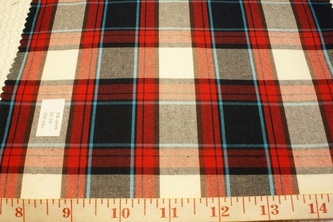 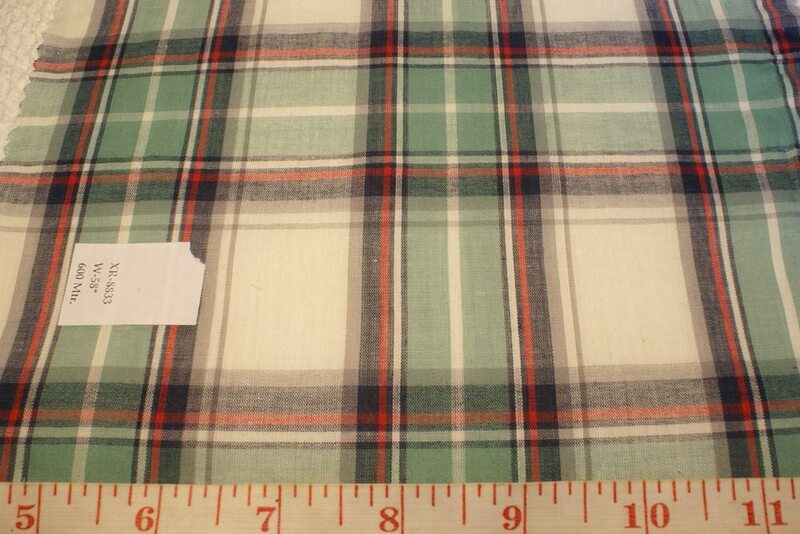 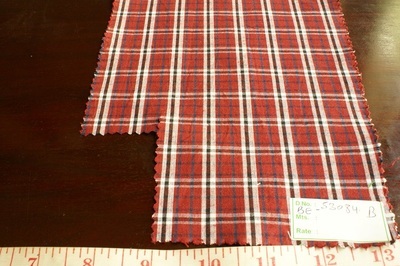 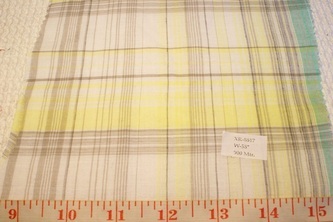 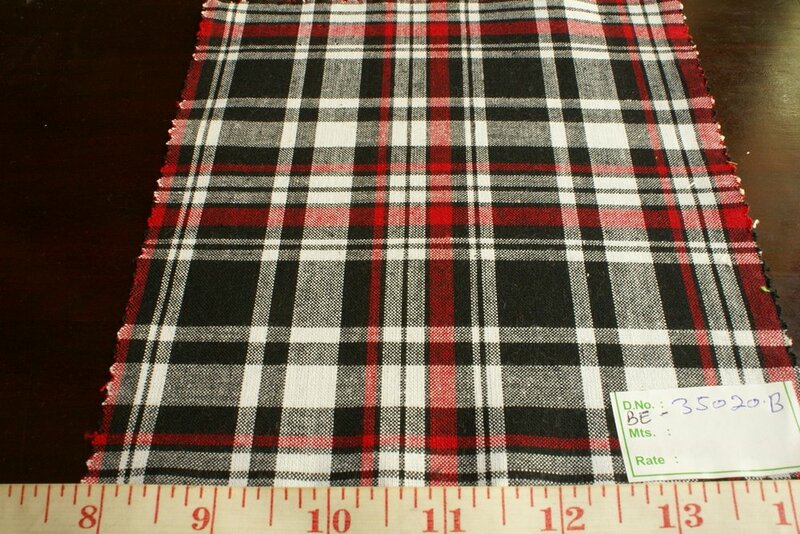 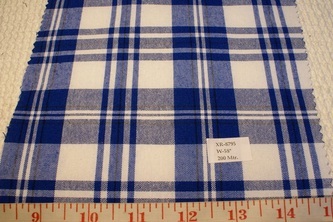 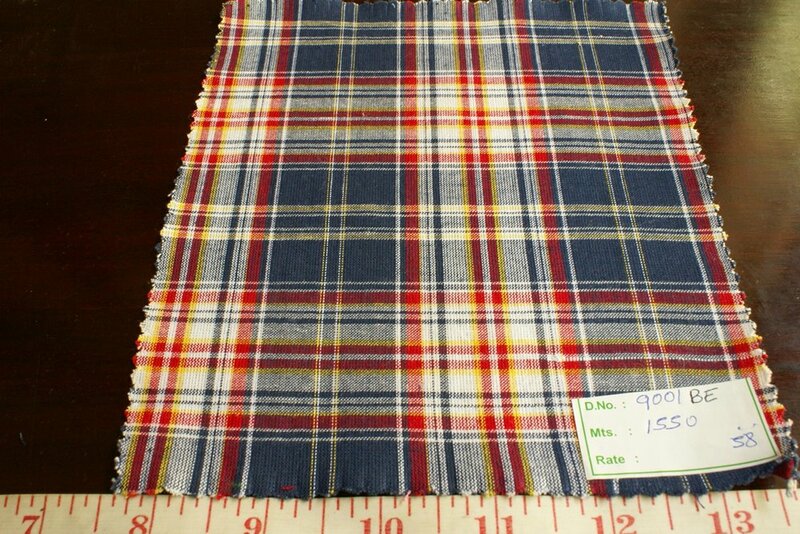 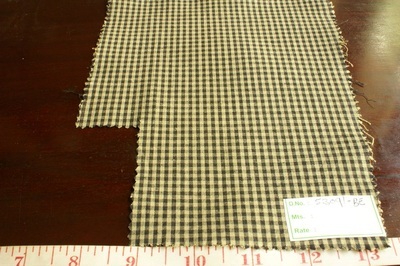 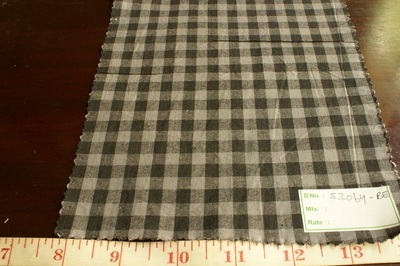 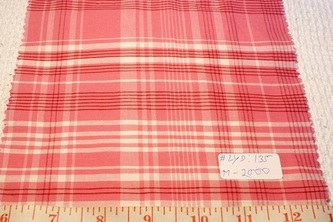 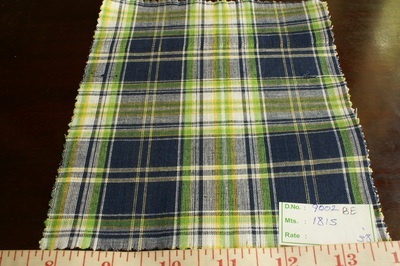 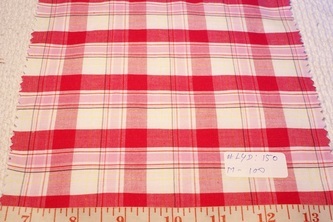 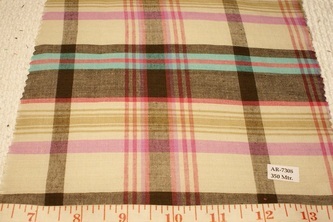 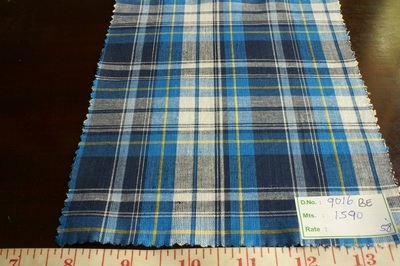 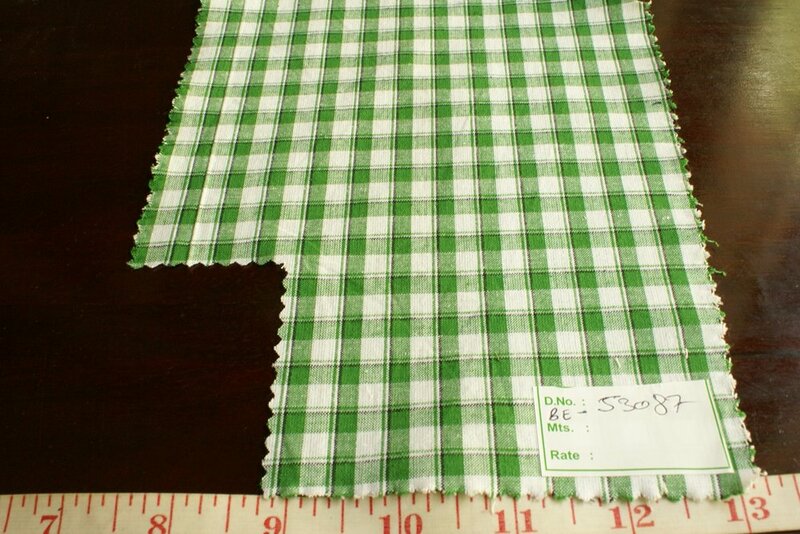 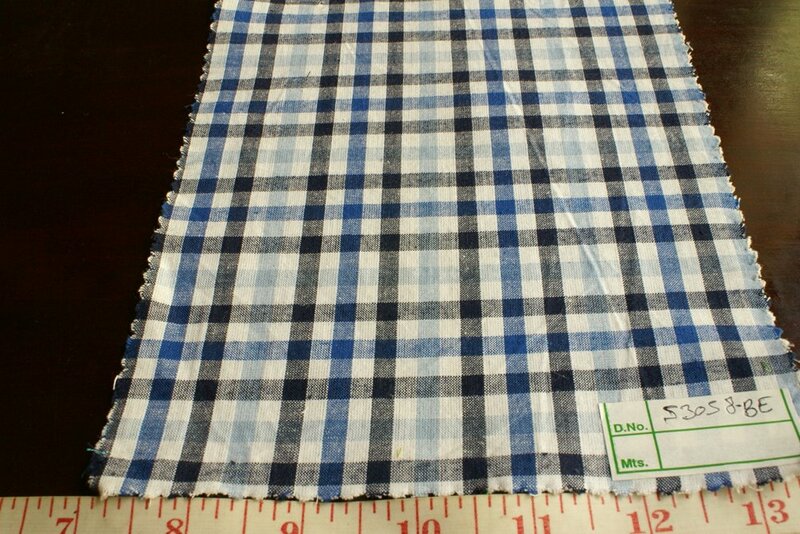 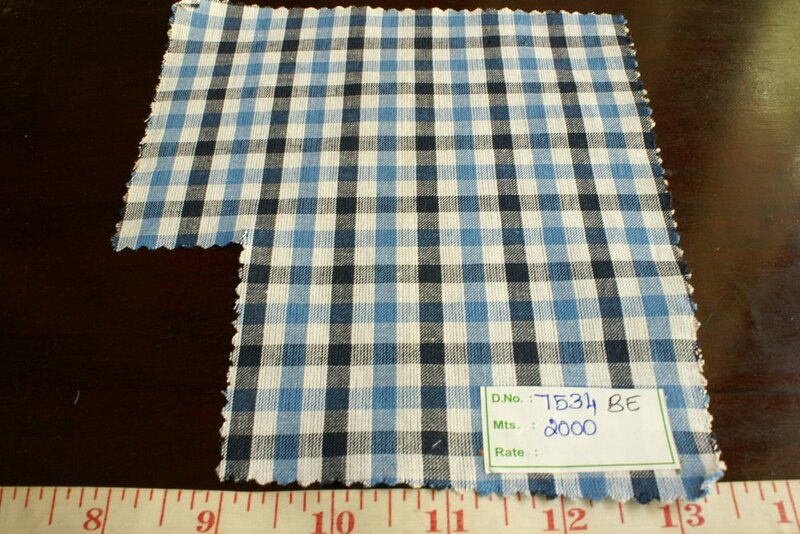 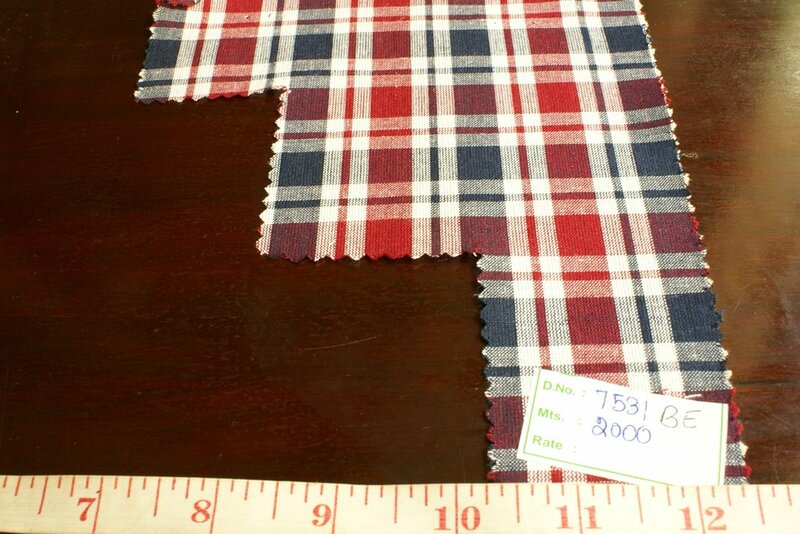 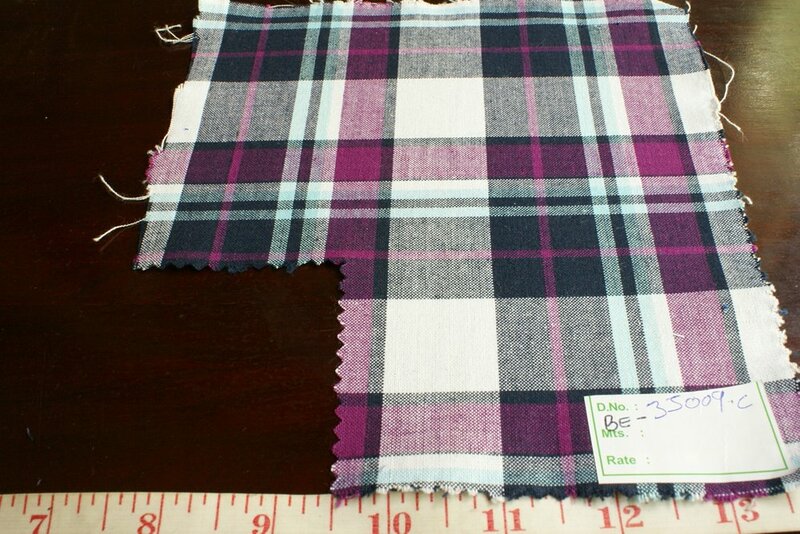 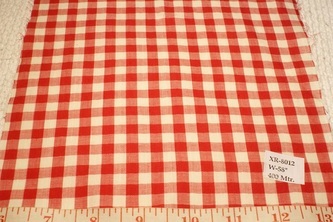 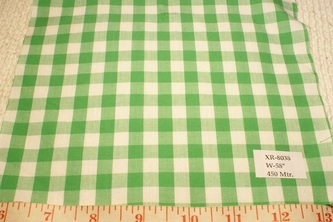 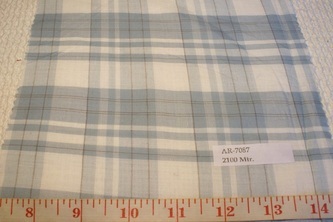 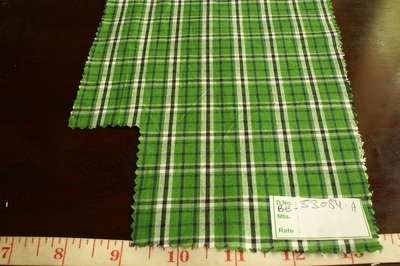 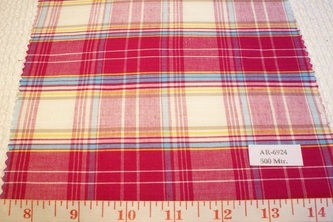 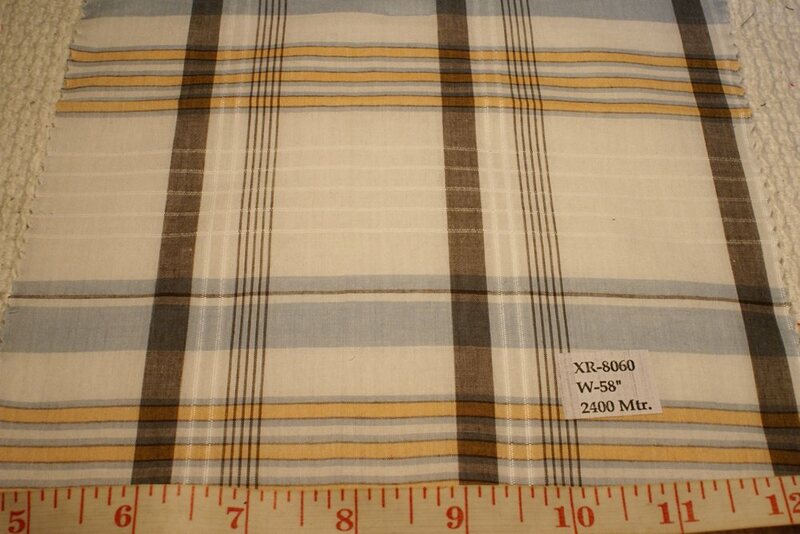 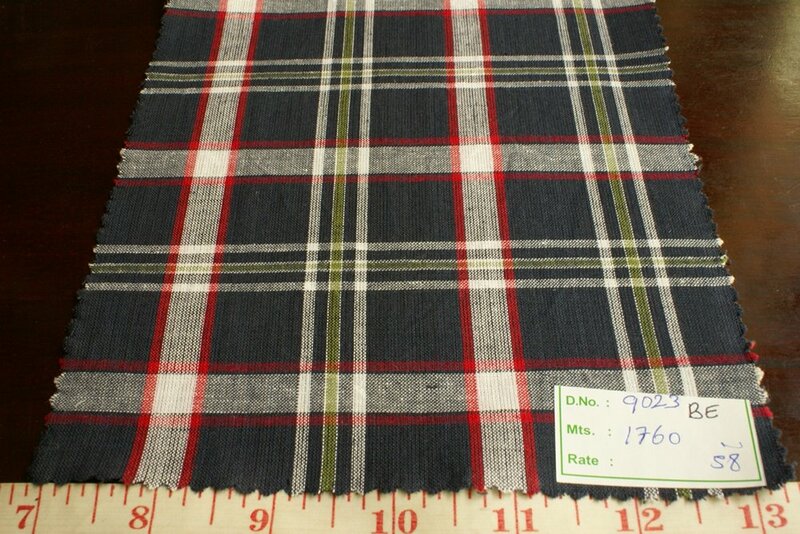 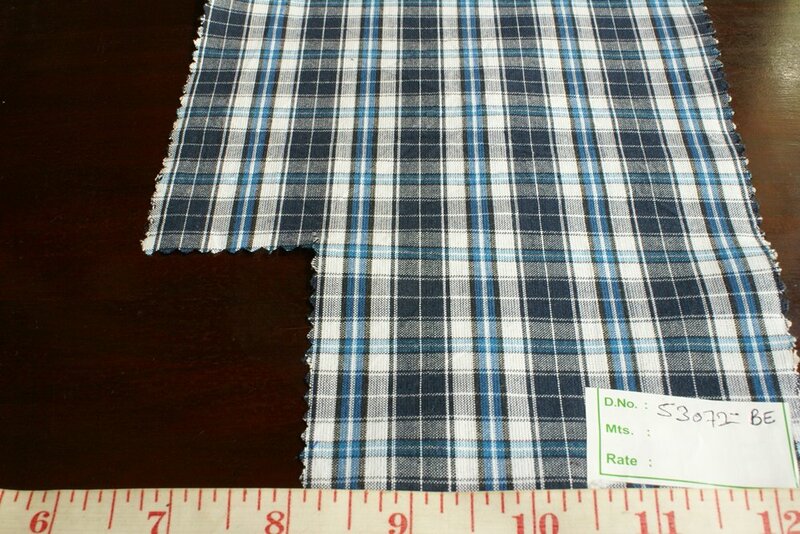 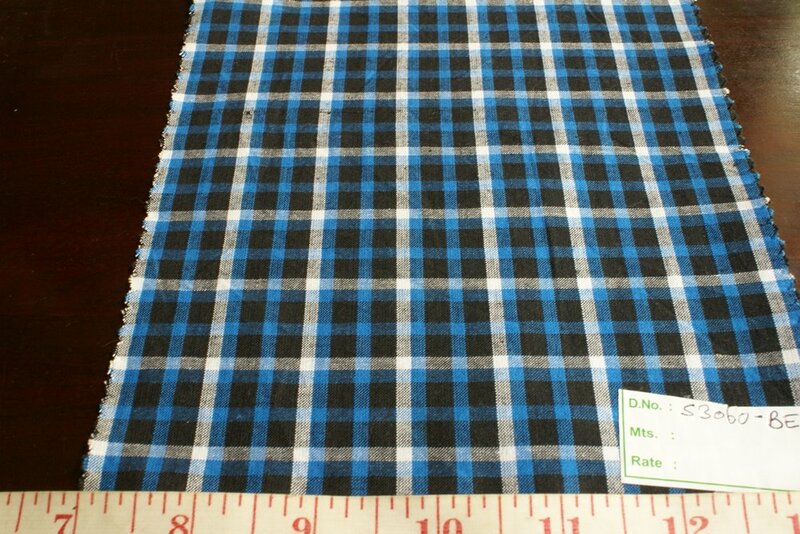 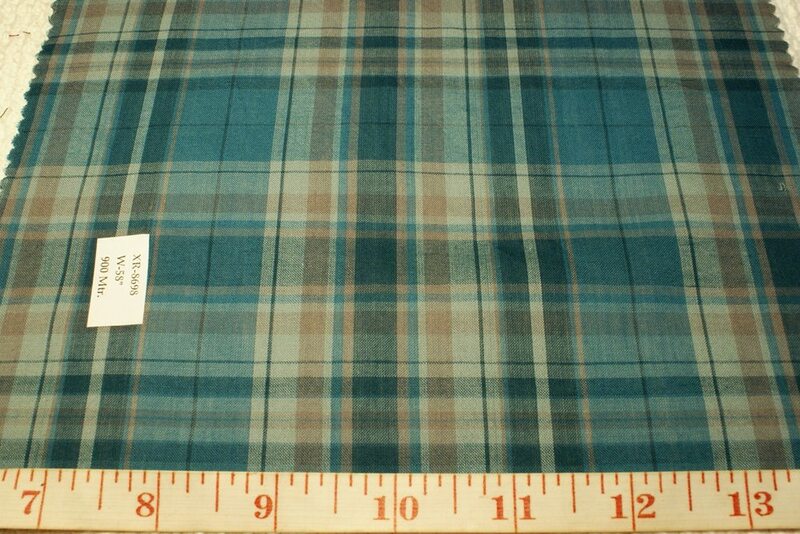 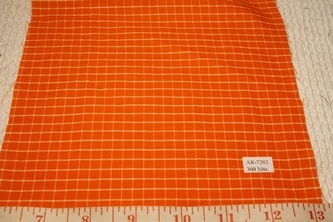 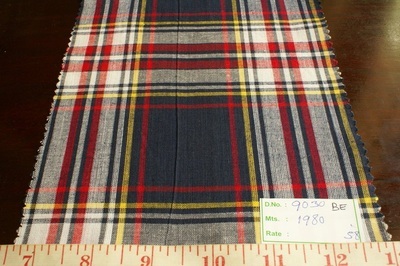 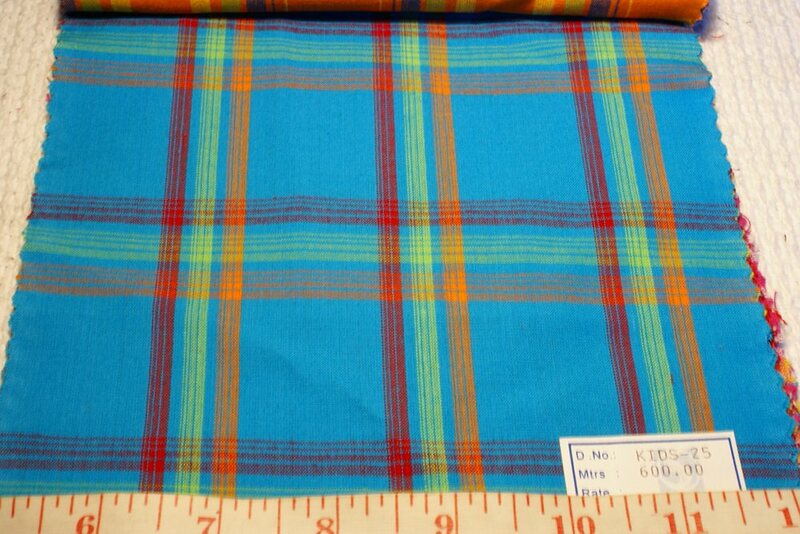 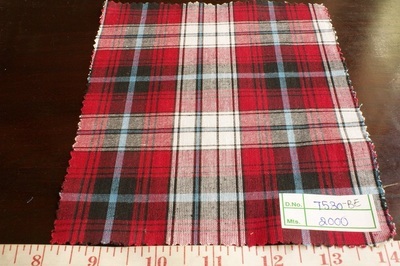 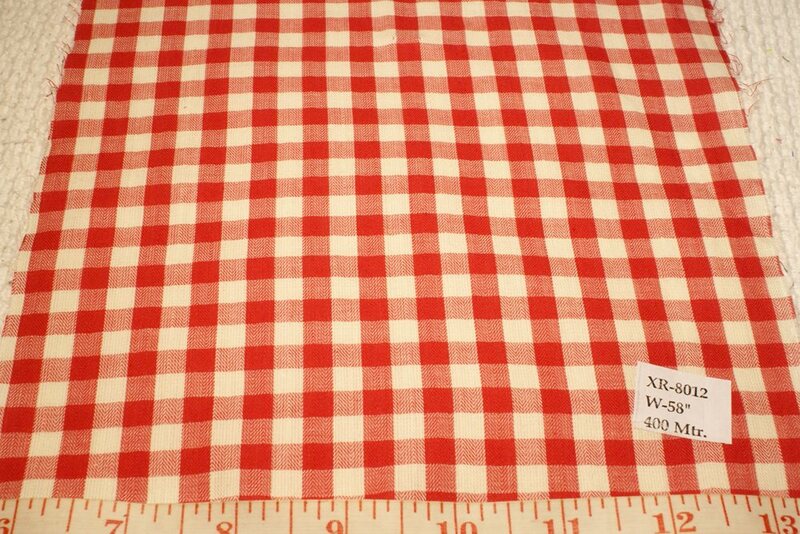 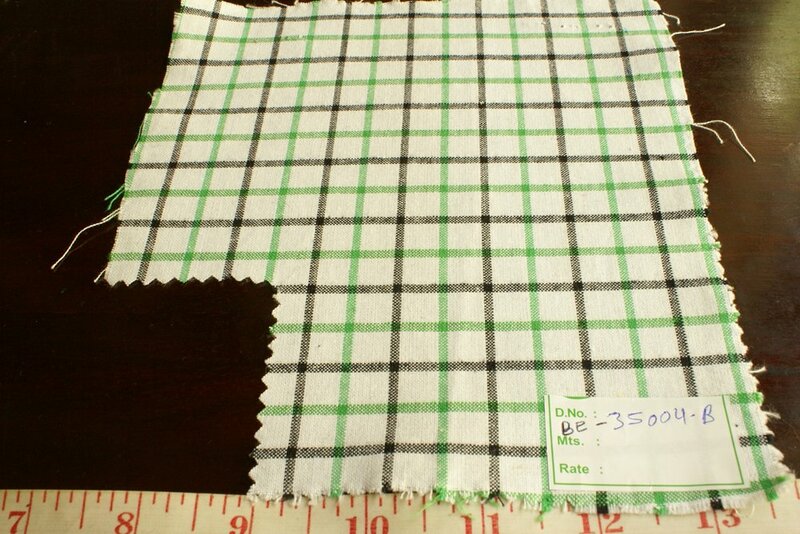 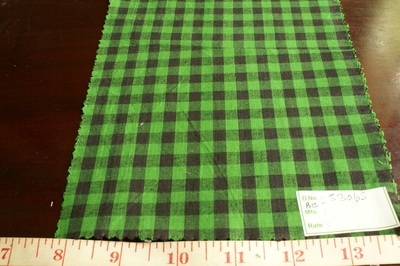 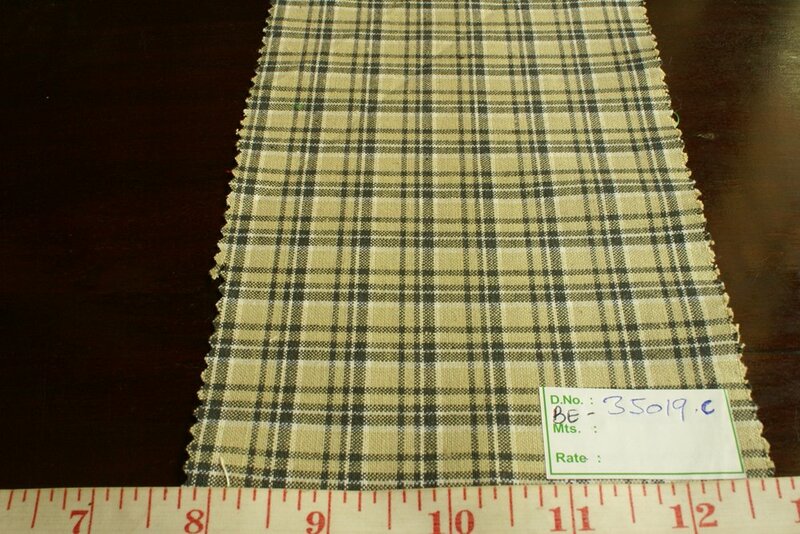 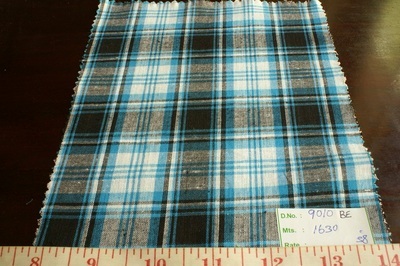 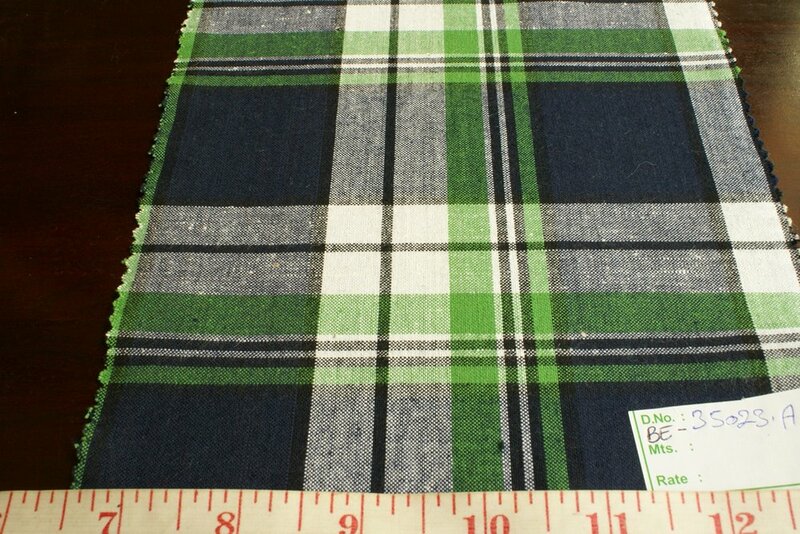 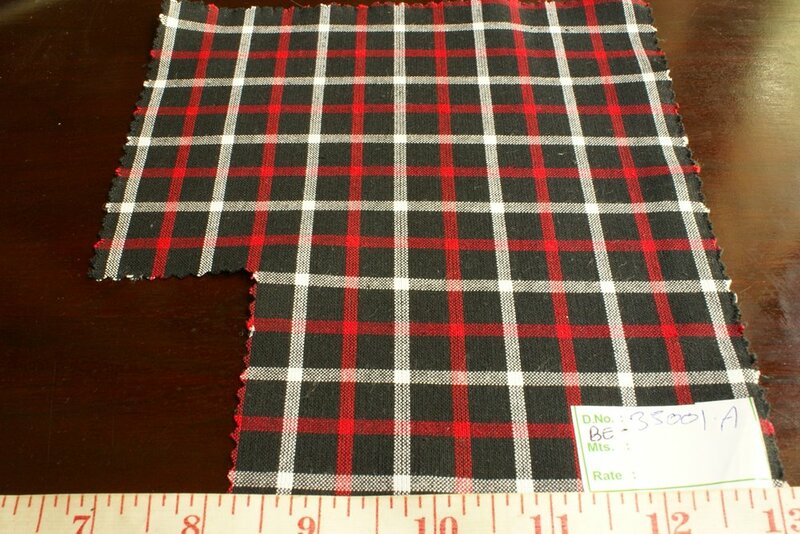 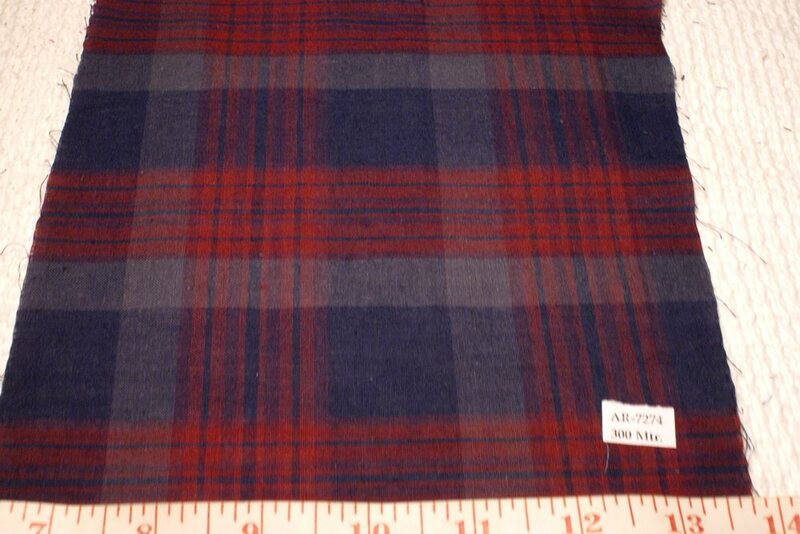 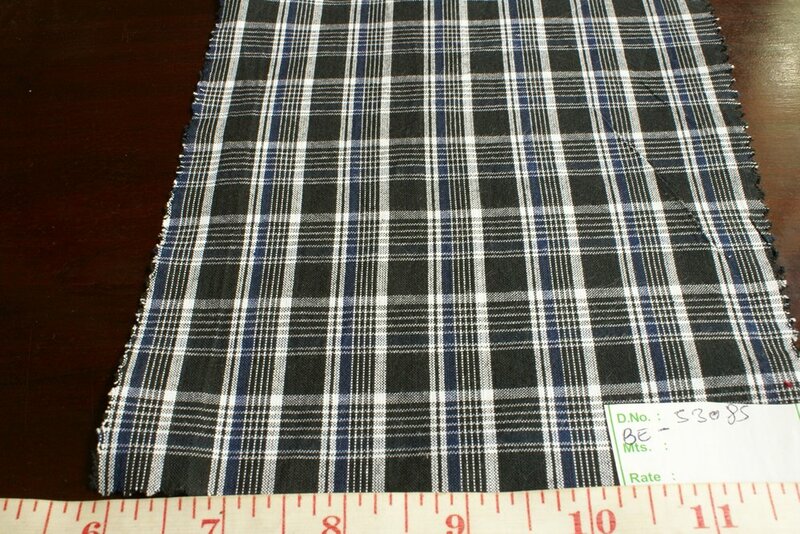 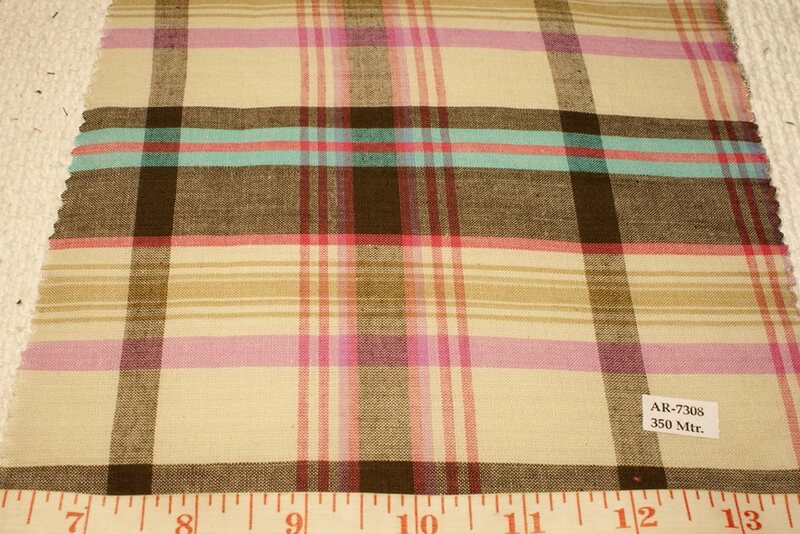 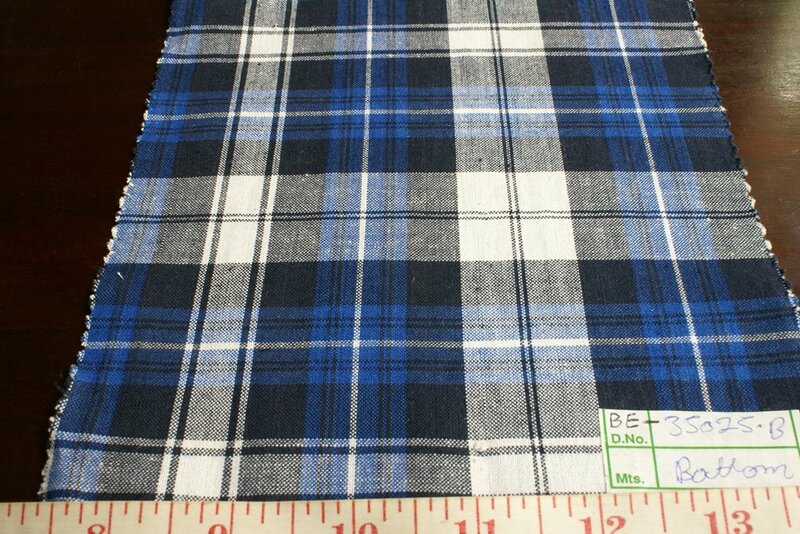 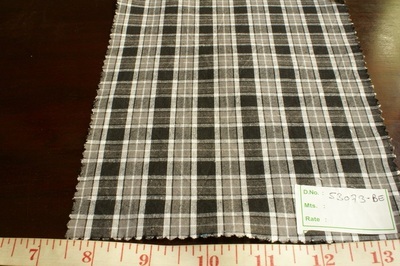 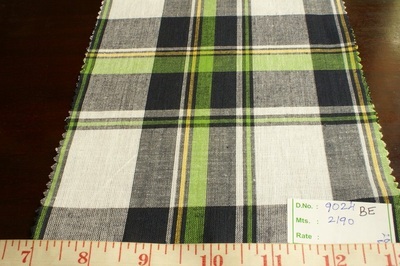 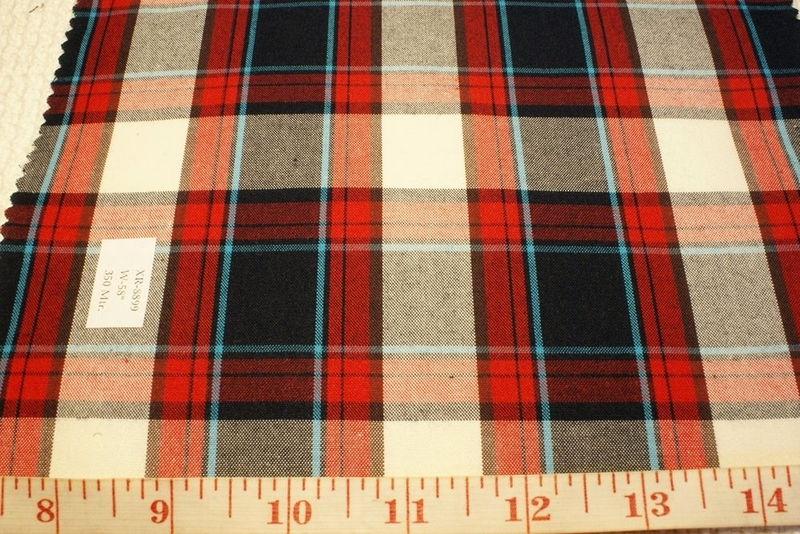 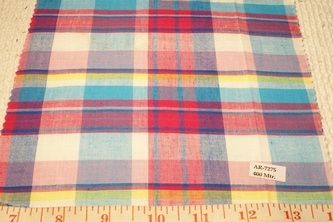 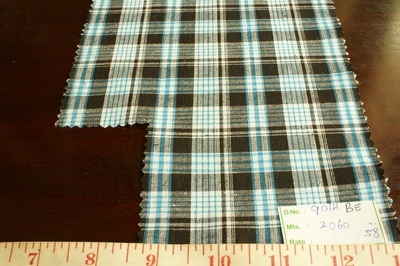 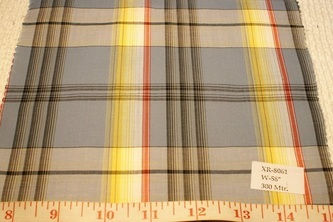 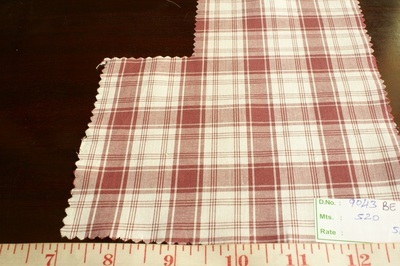 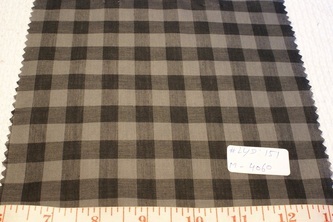 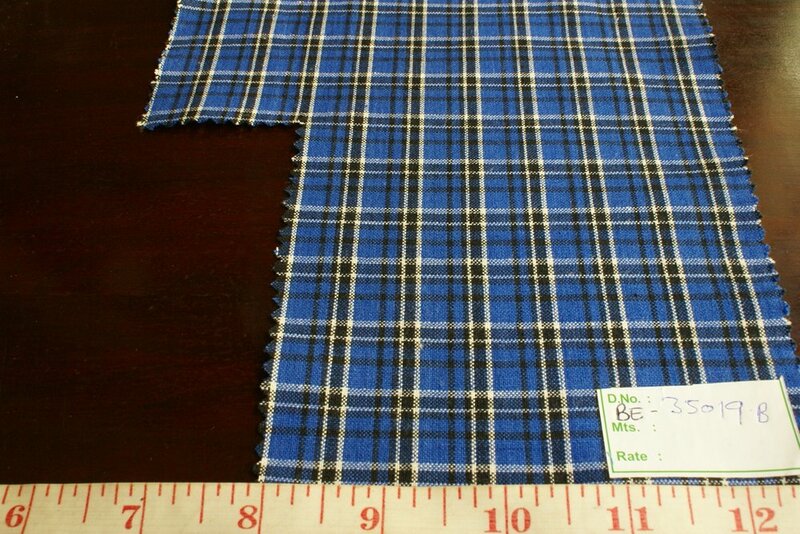 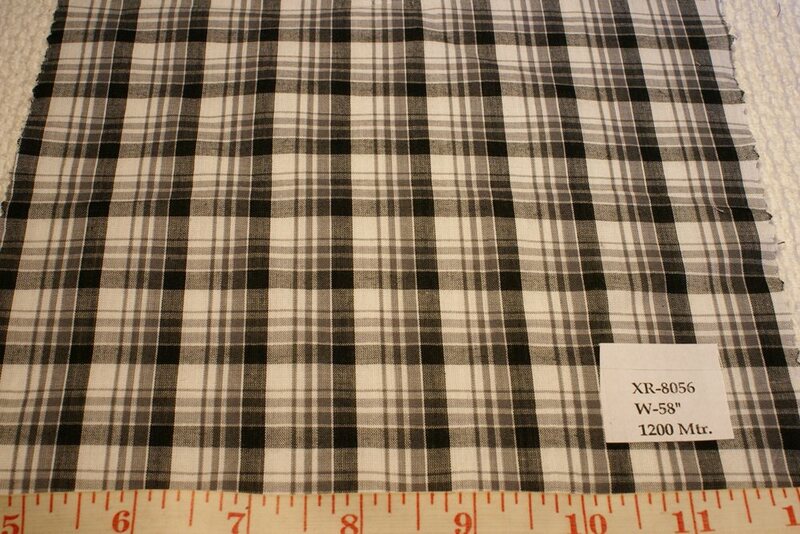 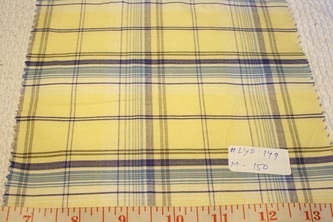 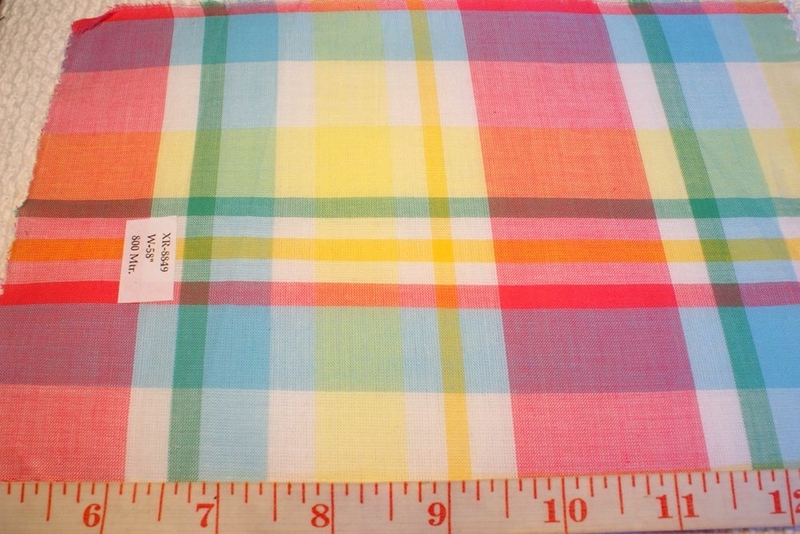 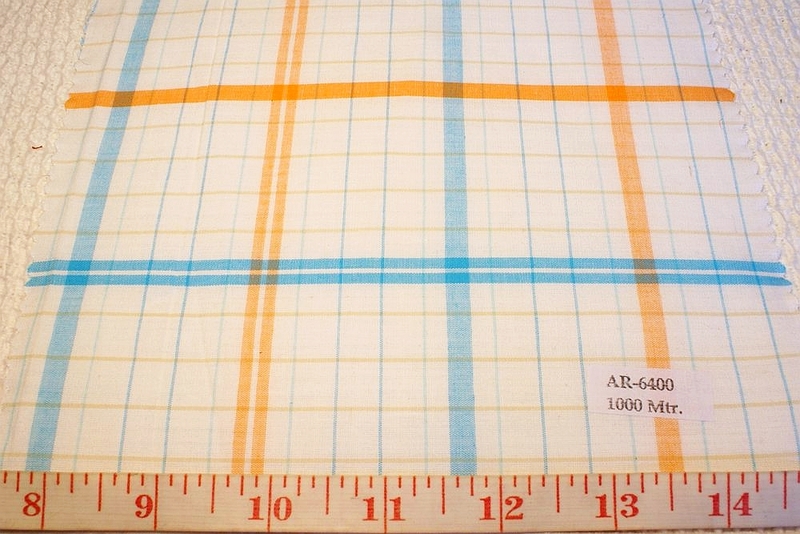 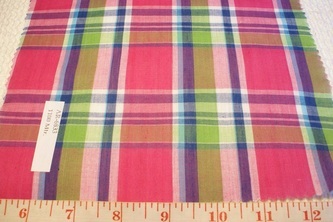 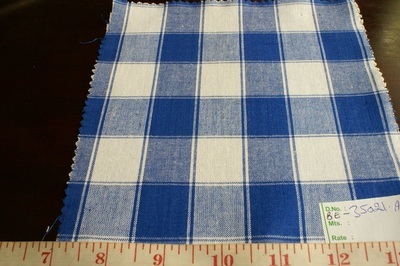 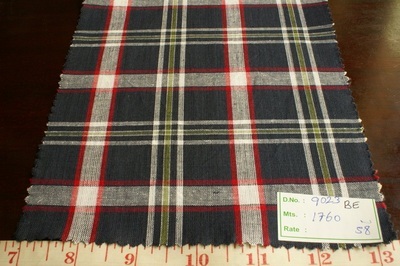 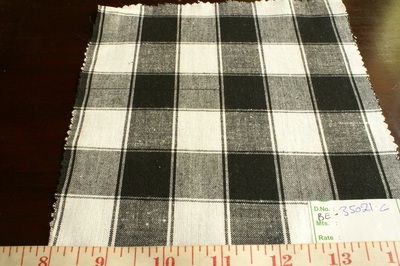 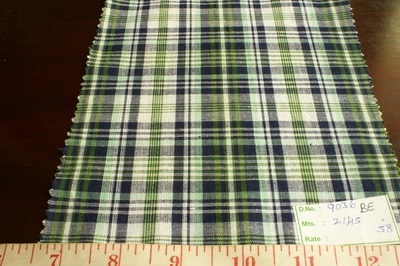 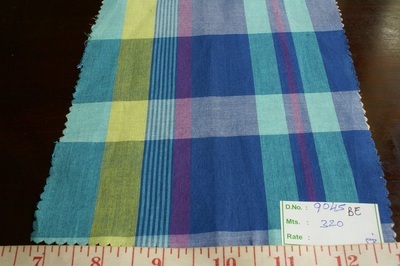 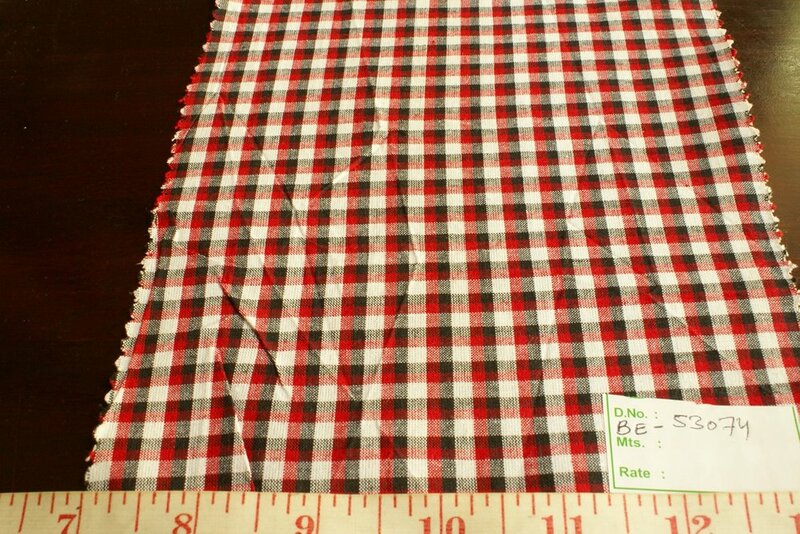 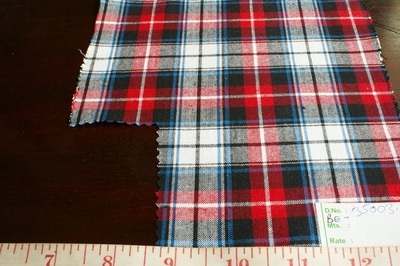 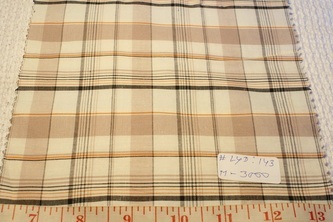 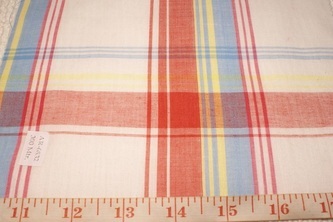 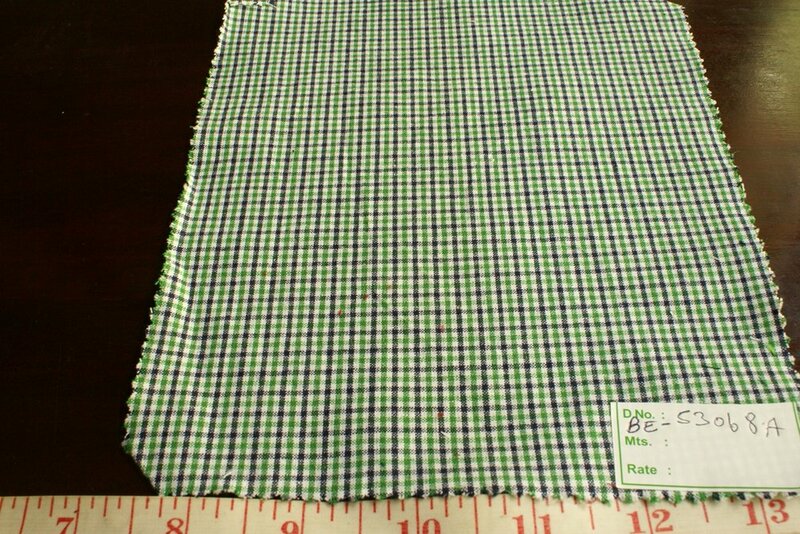 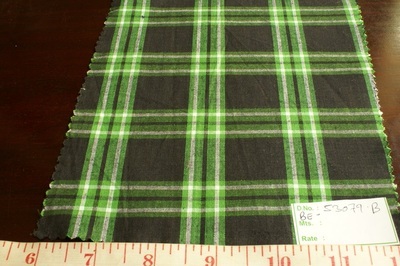 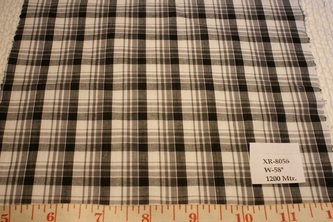 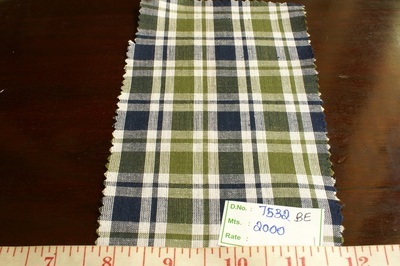 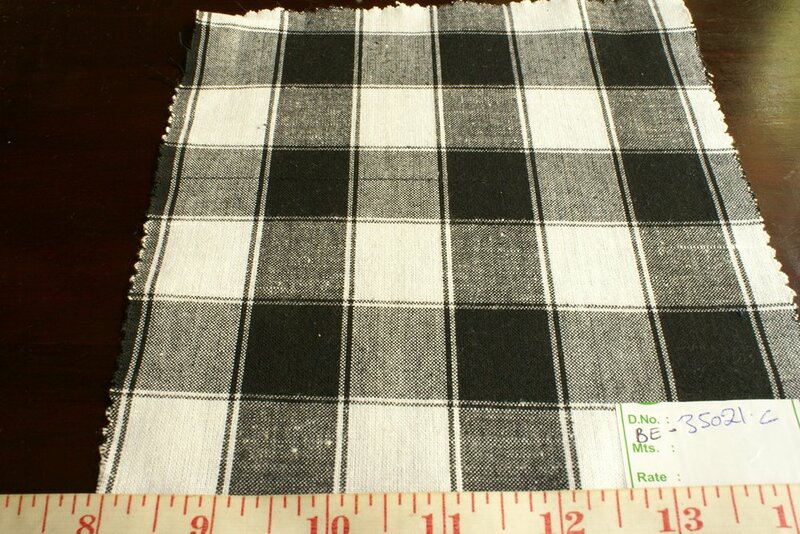 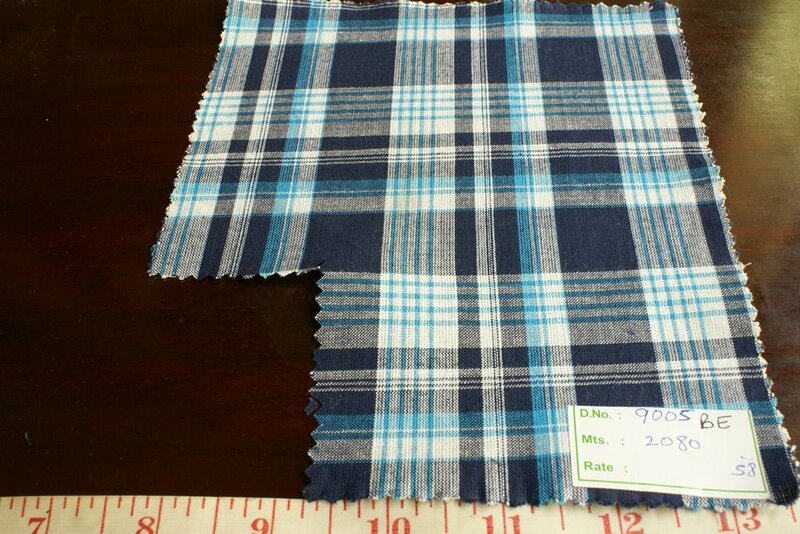 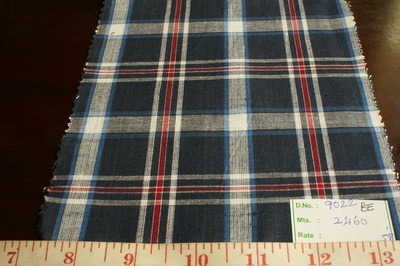 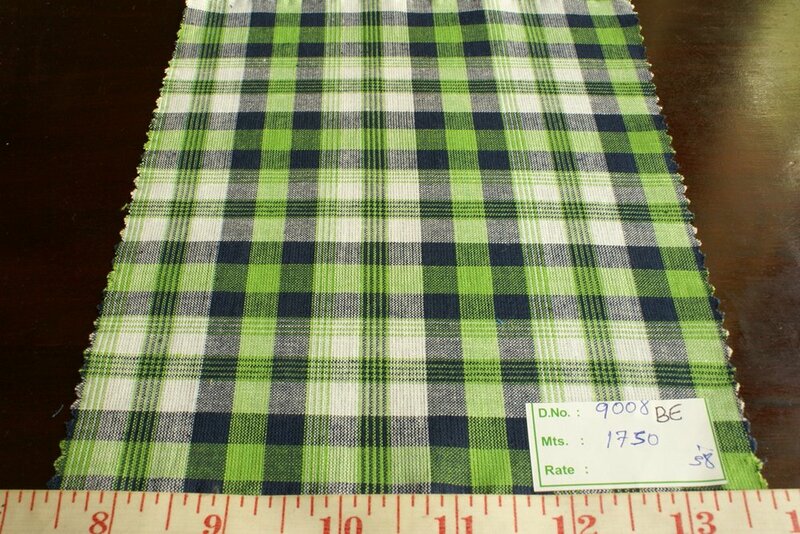 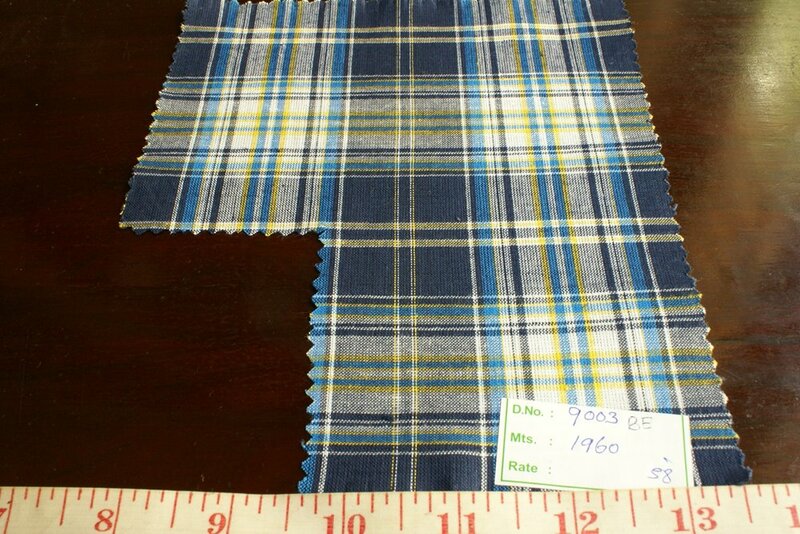 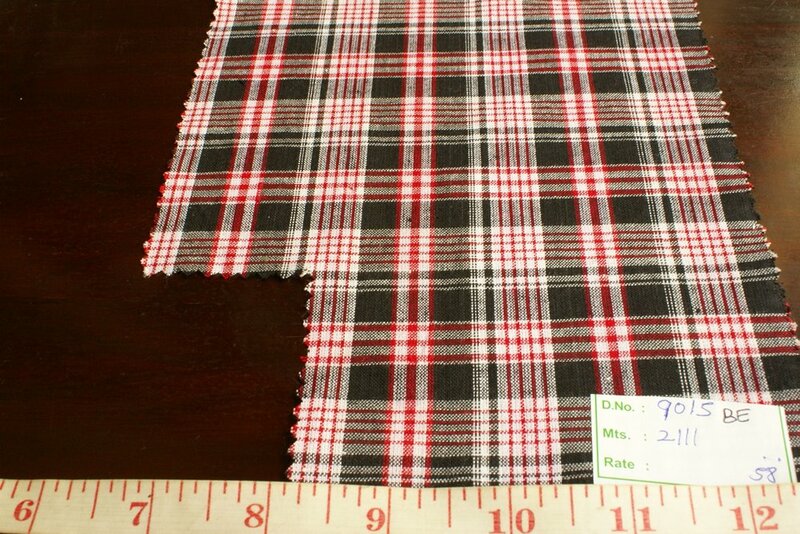 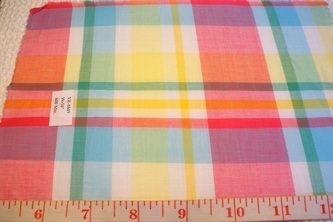 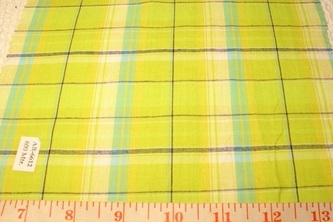 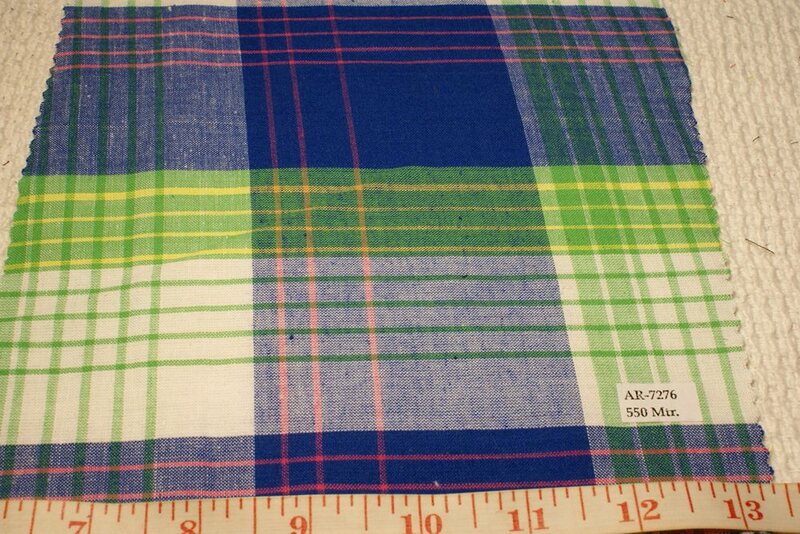 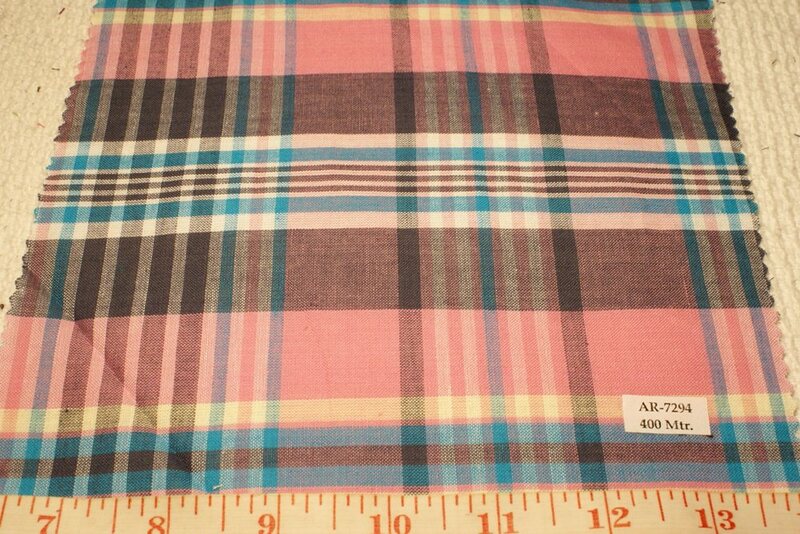 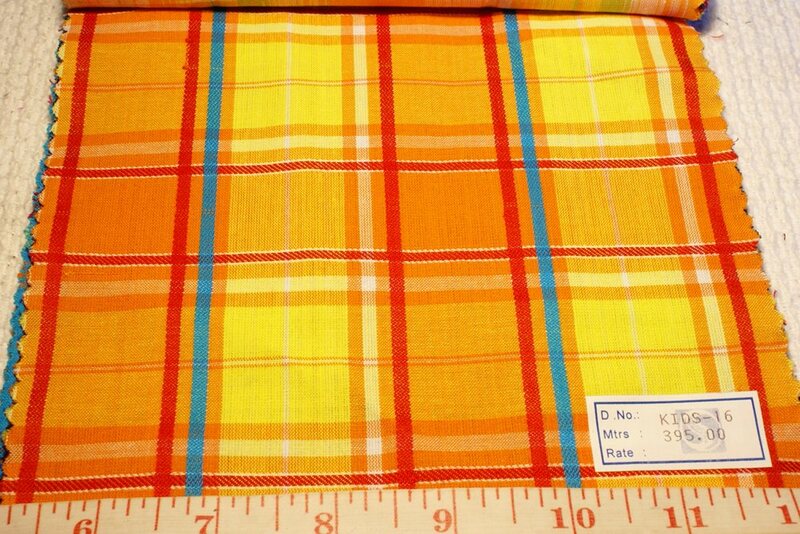 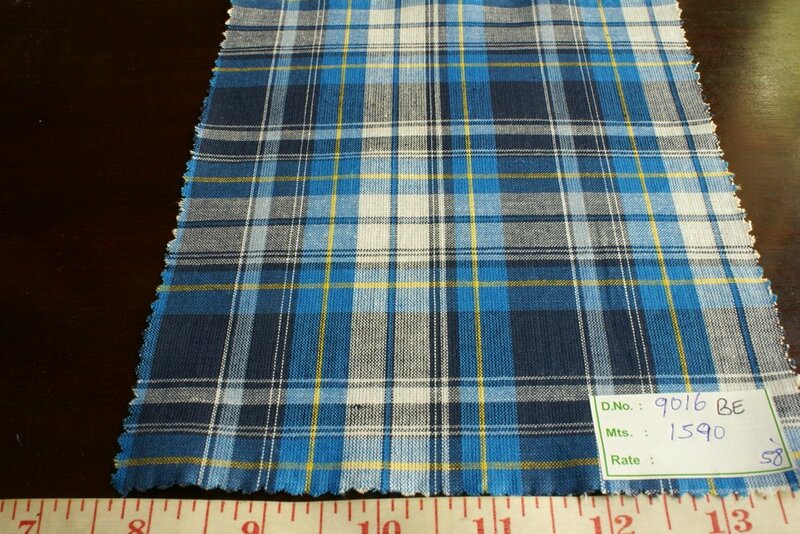 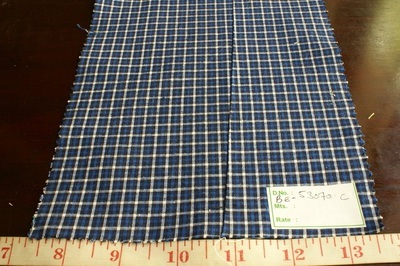 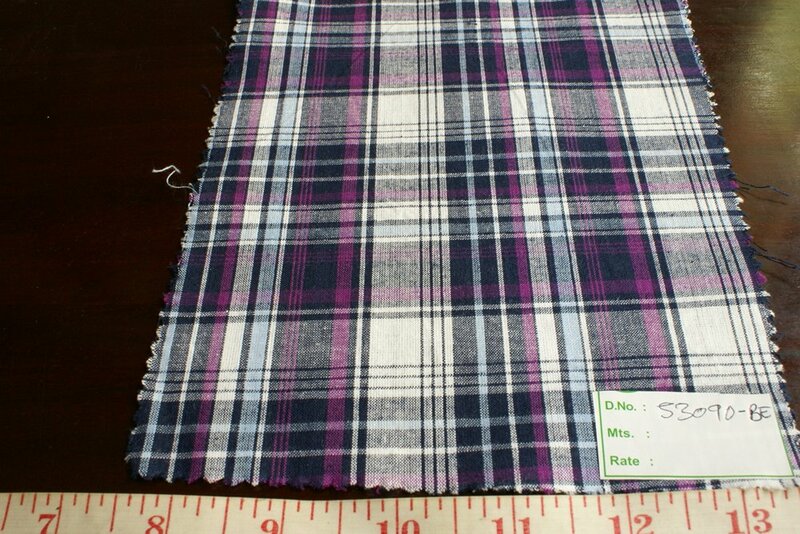 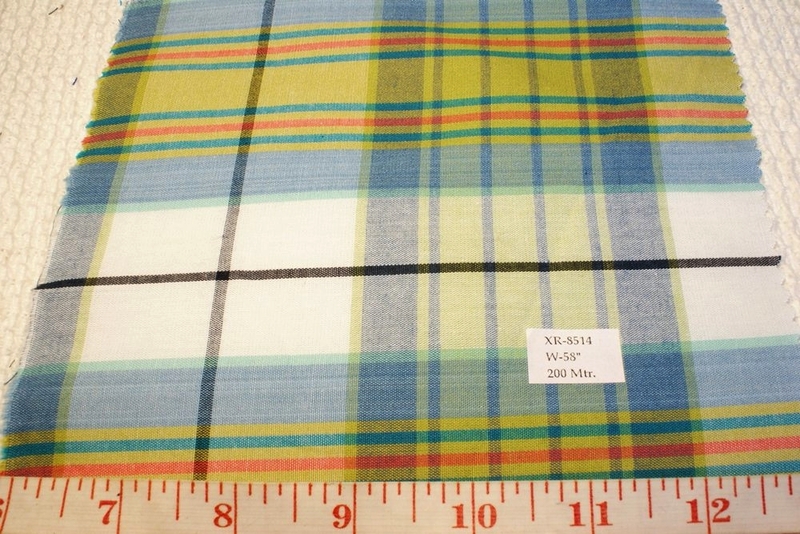 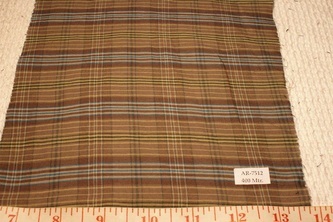 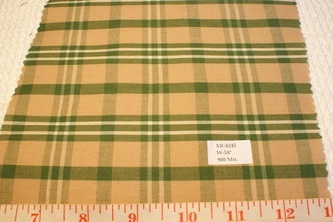 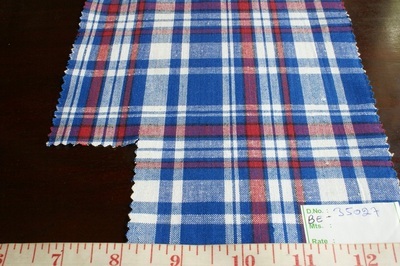 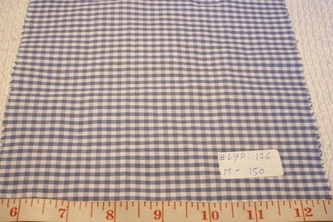 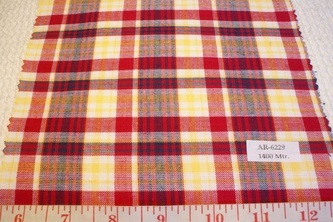 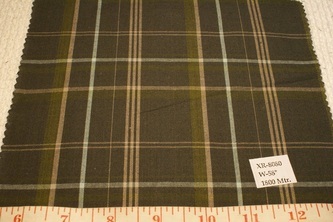 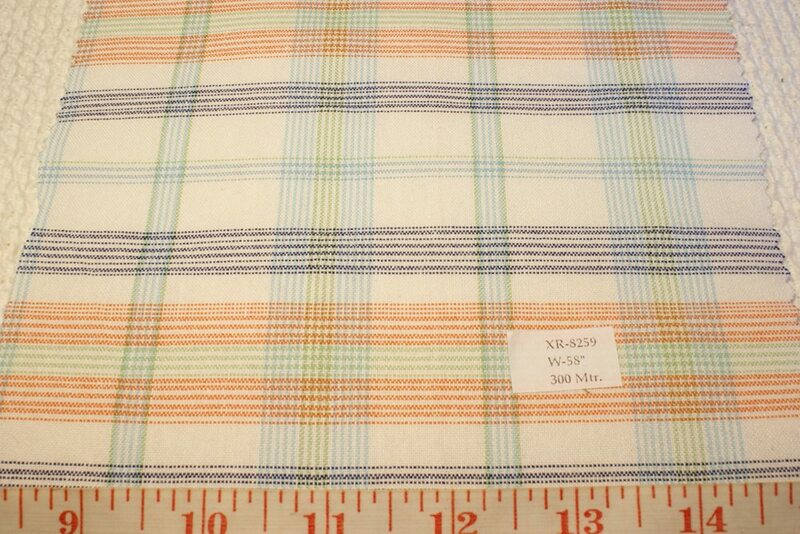 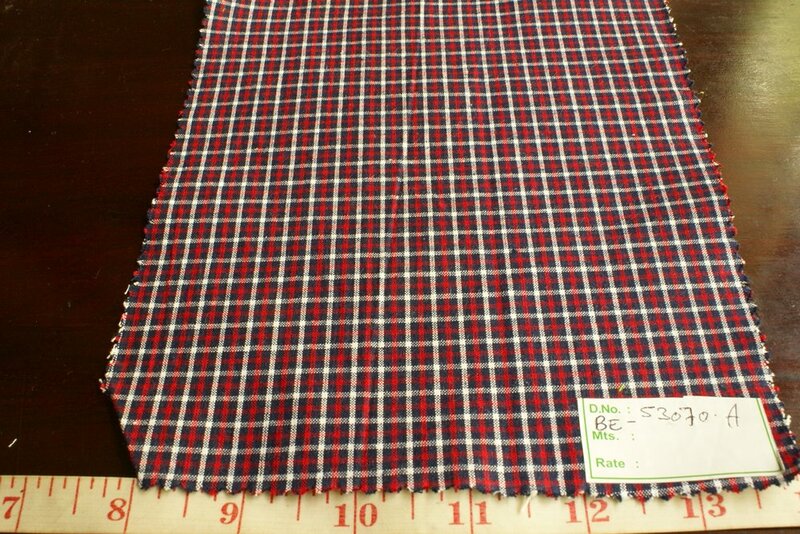 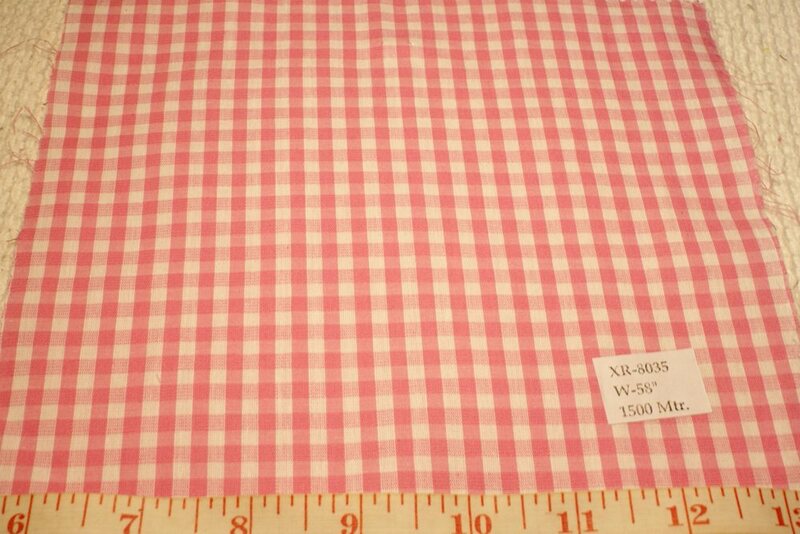 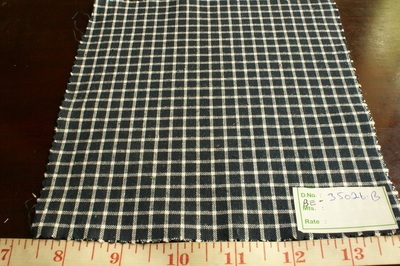 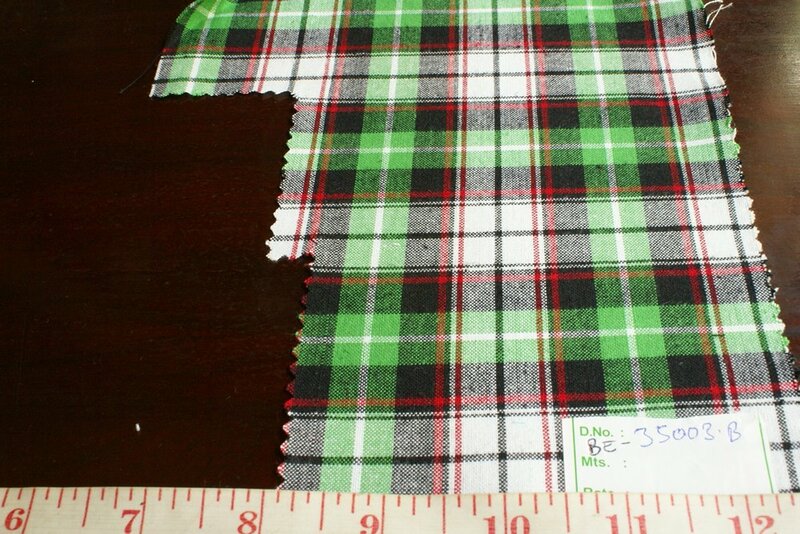 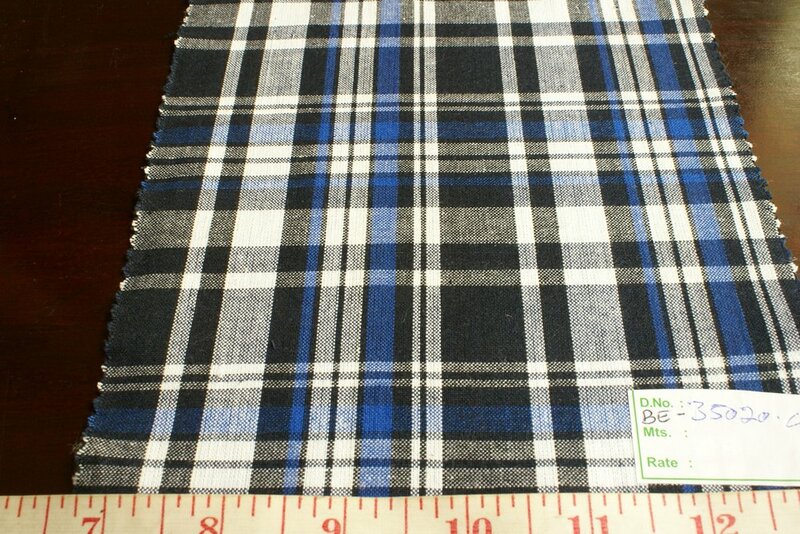 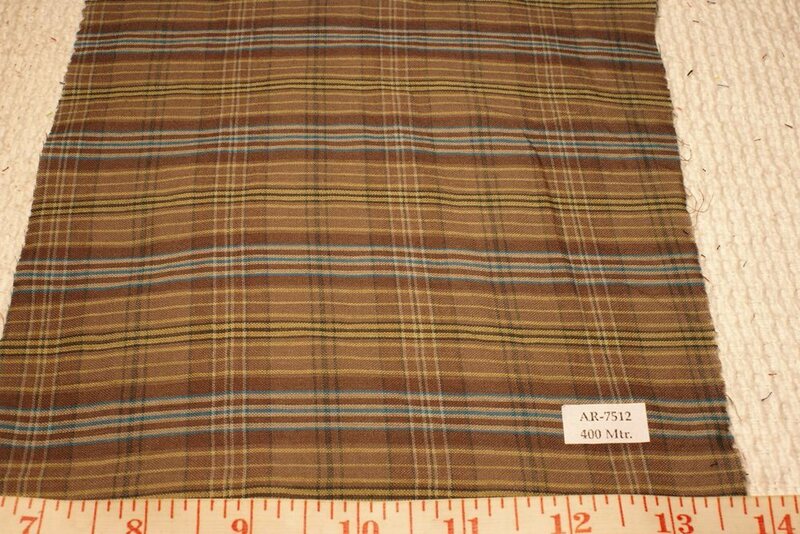 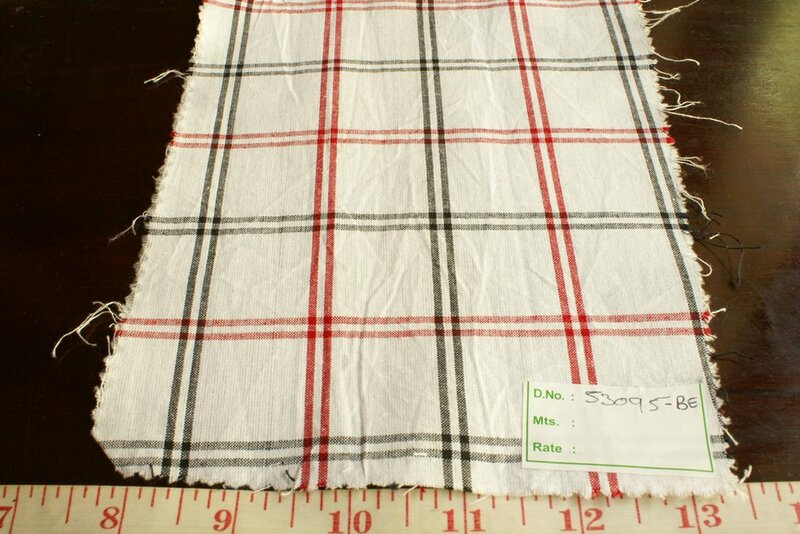 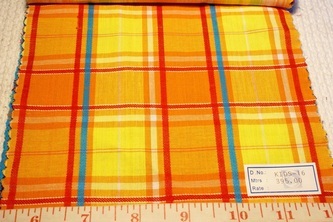 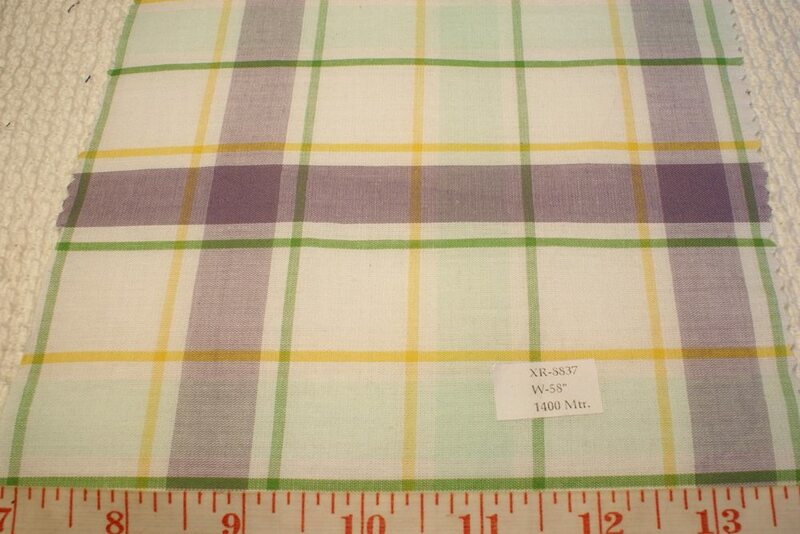 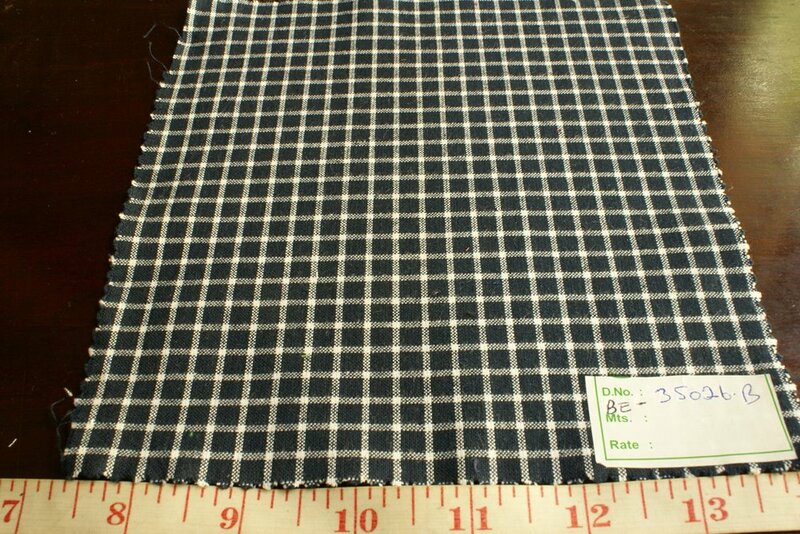 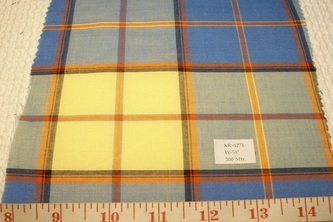 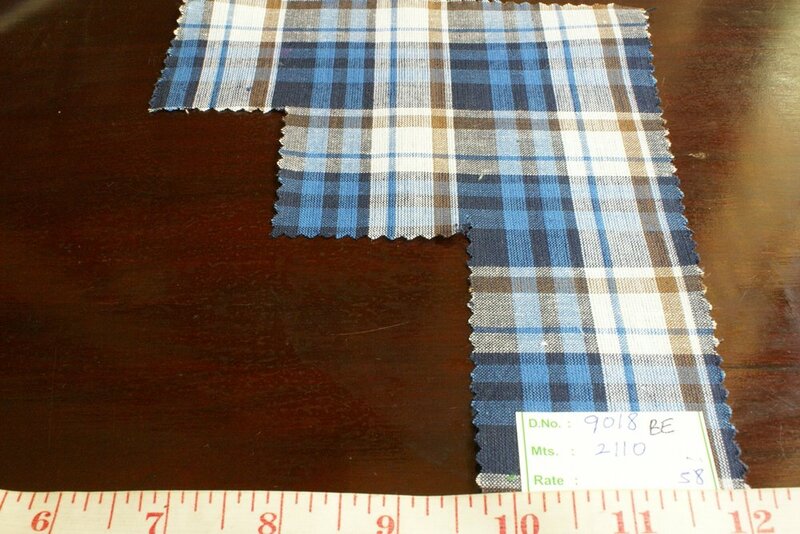 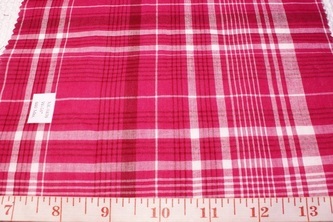 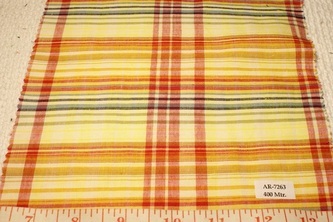 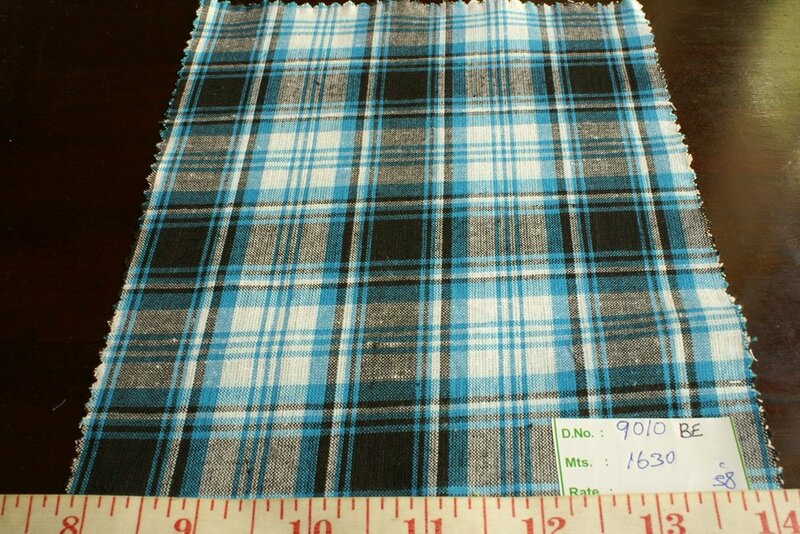 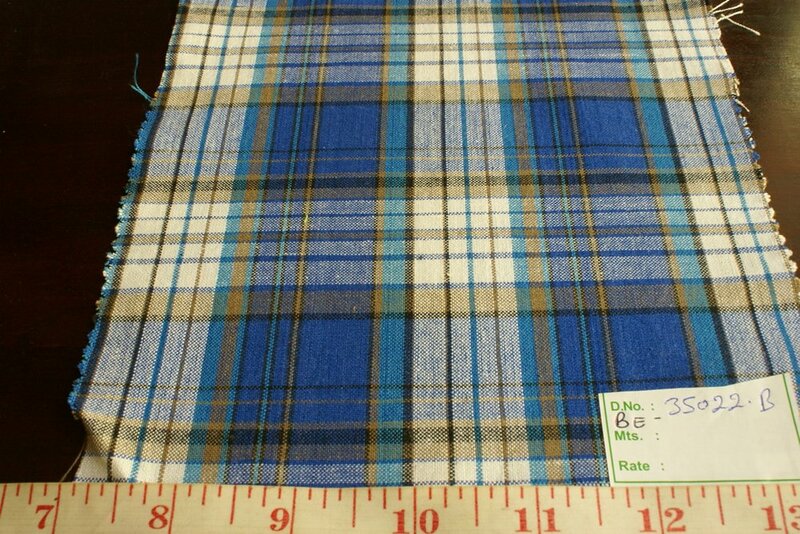 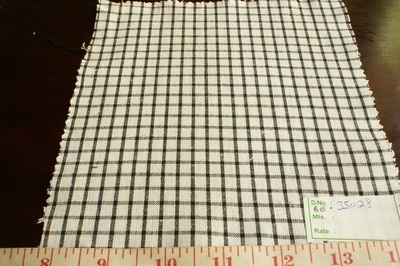 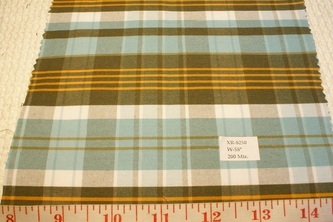 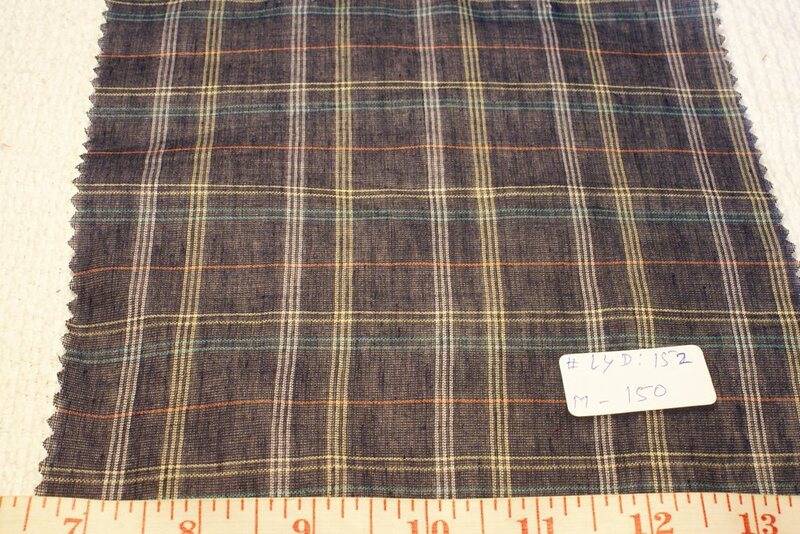 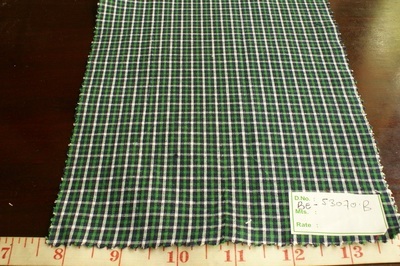 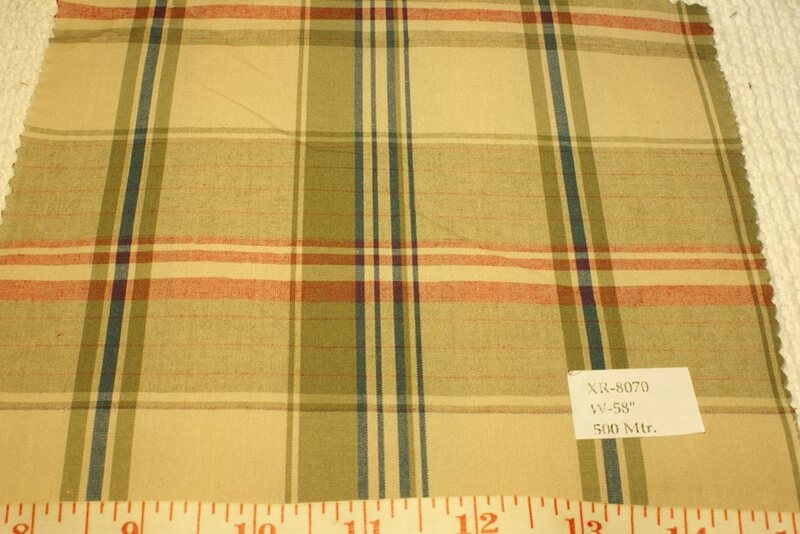 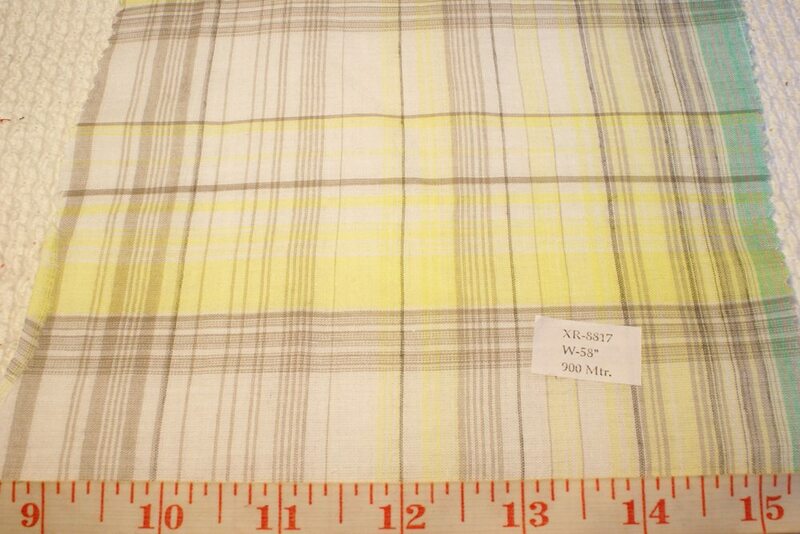 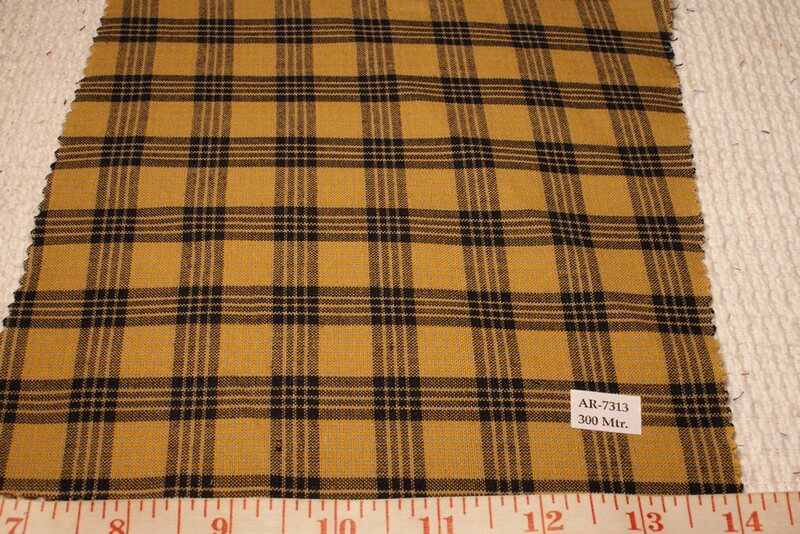 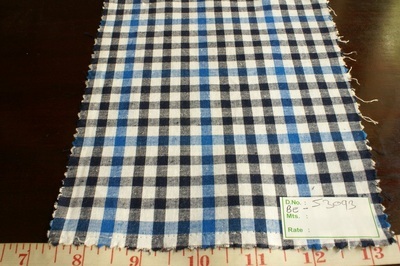 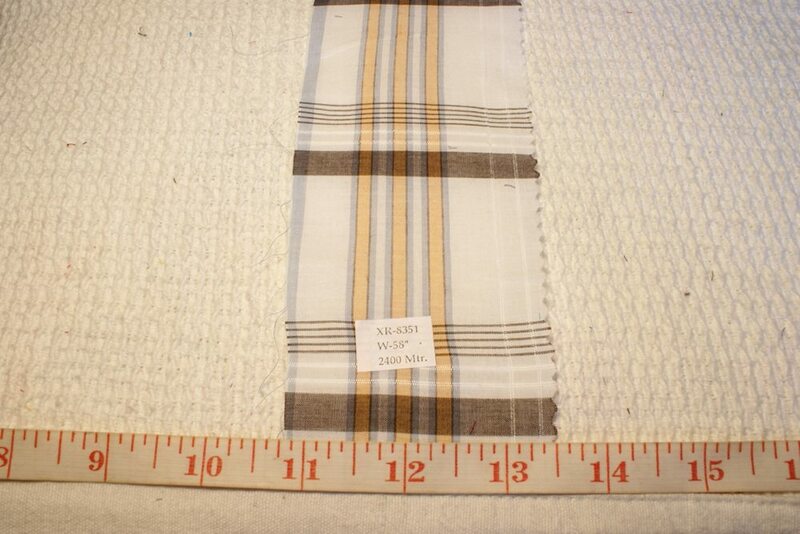 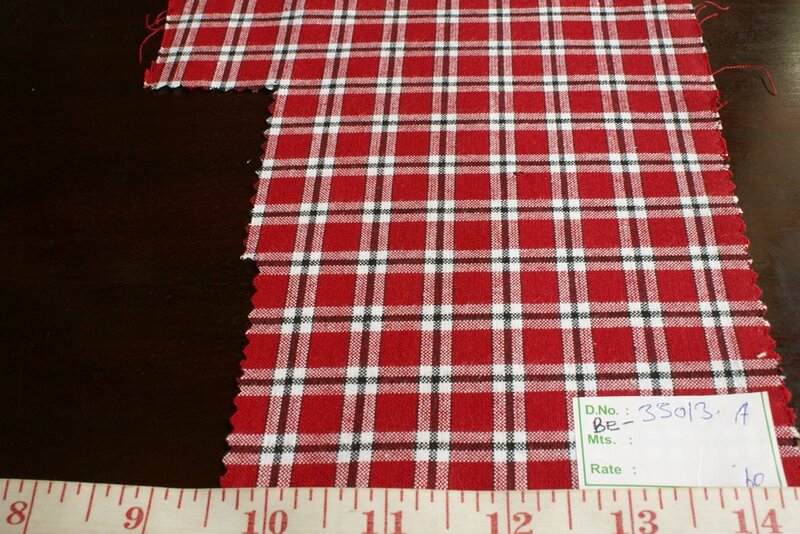 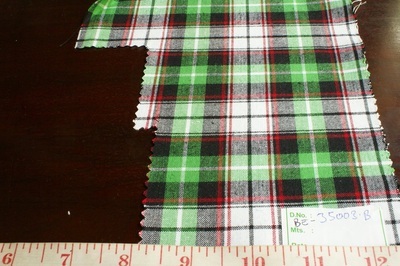 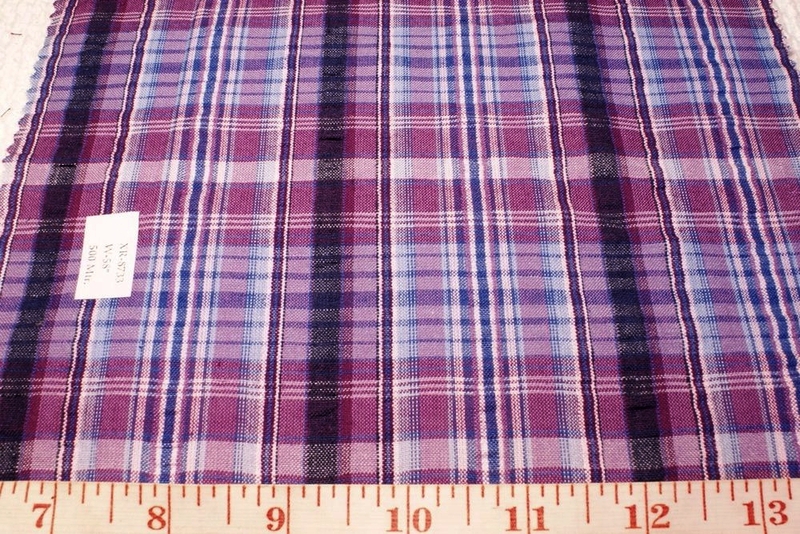 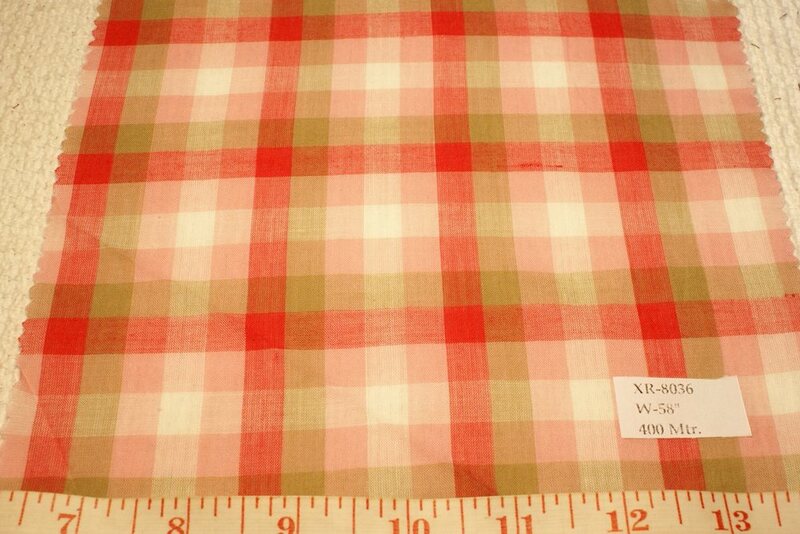 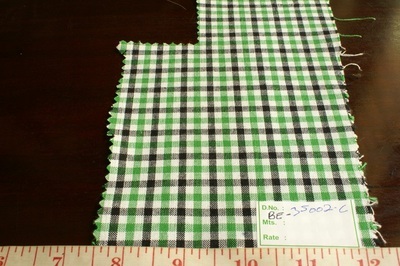 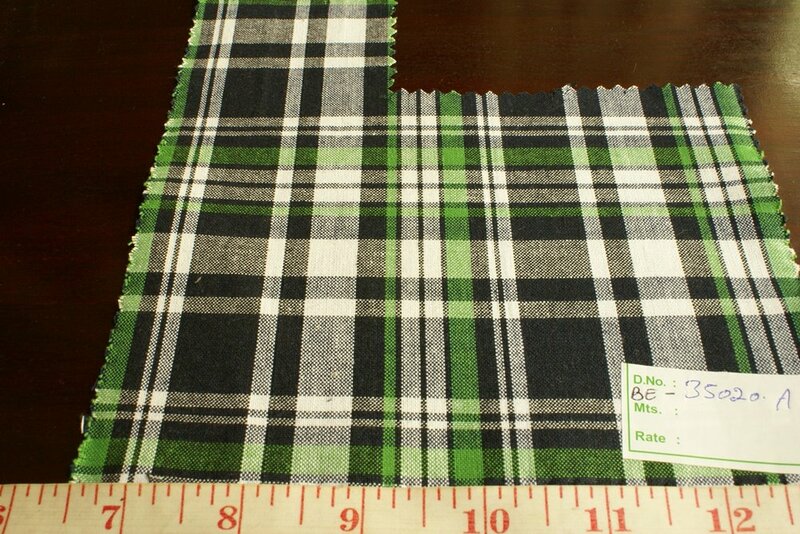 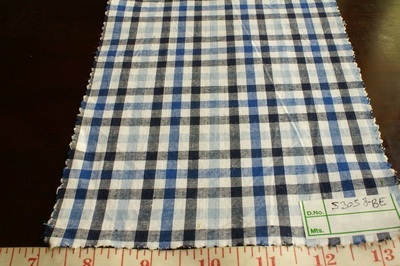 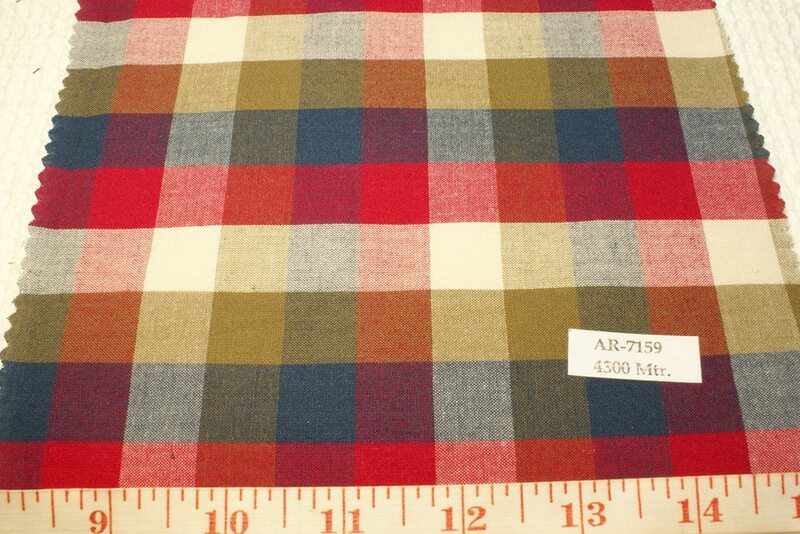 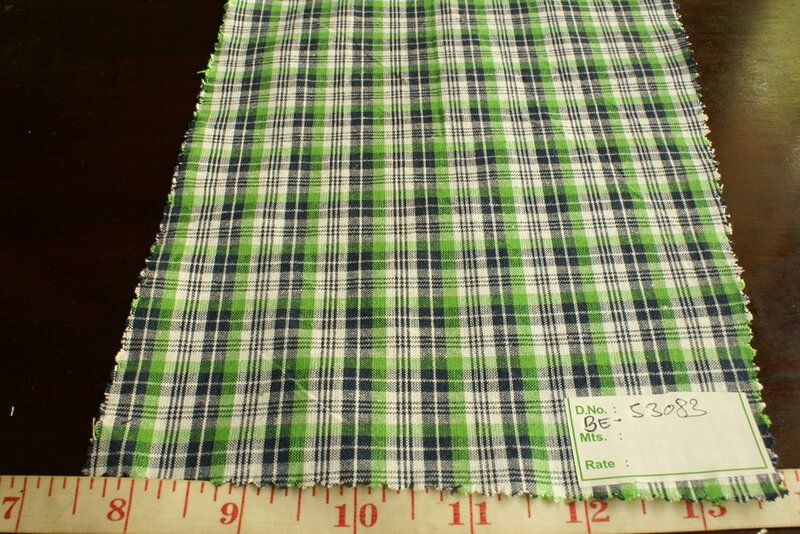 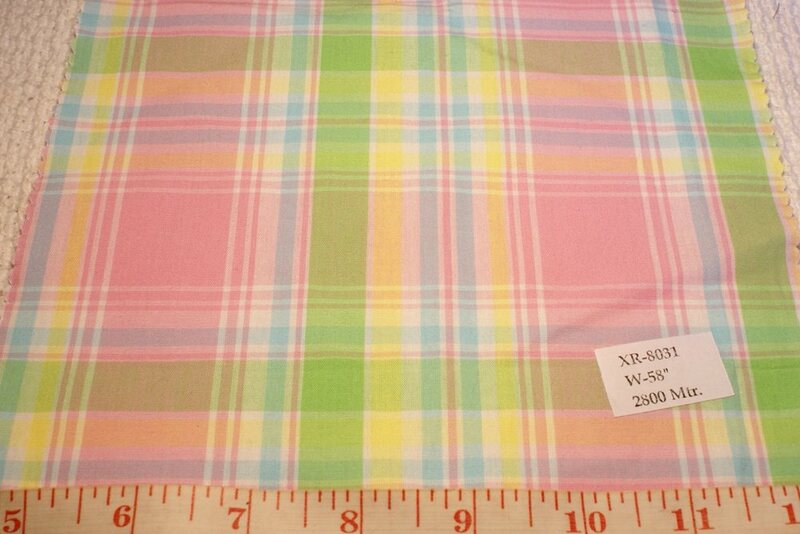 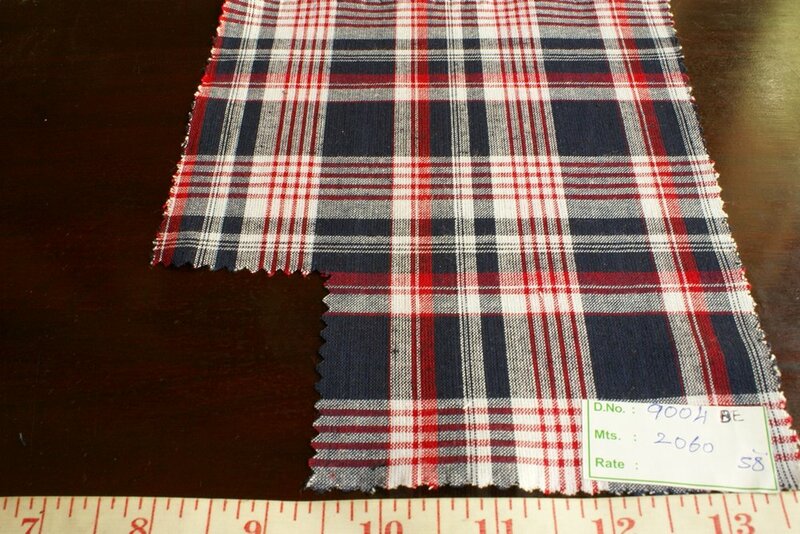 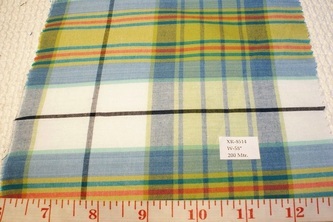 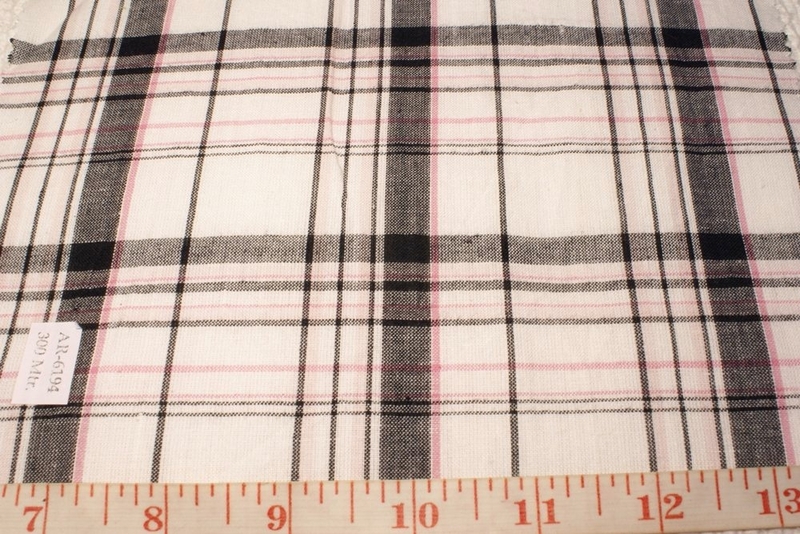 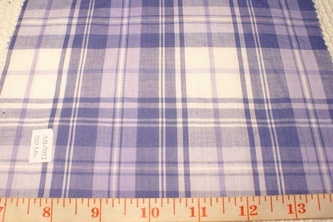 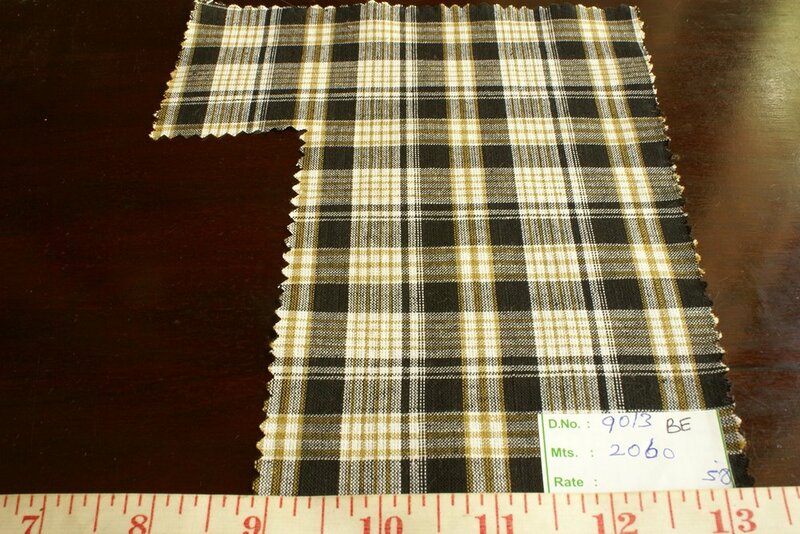 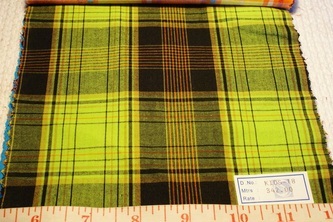 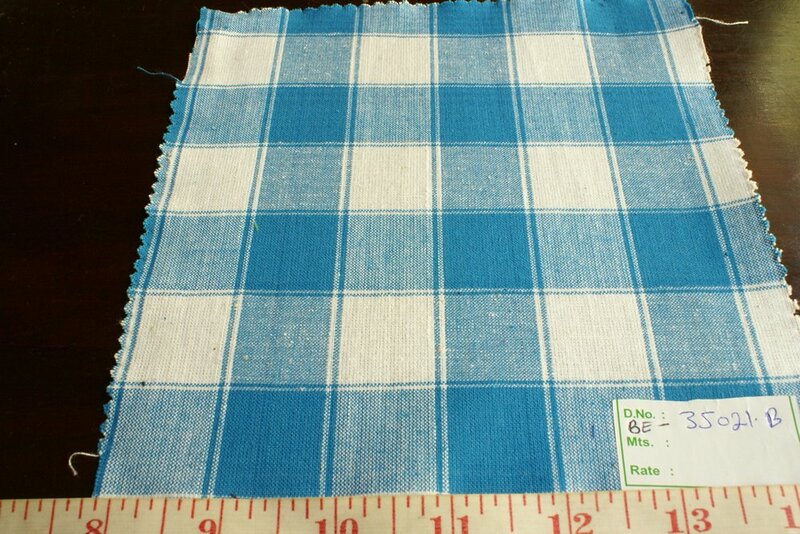 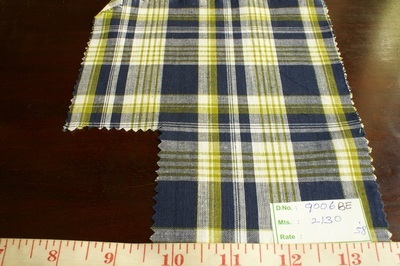 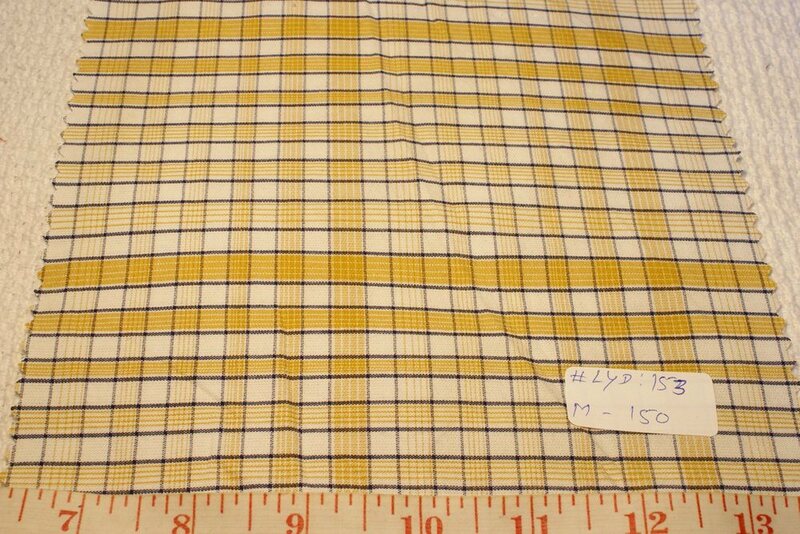 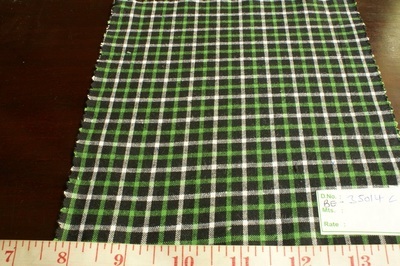 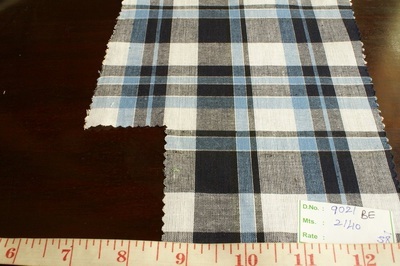 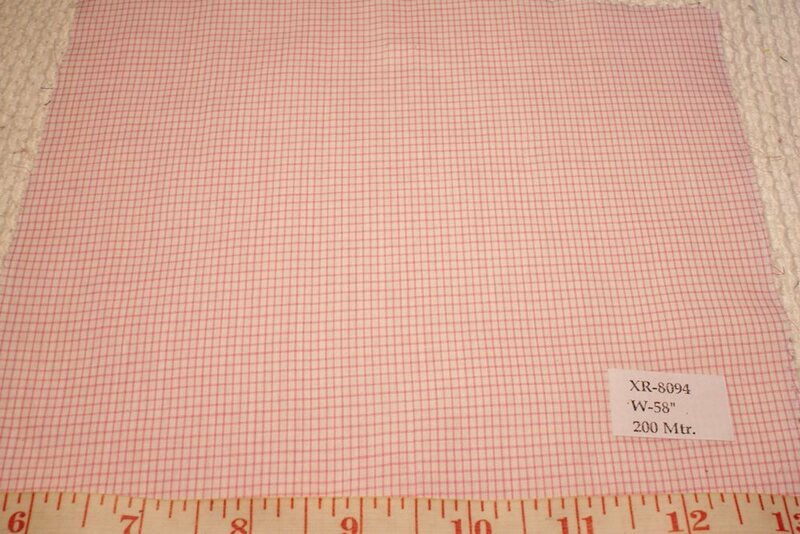 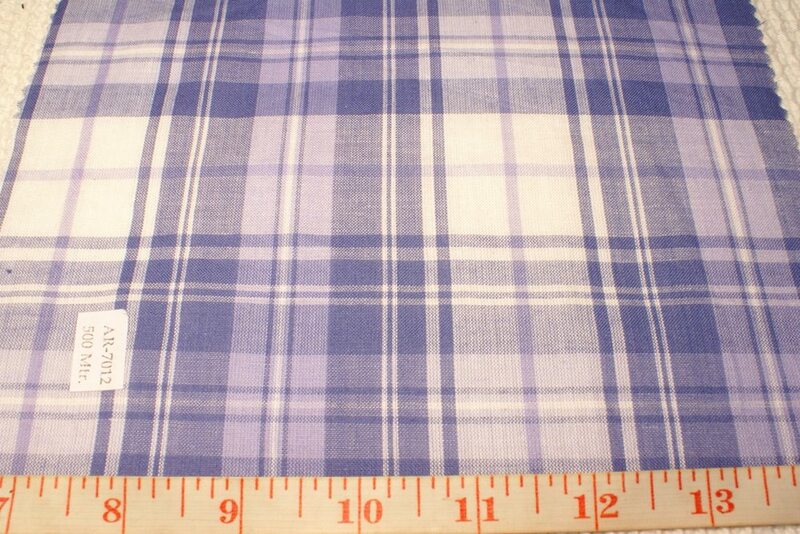 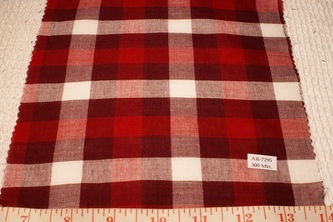 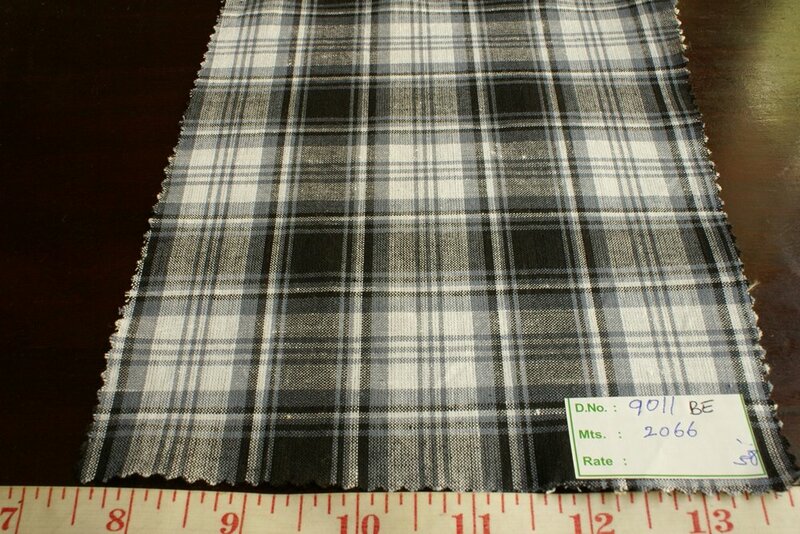 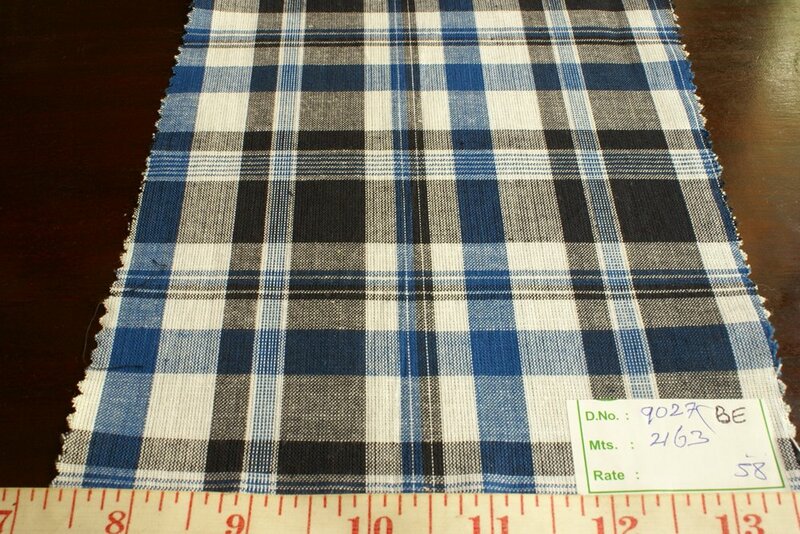 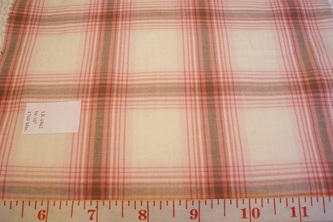 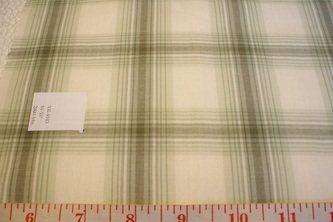 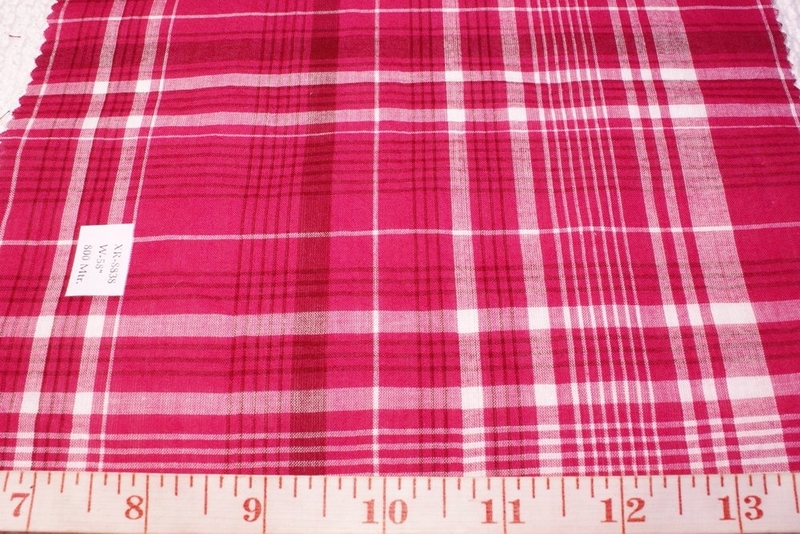 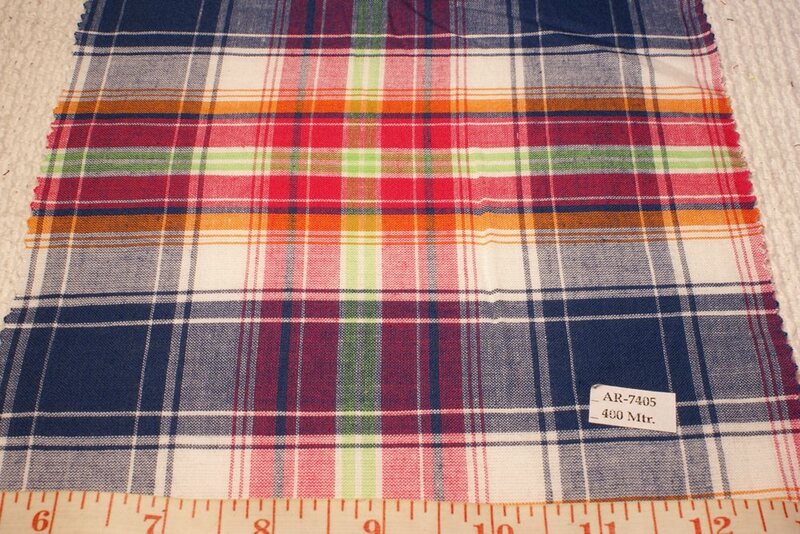 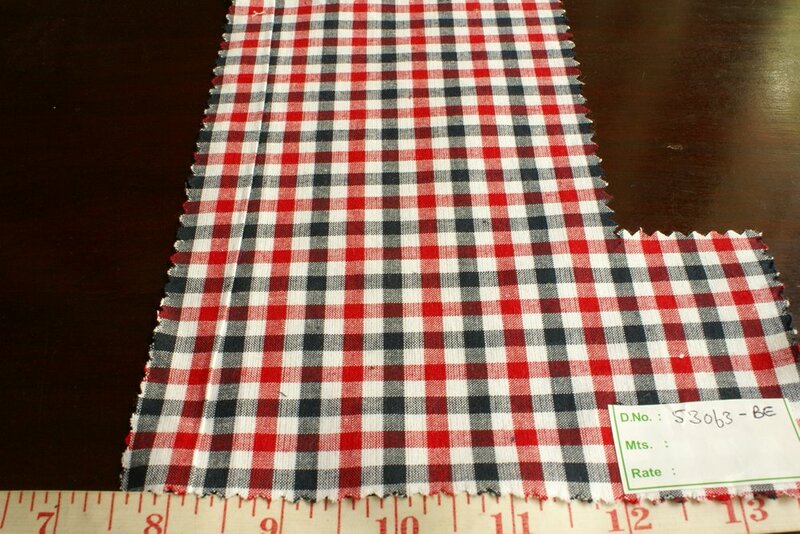 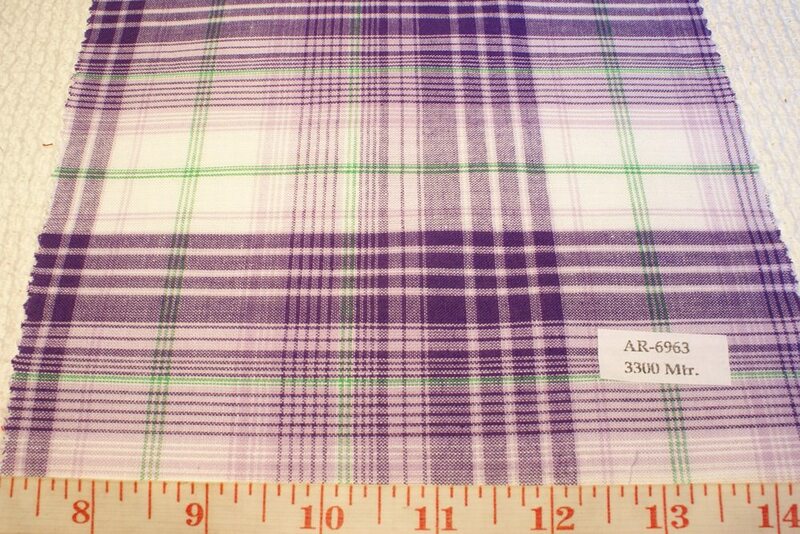 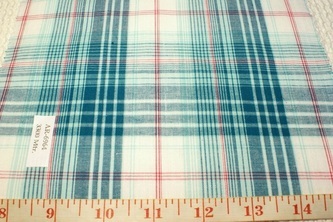 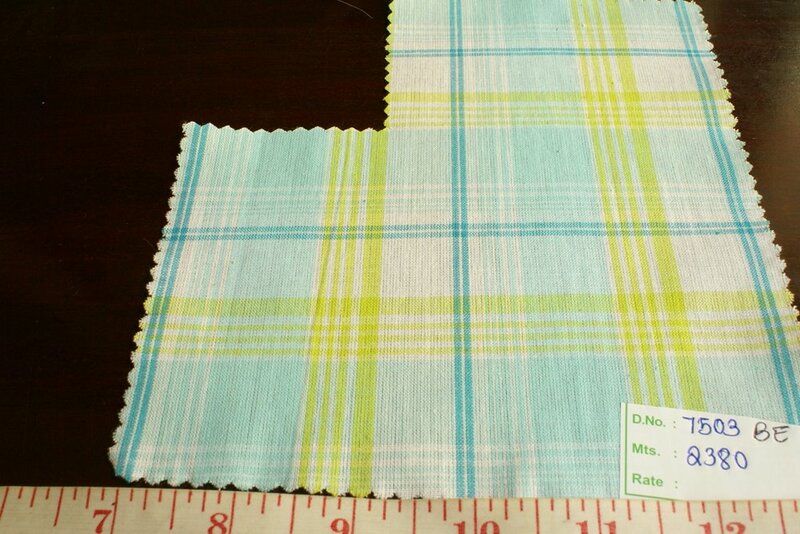 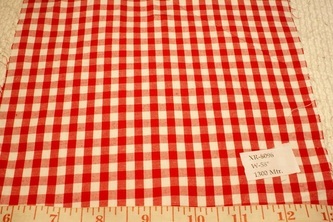 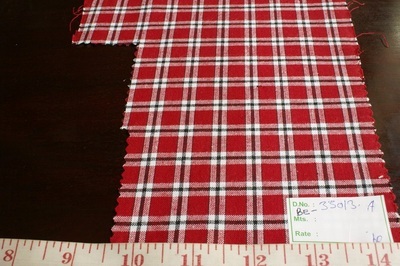 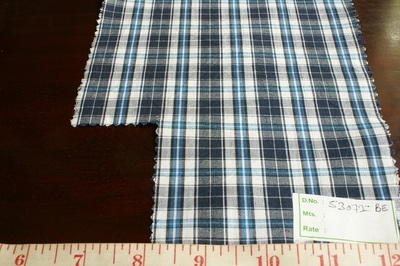 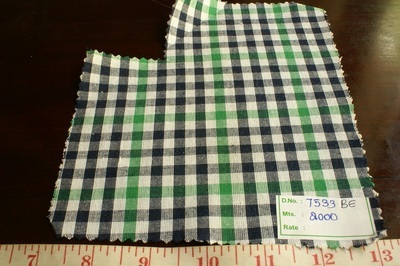 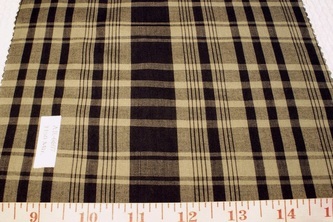 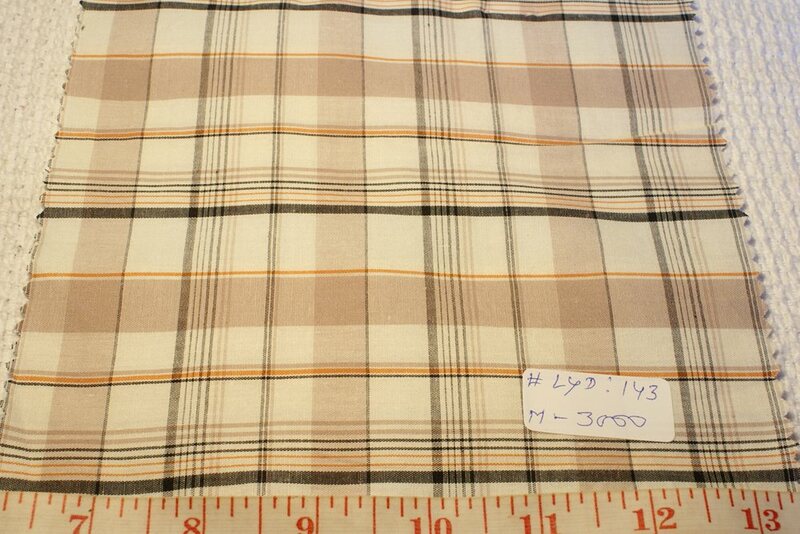 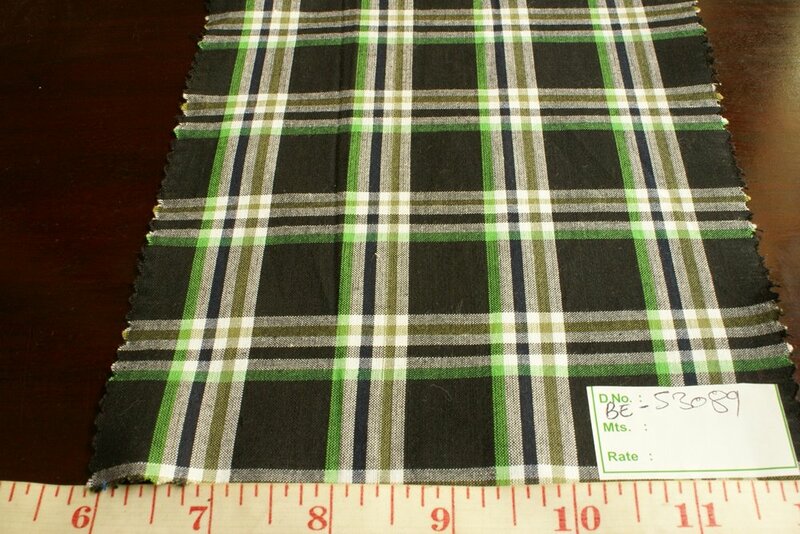 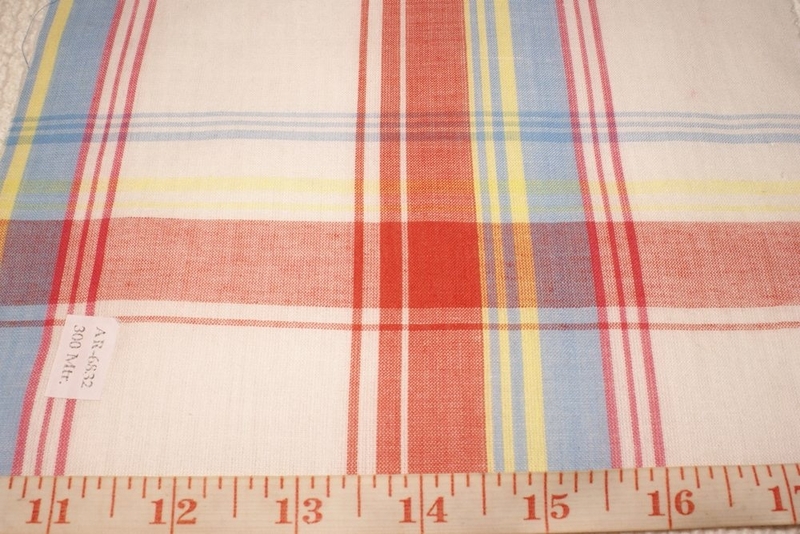 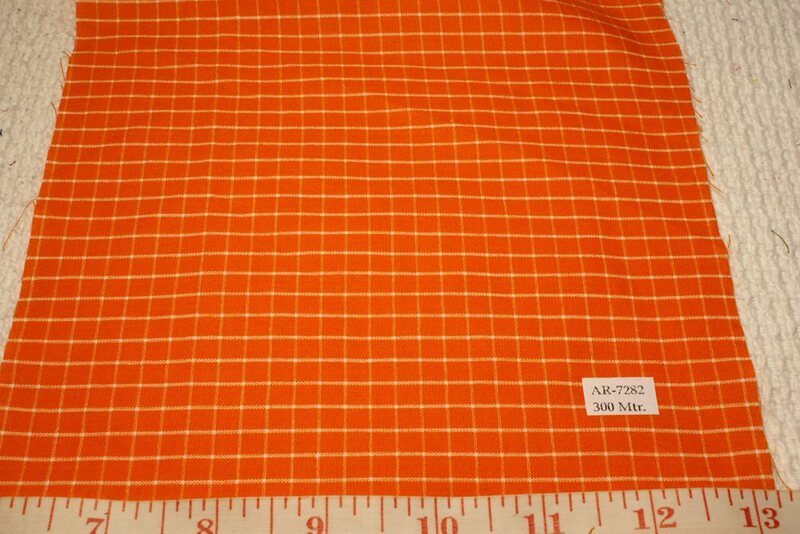 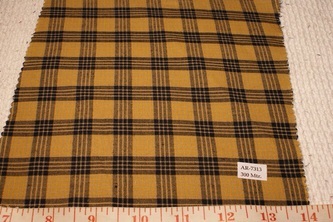 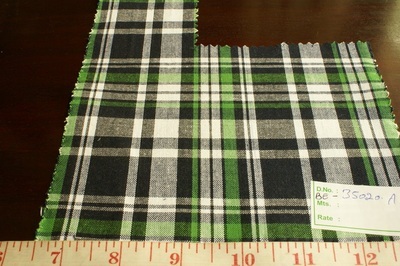 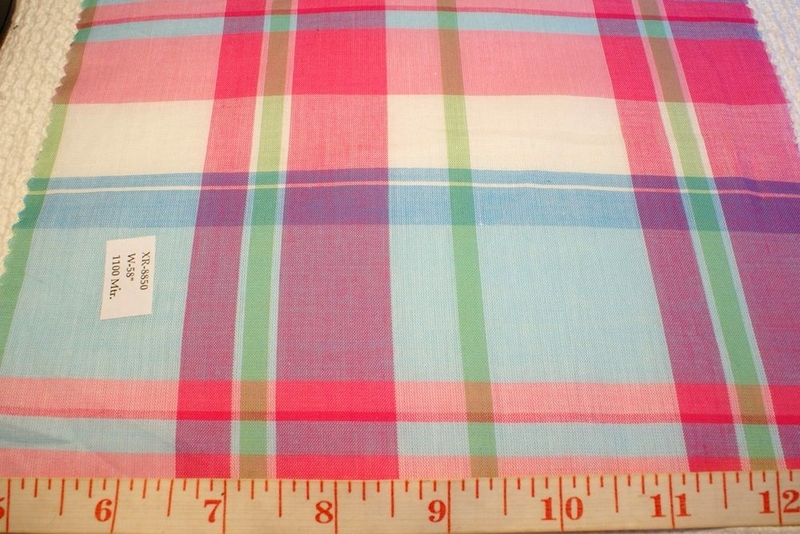 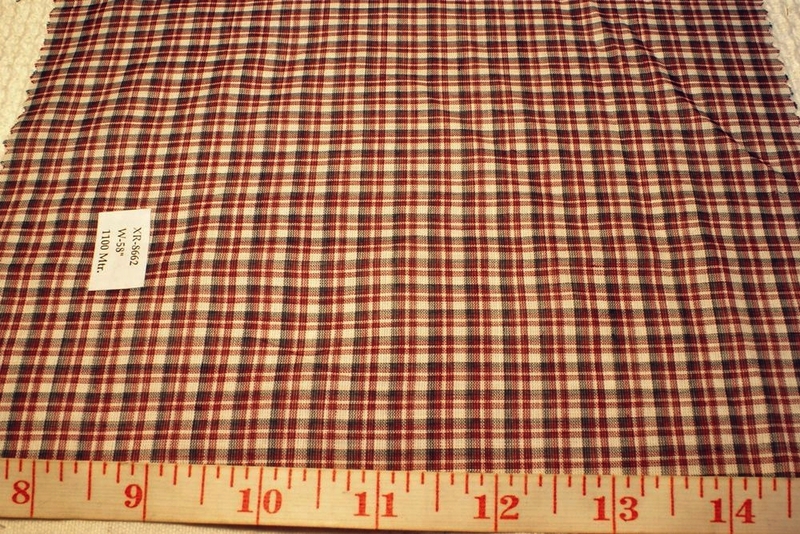 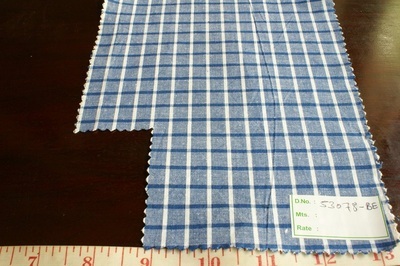 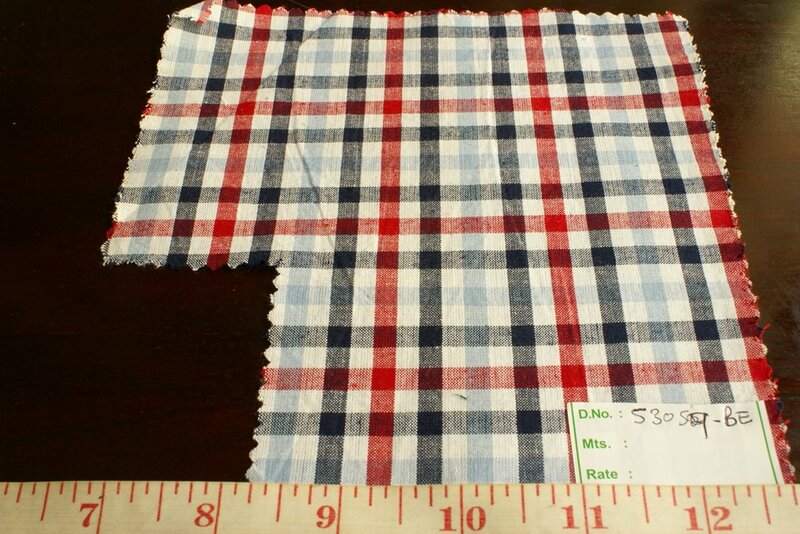 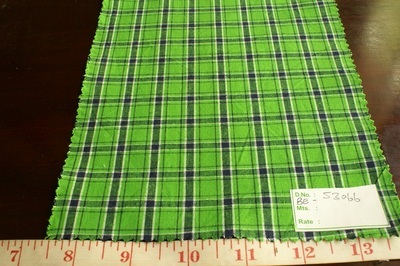 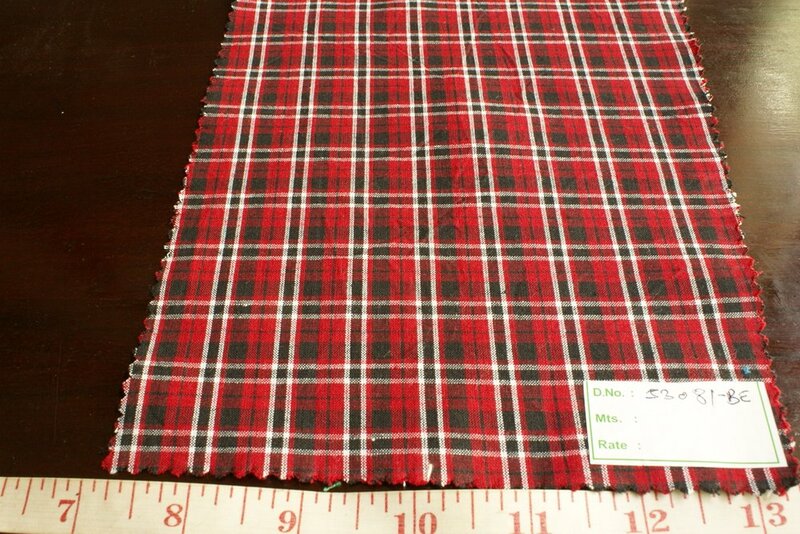 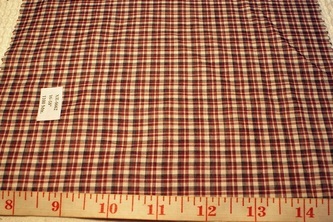 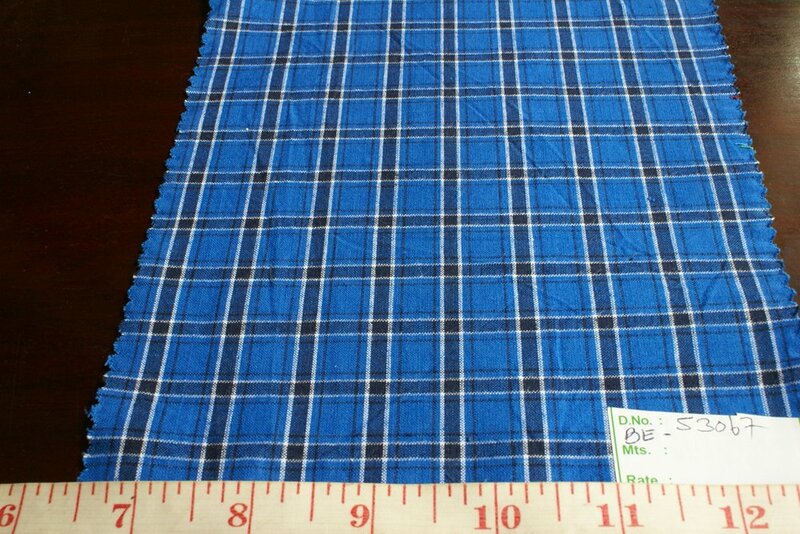 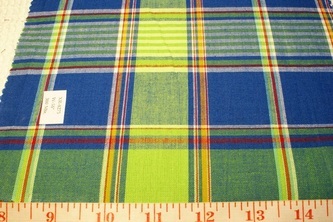 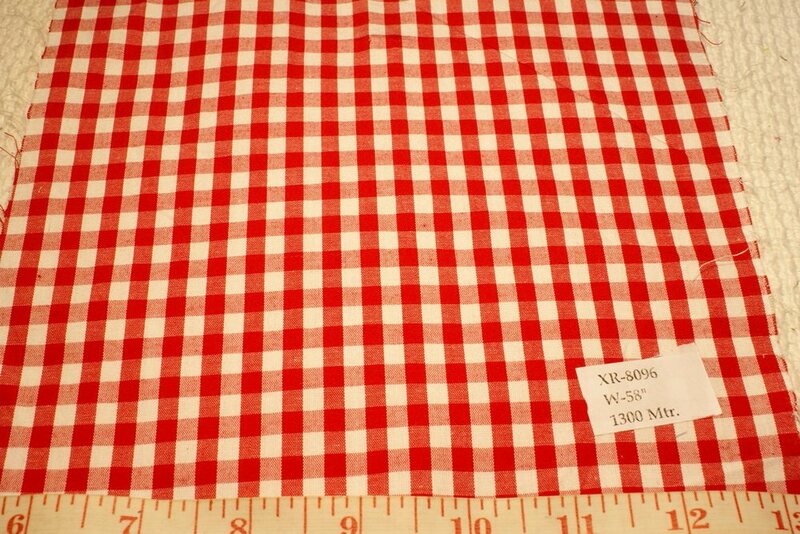 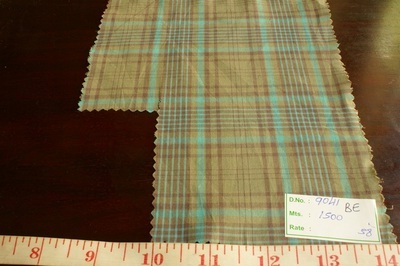 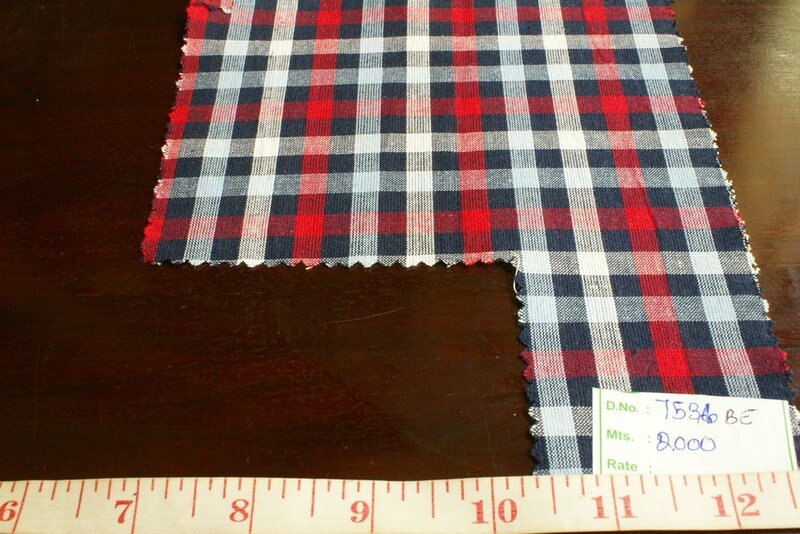 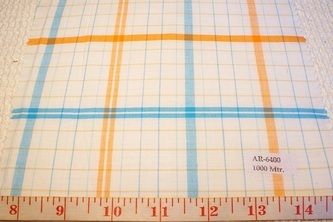 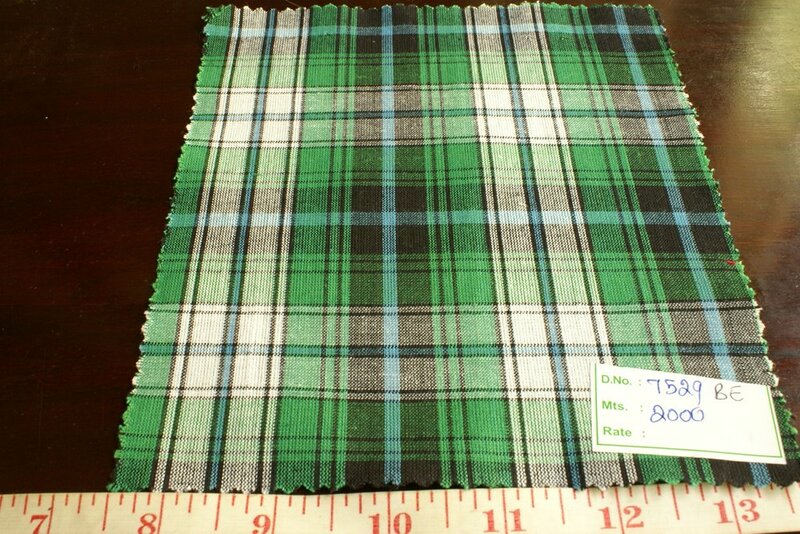 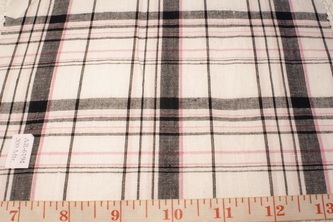 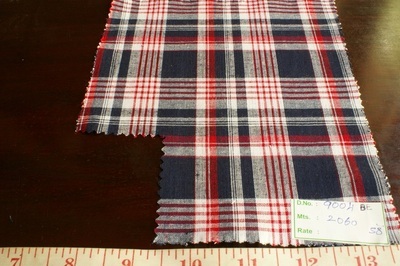 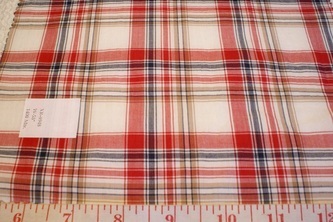 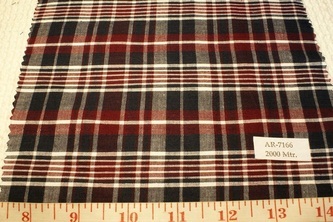 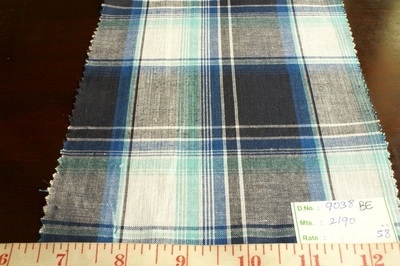 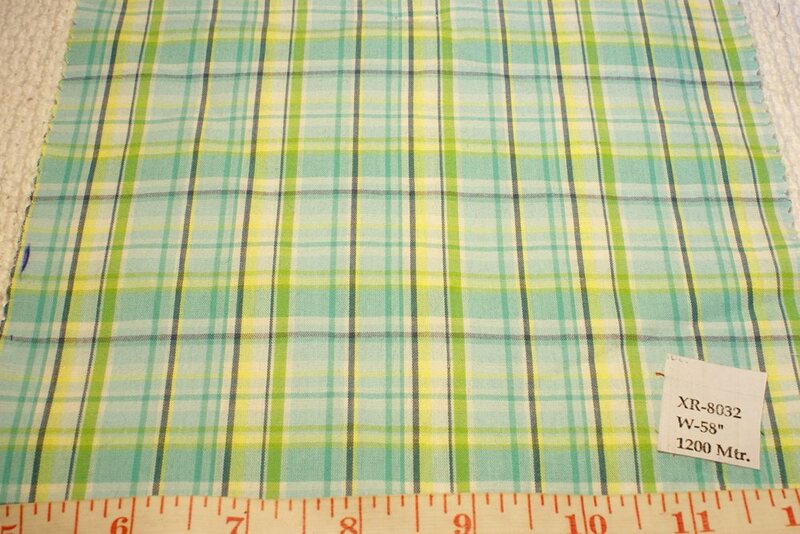 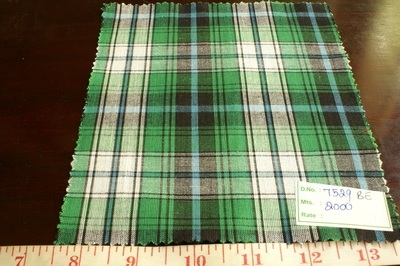 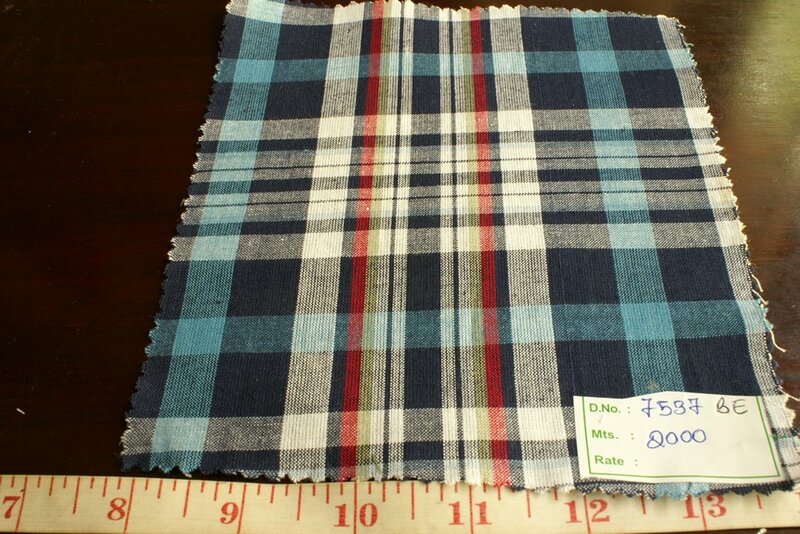 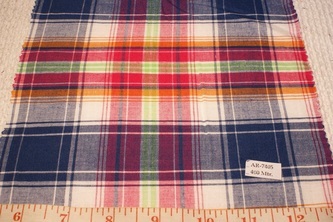 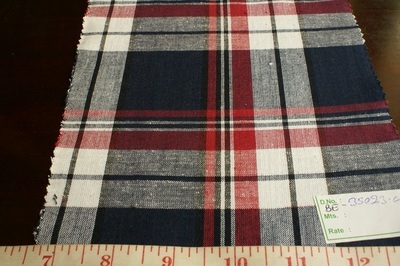 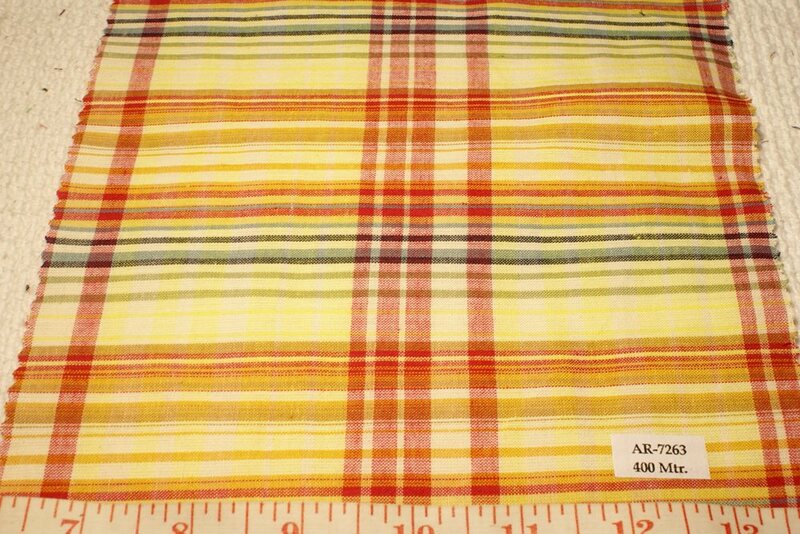 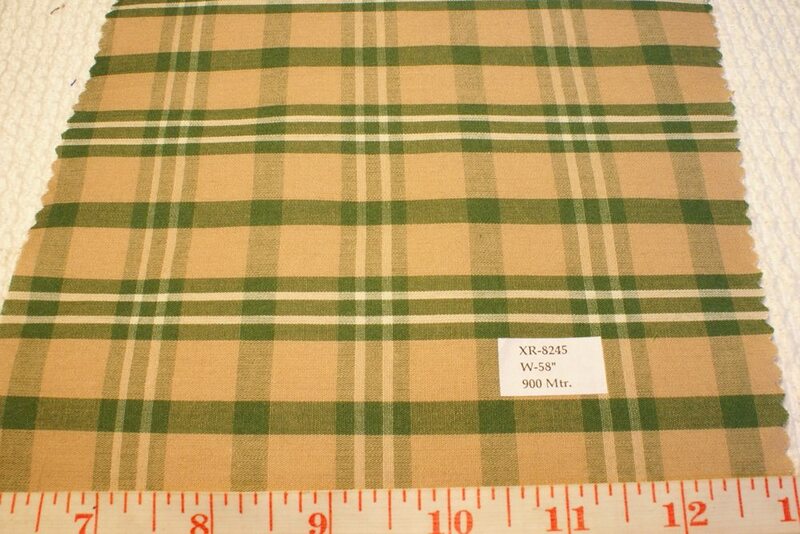 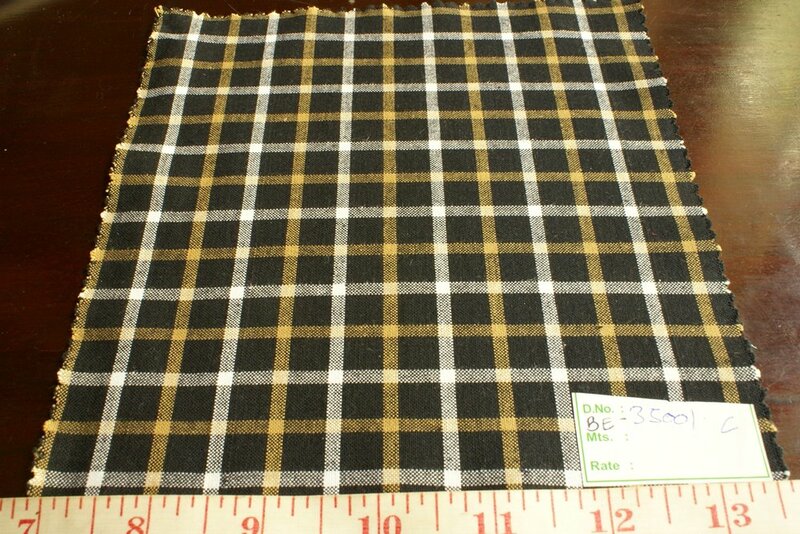 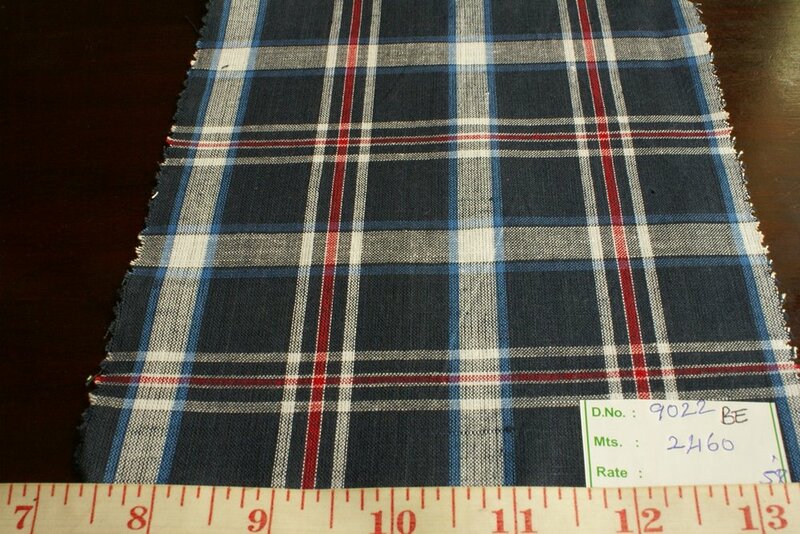 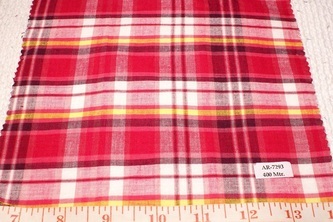 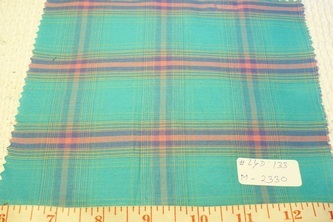 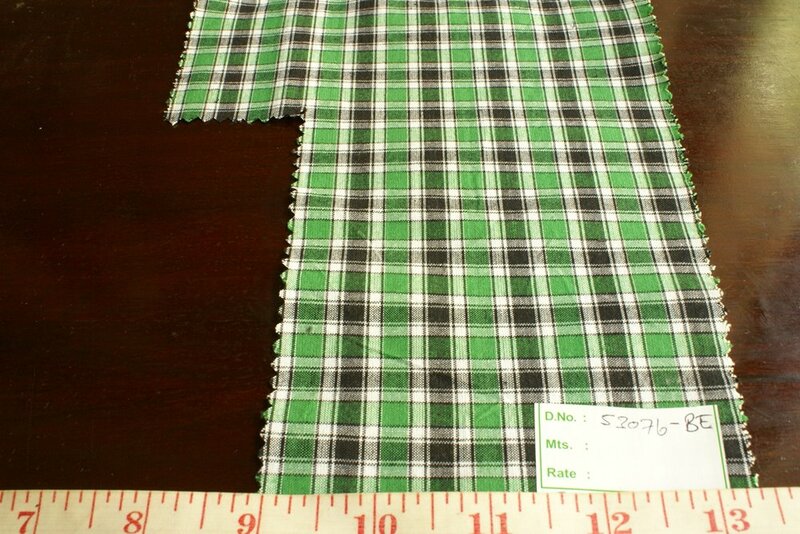 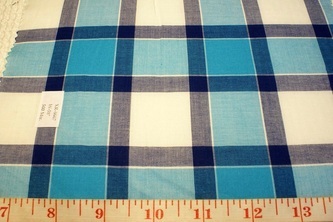 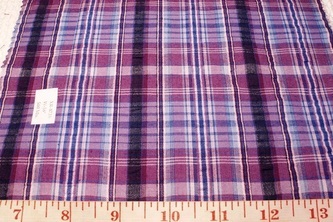 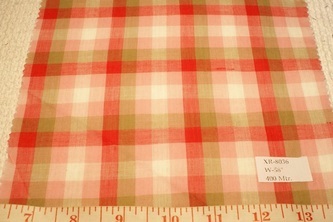 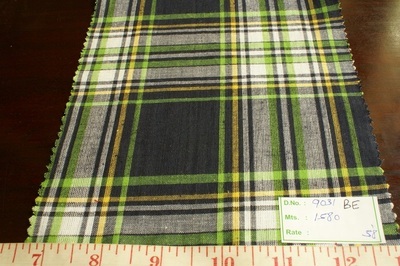 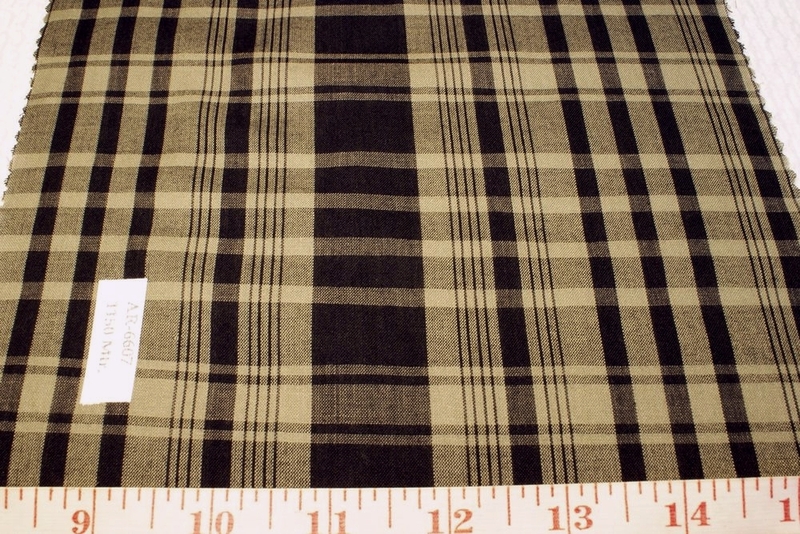 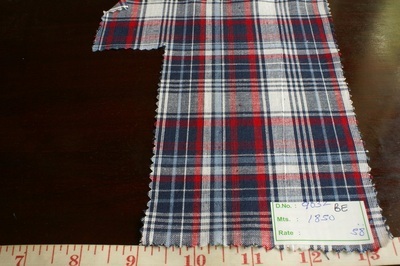 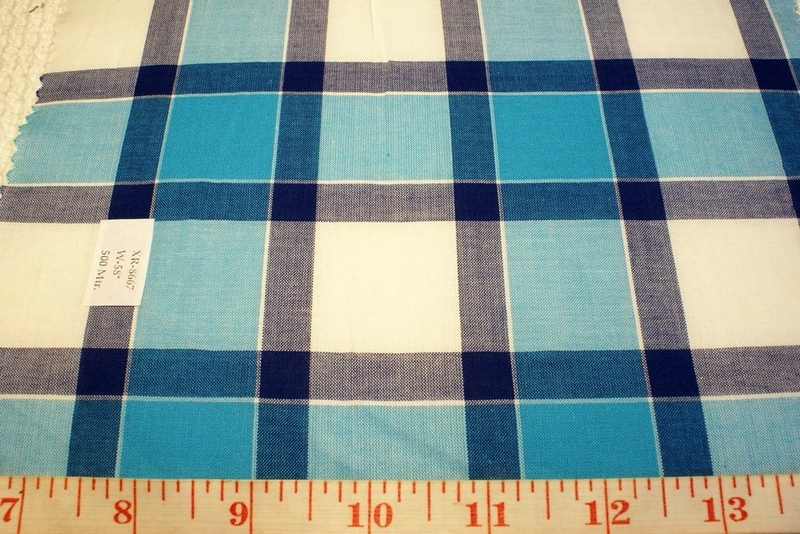 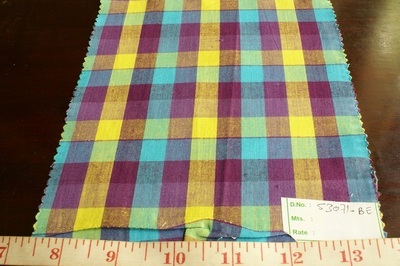 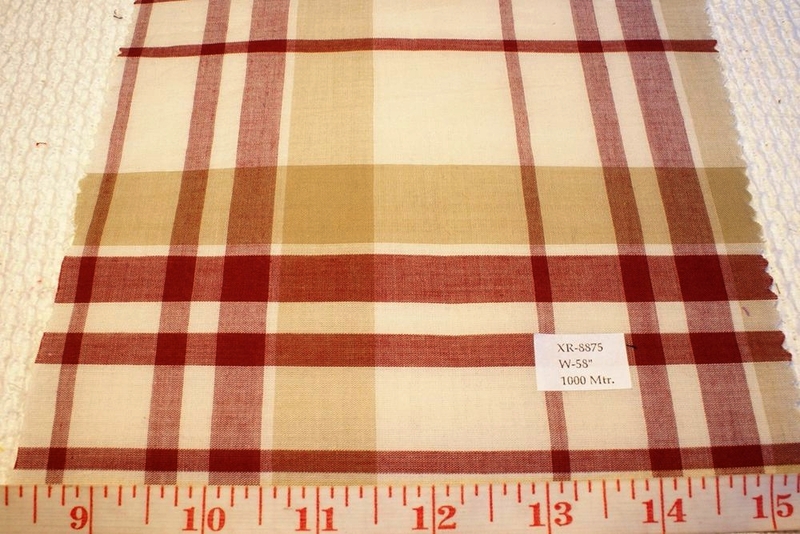 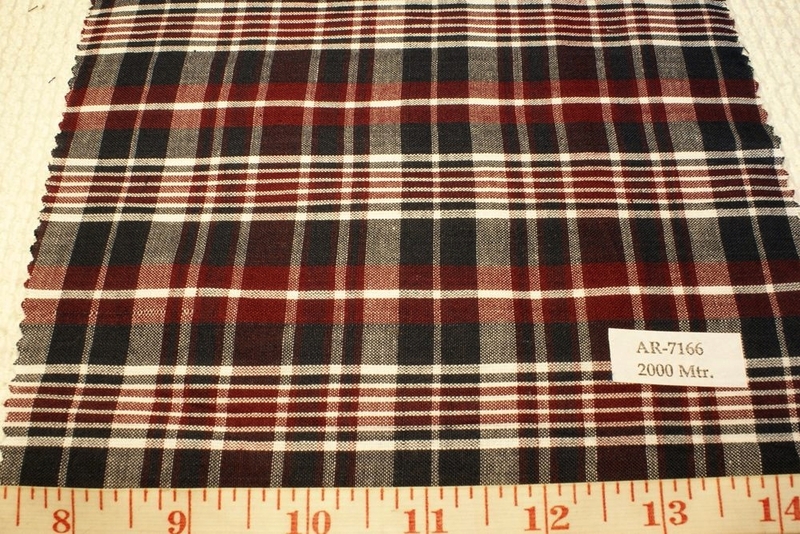 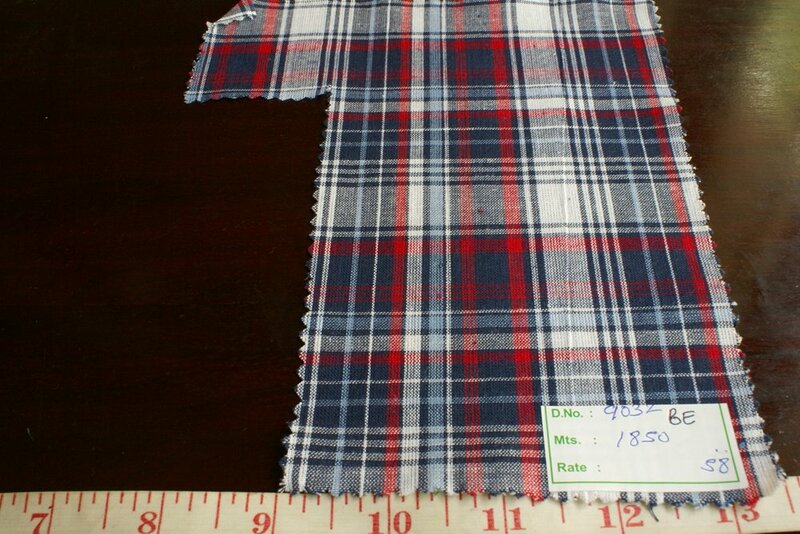 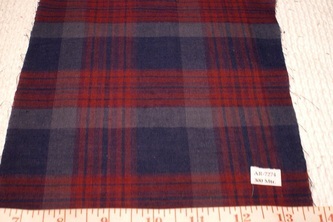 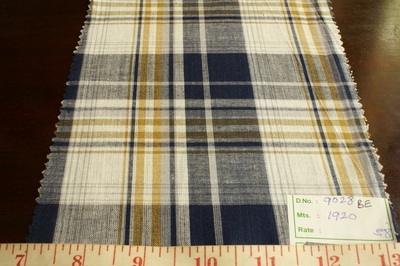 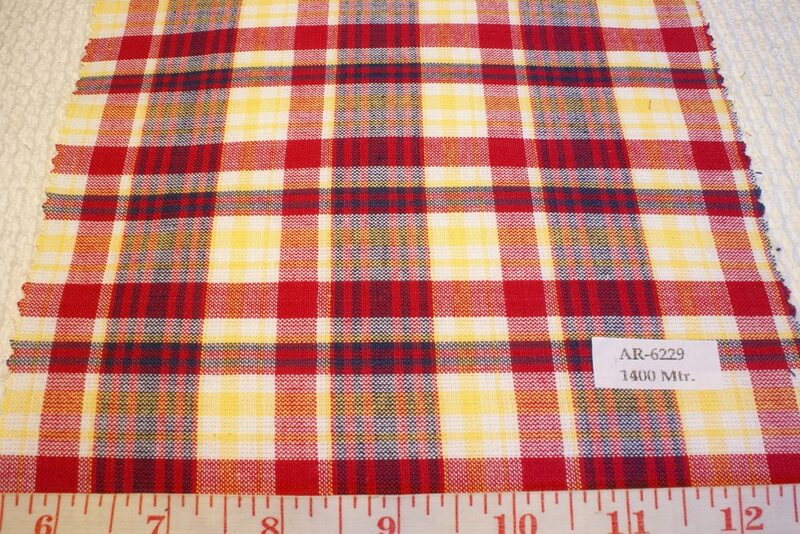 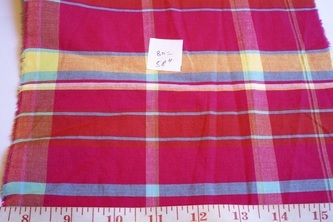 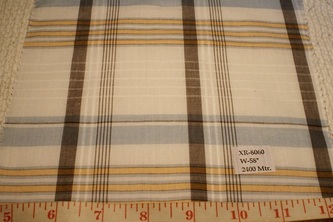 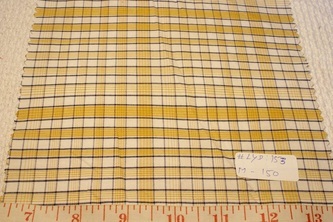 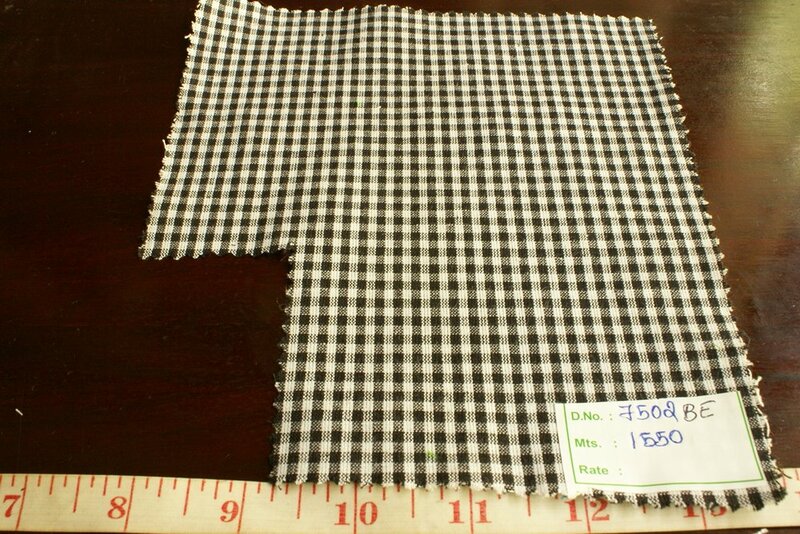 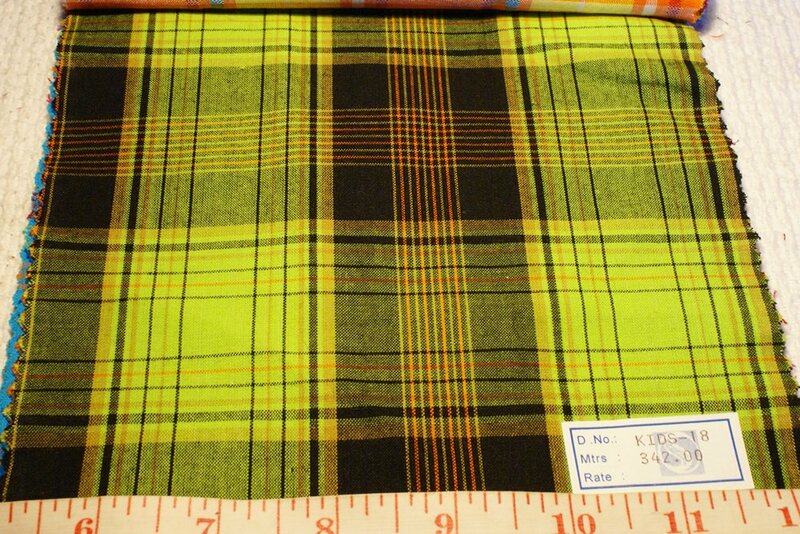 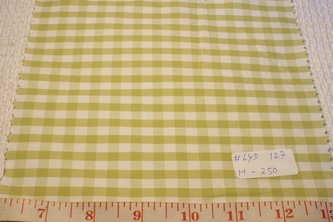 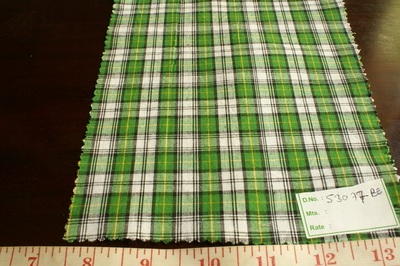 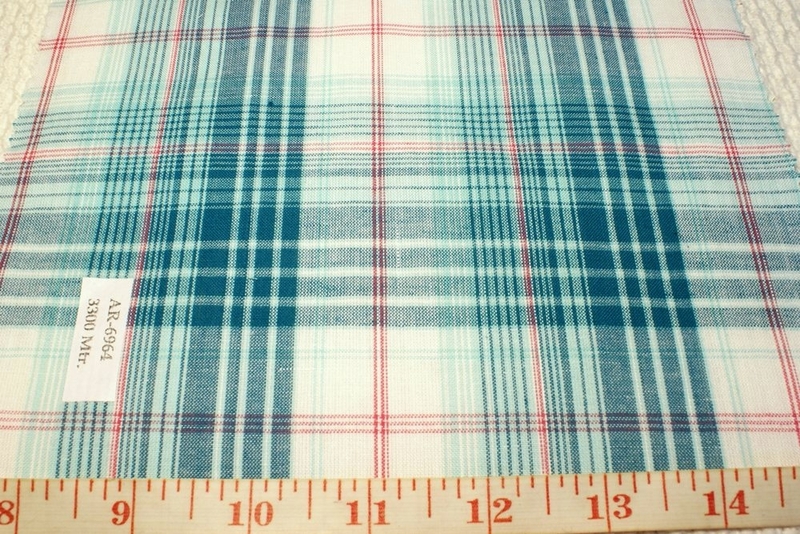 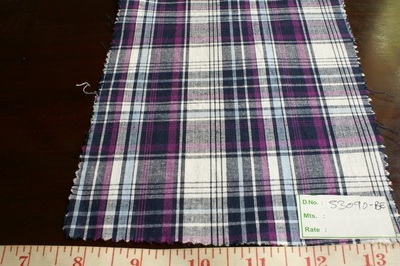 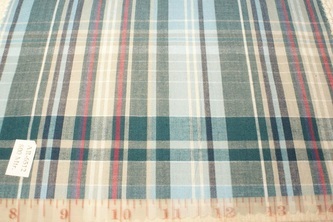 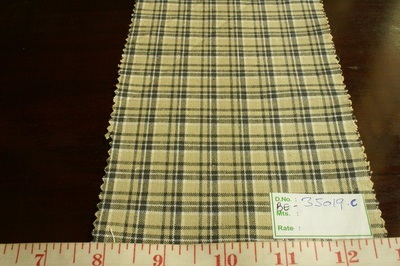 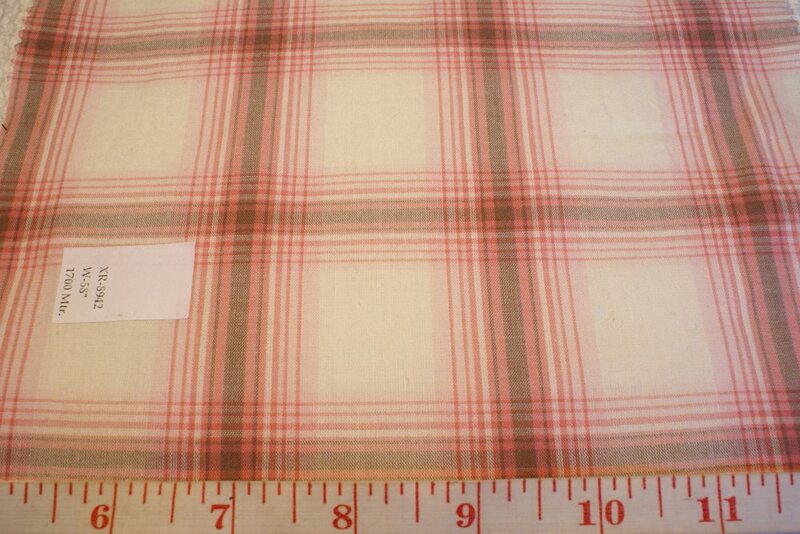 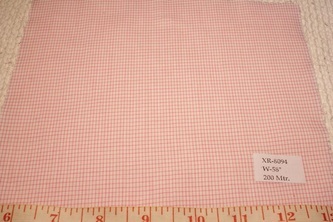 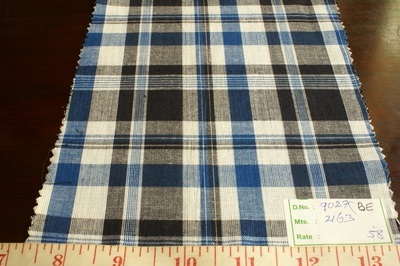 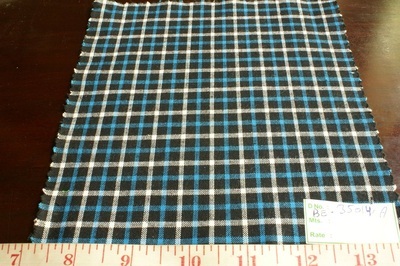 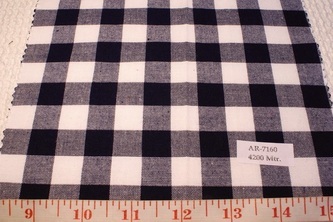 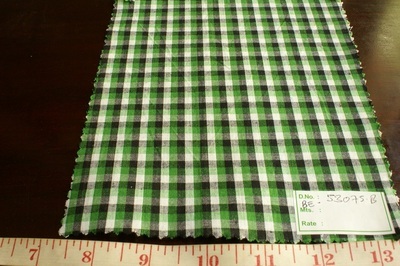 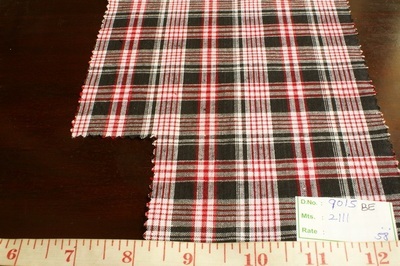 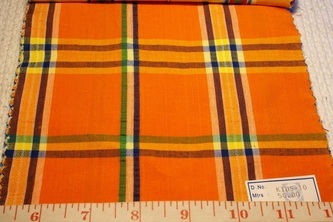 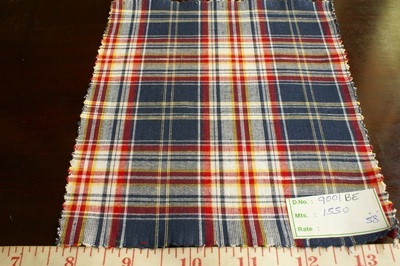 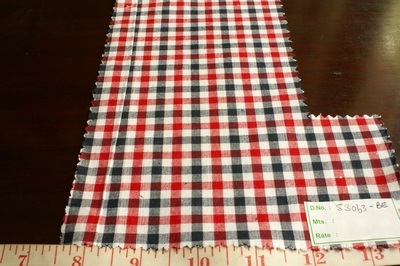 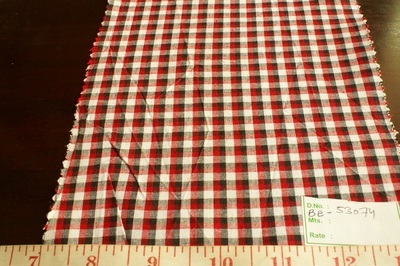 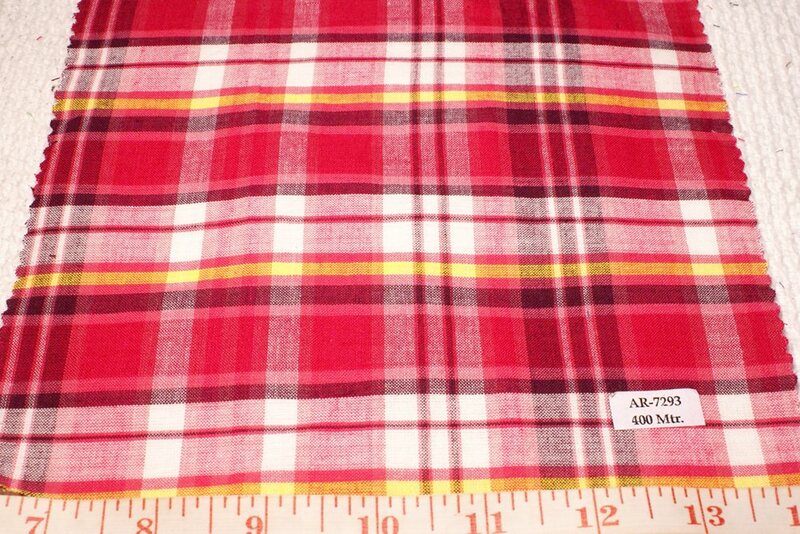 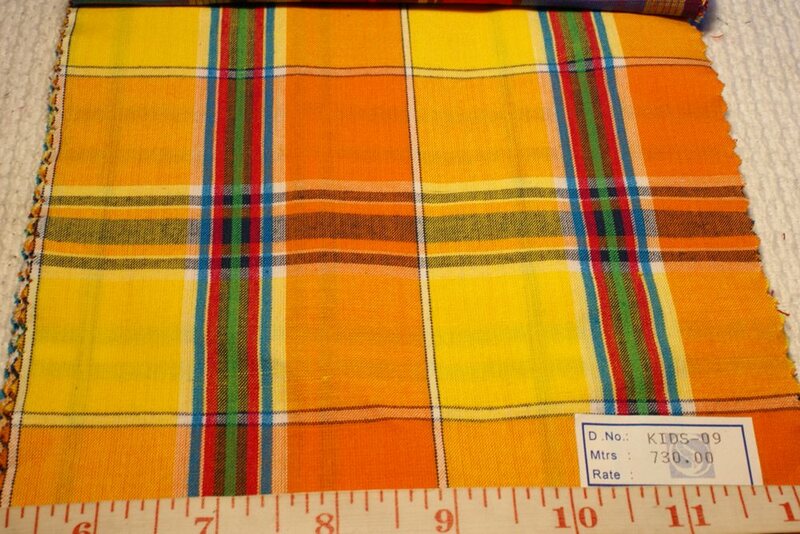 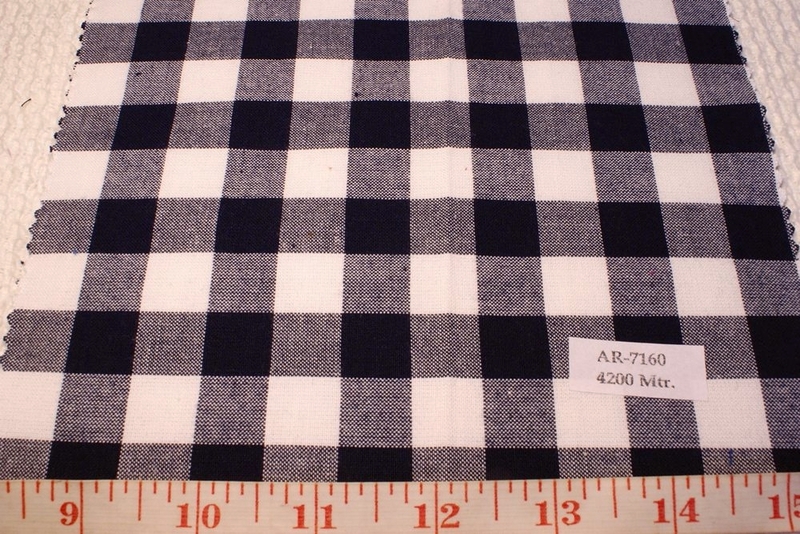 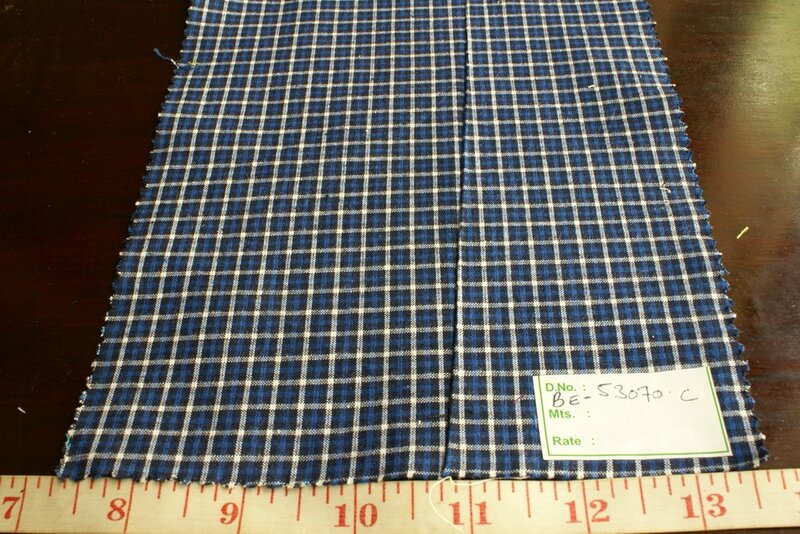 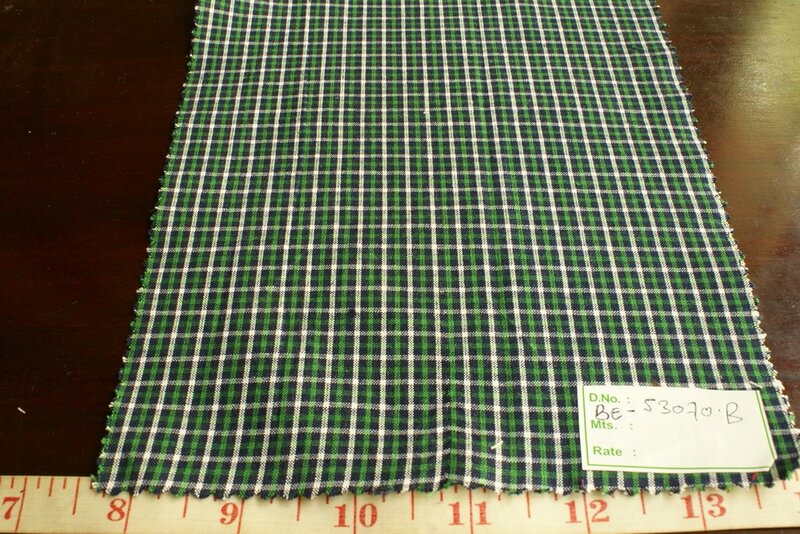 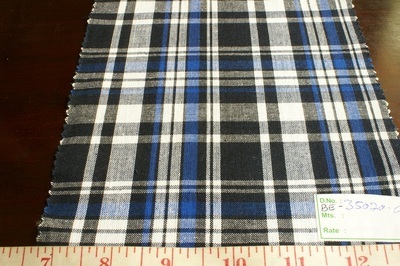 Atlantis is a sewing contractor as well, for any madras plaid clothing, made to order. 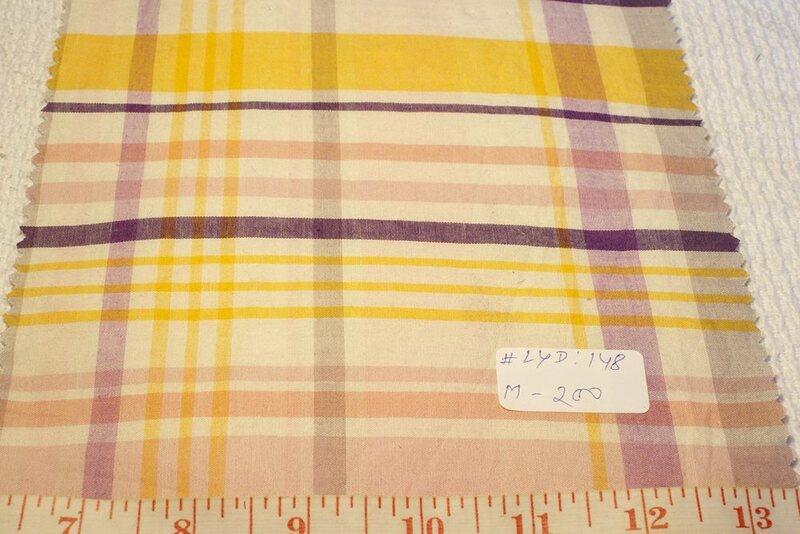 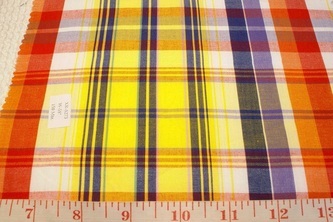 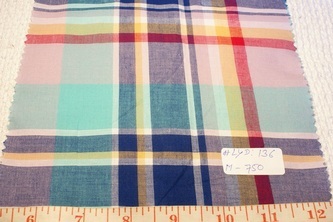 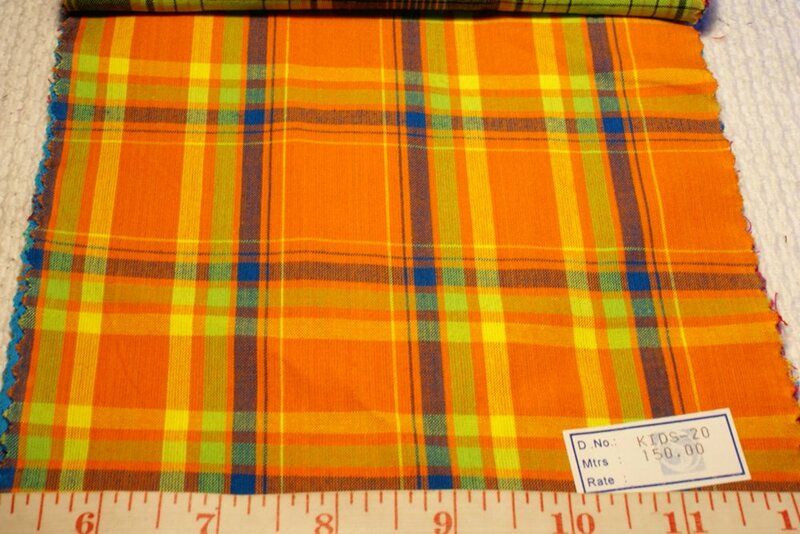 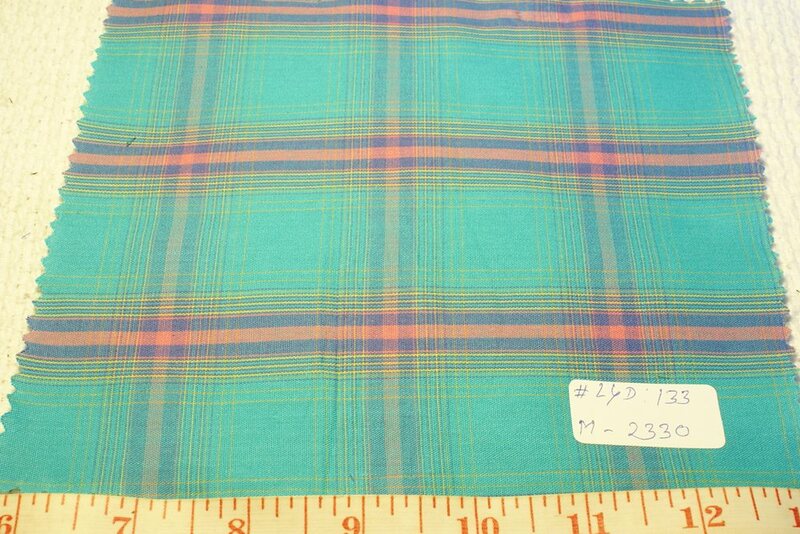 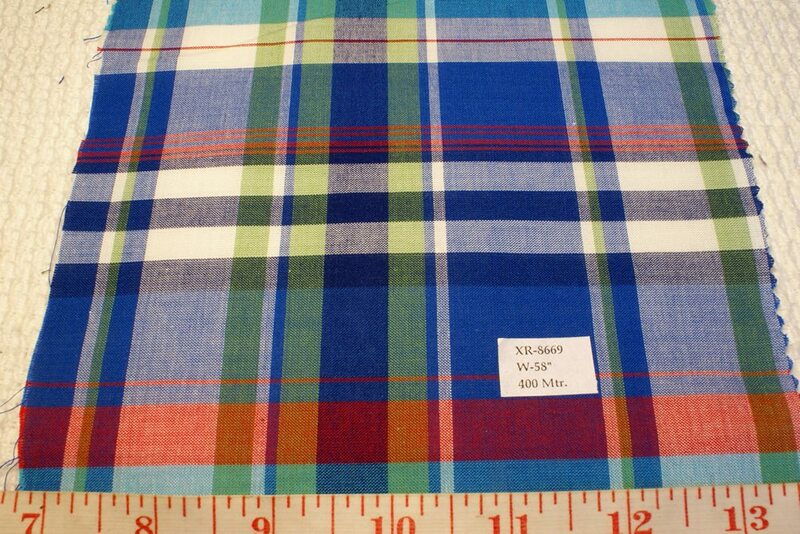 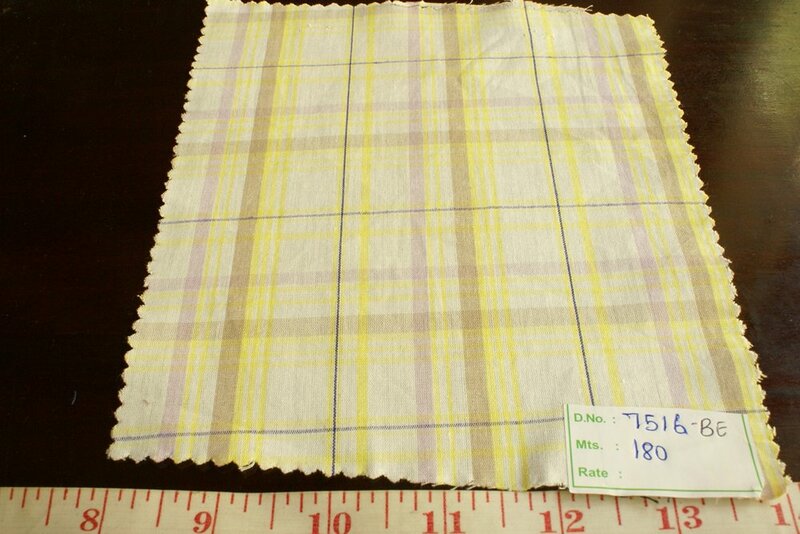 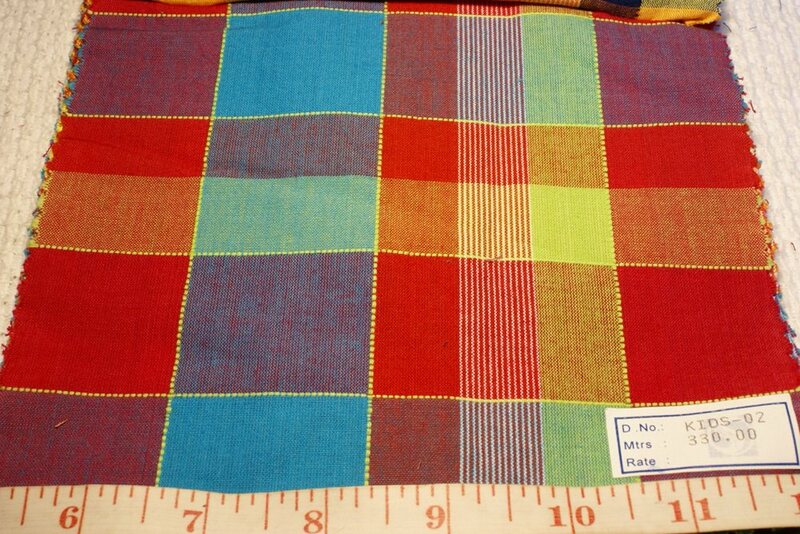 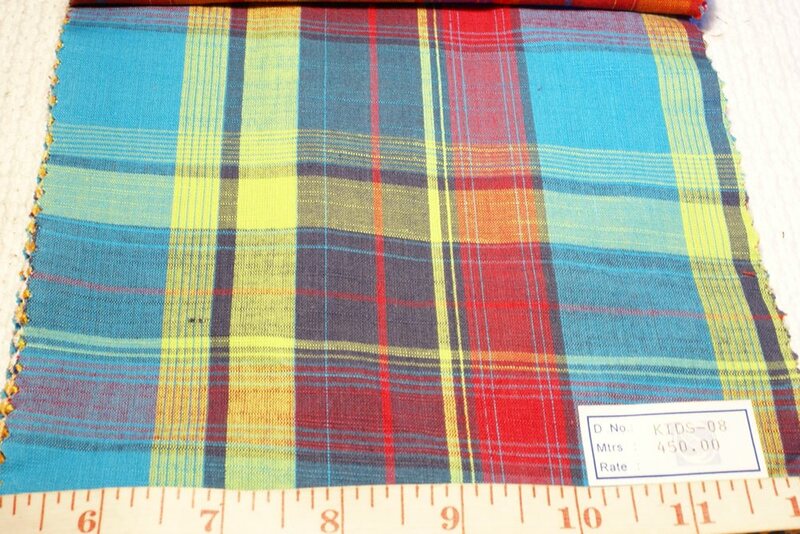 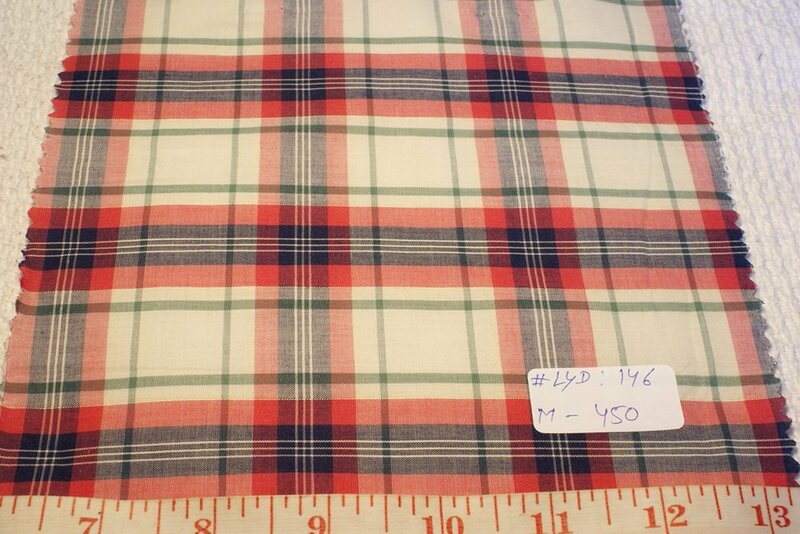 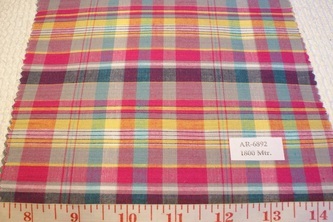 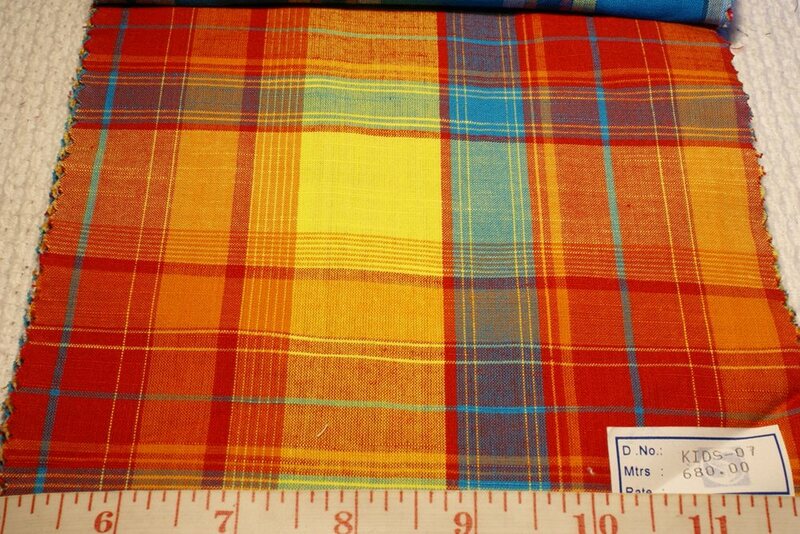 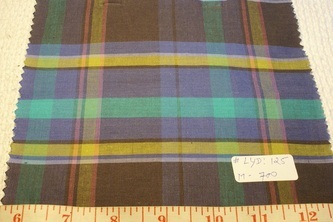 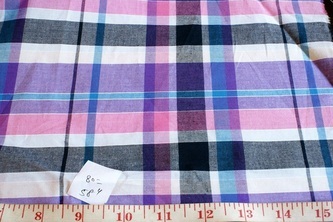 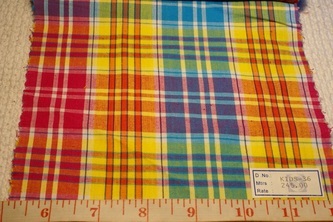 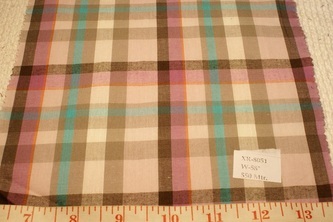 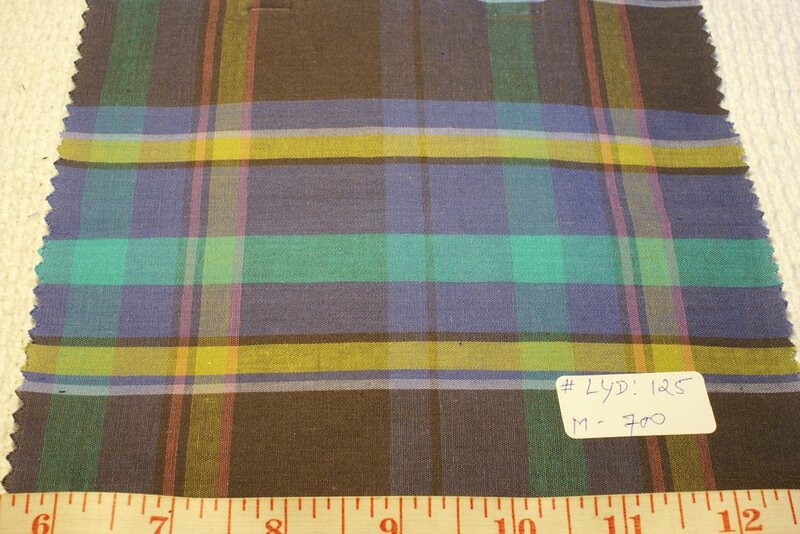 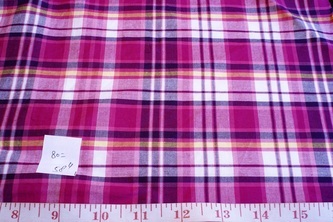 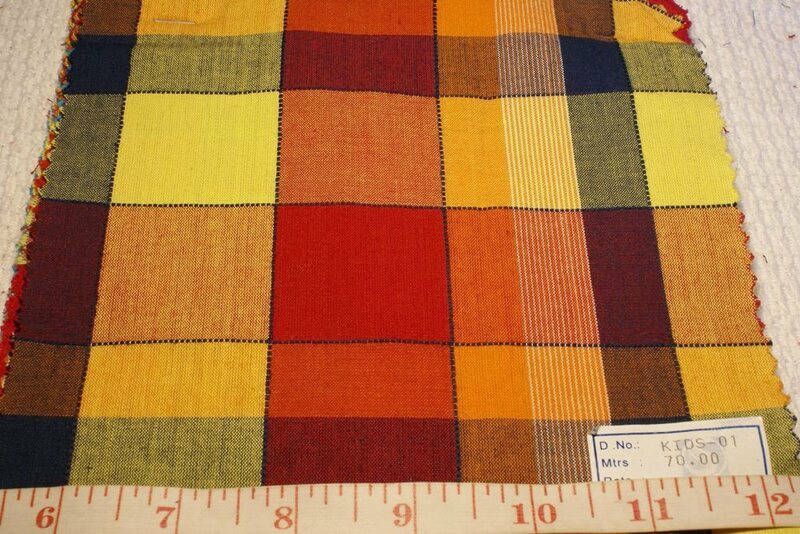 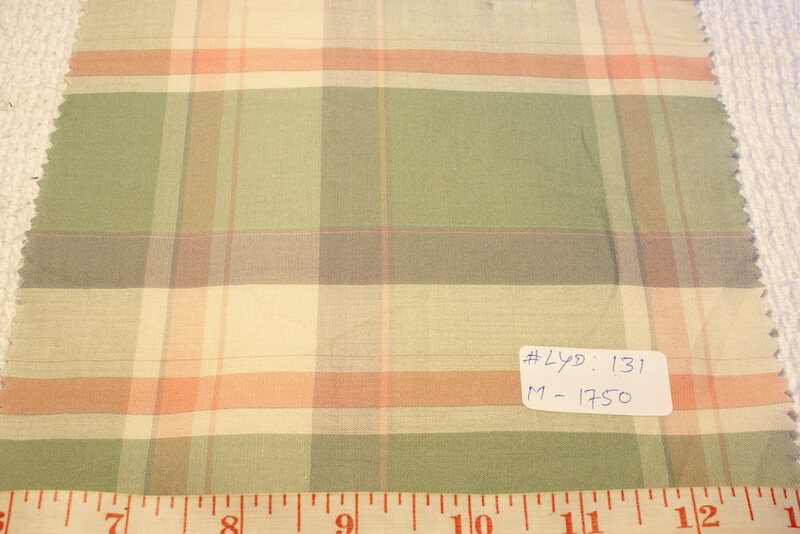 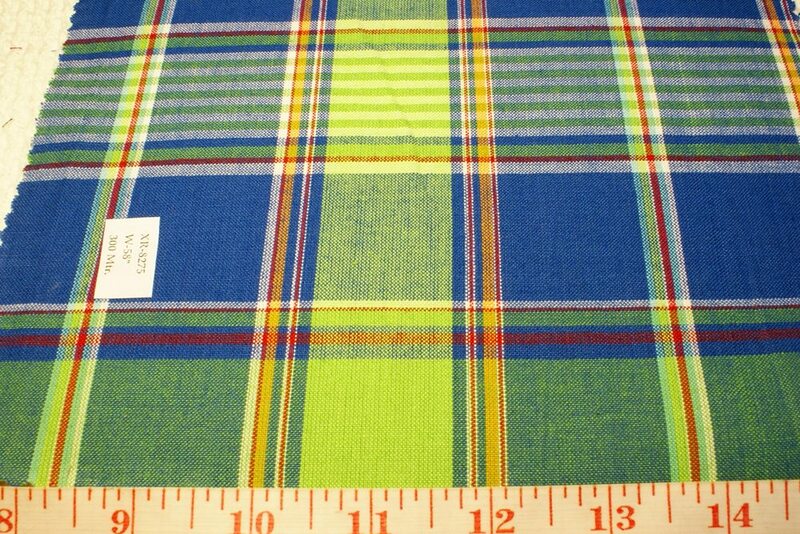 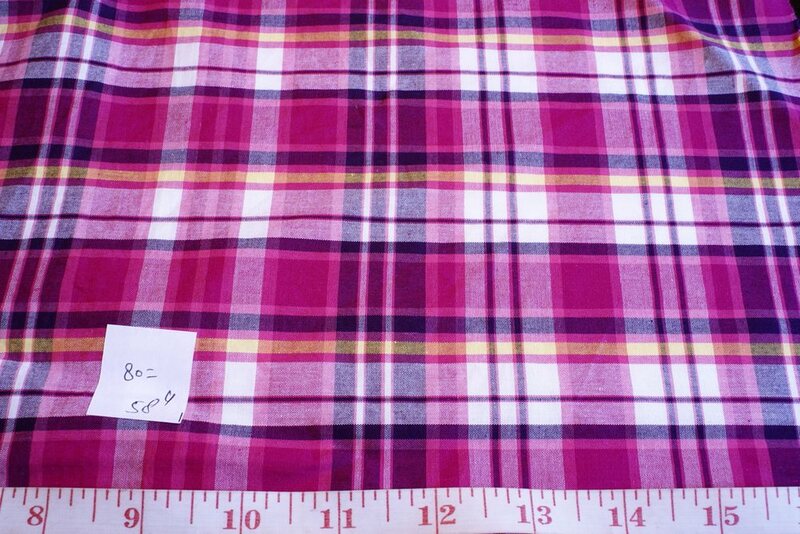 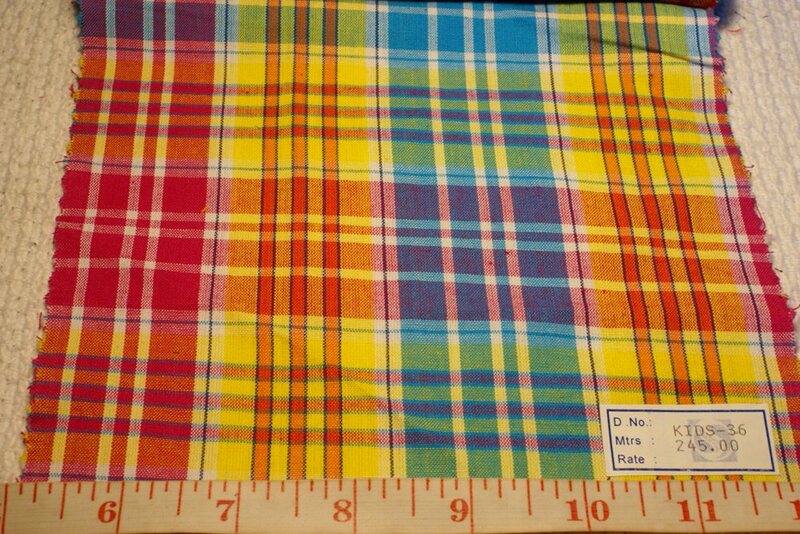 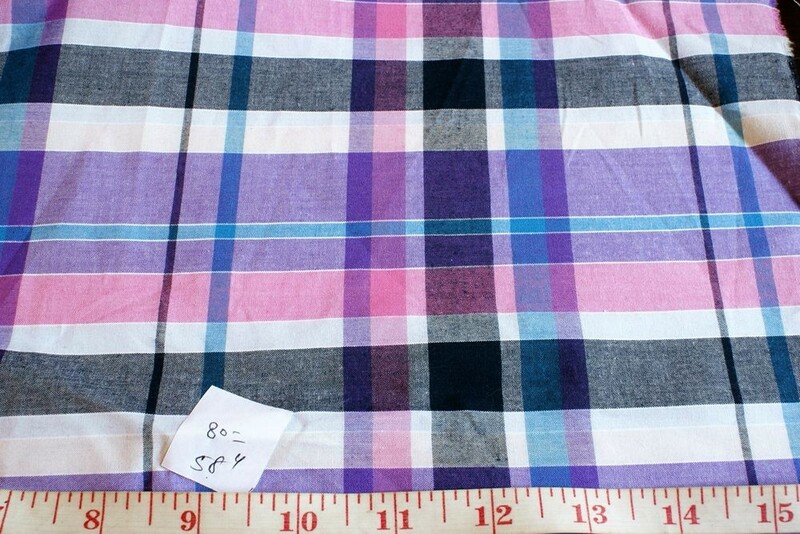 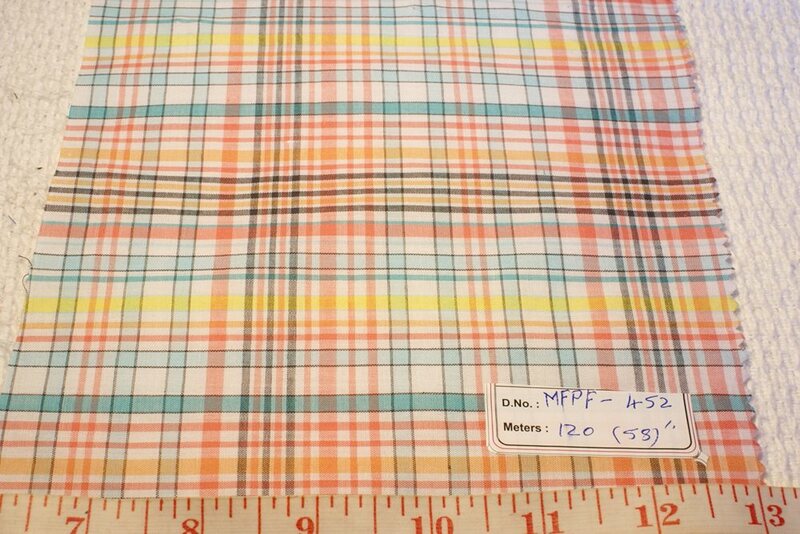 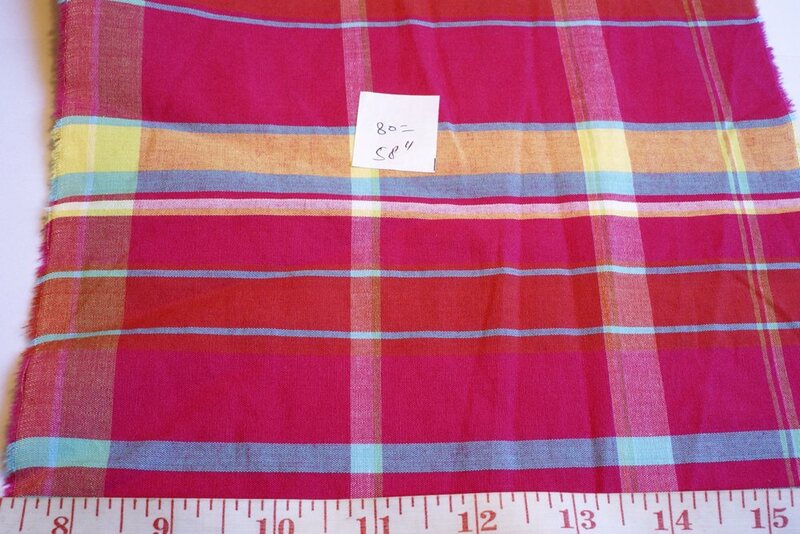 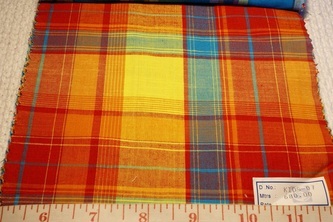 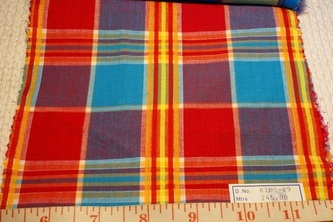 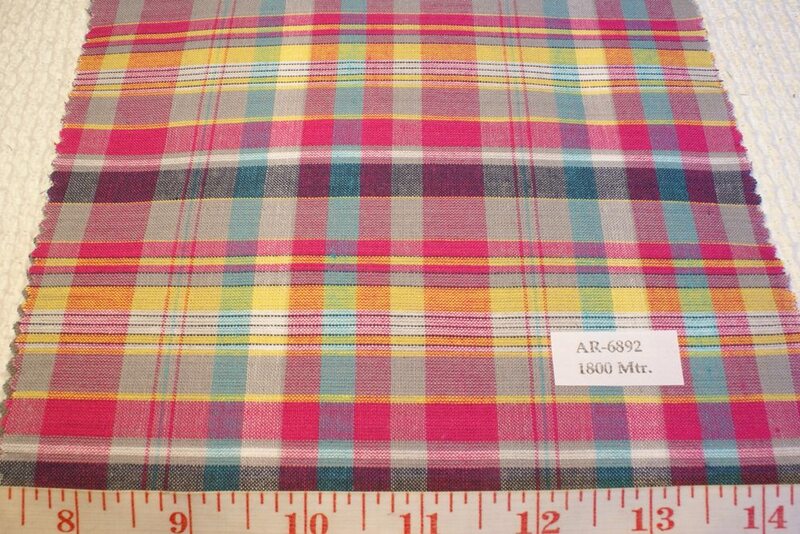 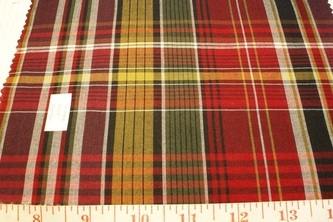 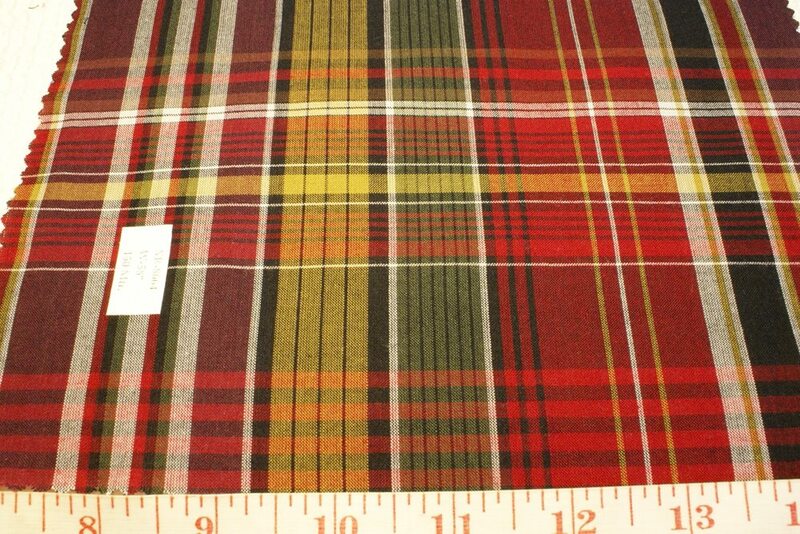 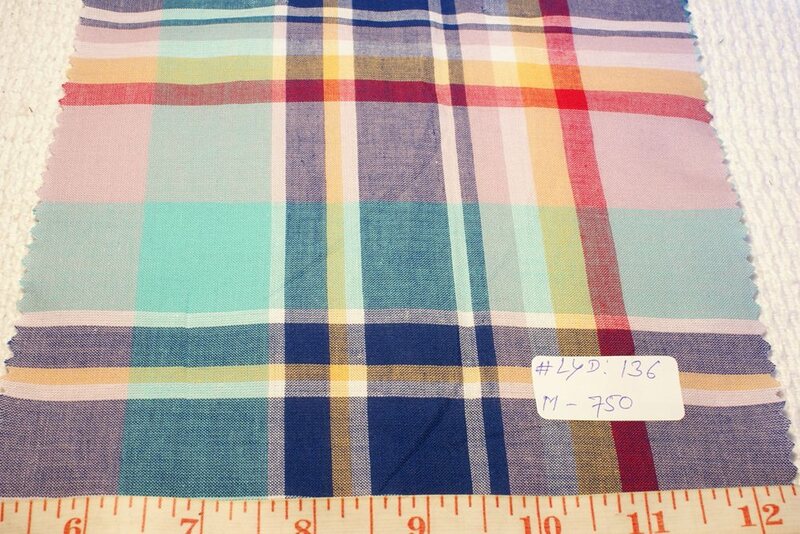 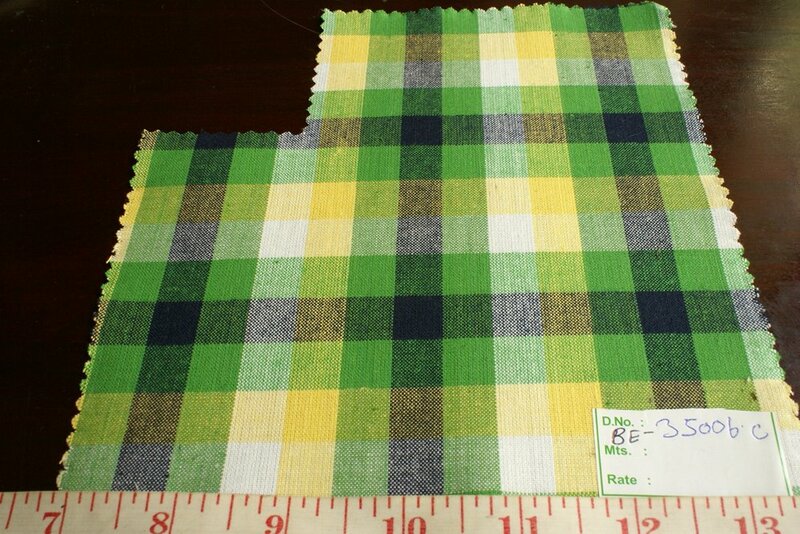 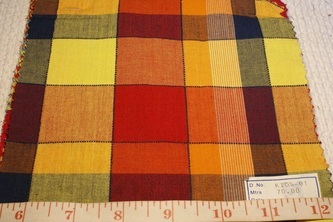 We can produce plaid madras clothing to order.